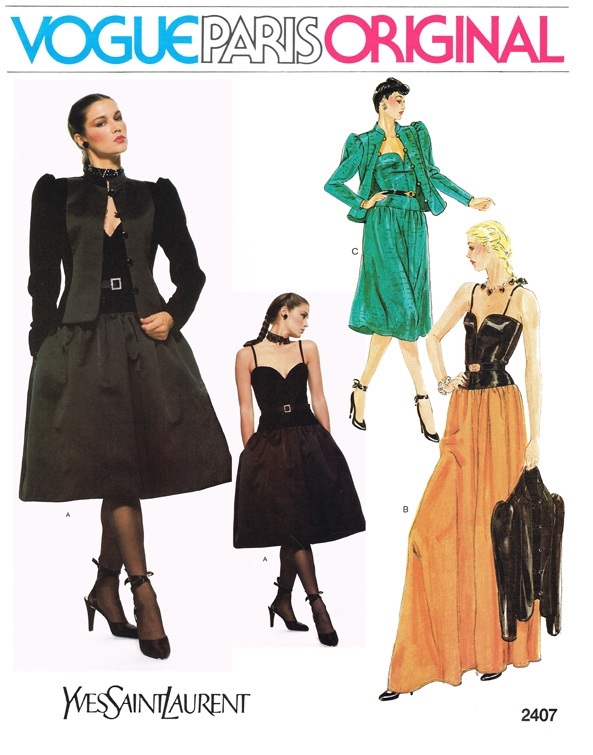 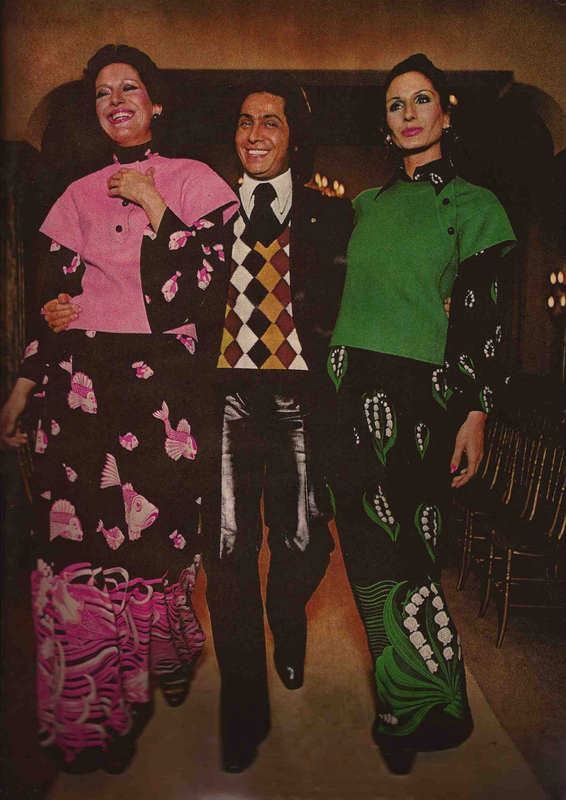 Here are are four Vogue patterns of Valentino designs from the Alta Moda (Italian for Haute Couture) Spring/Summer 1970 collection. 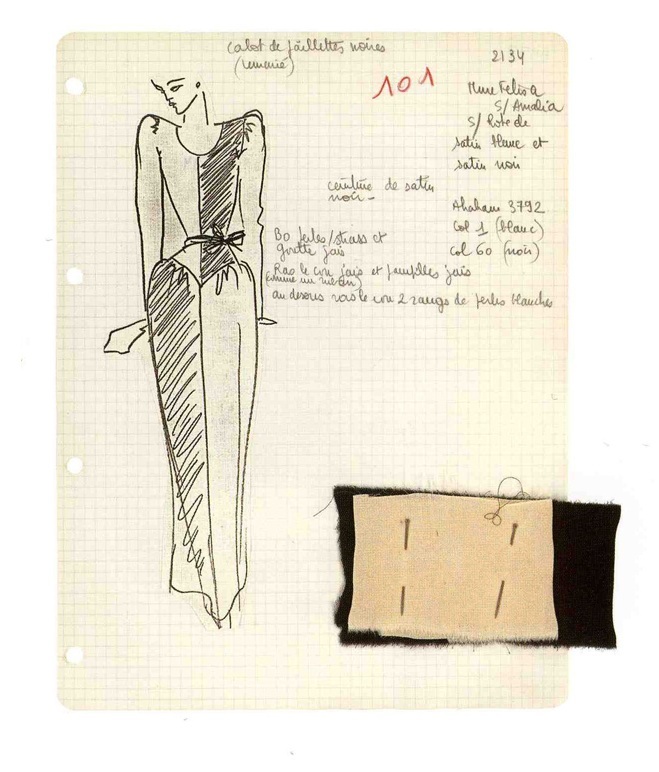 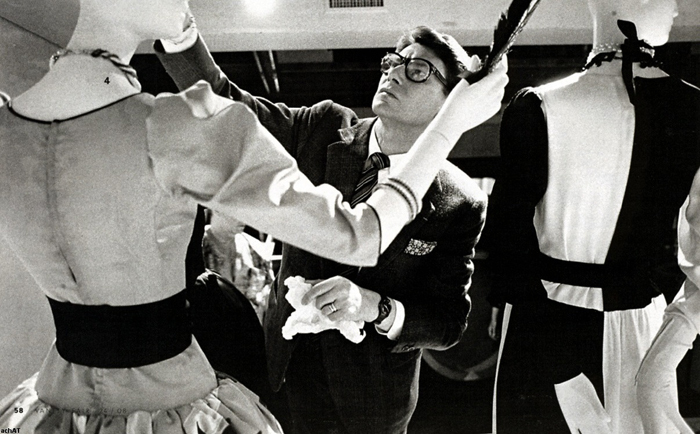 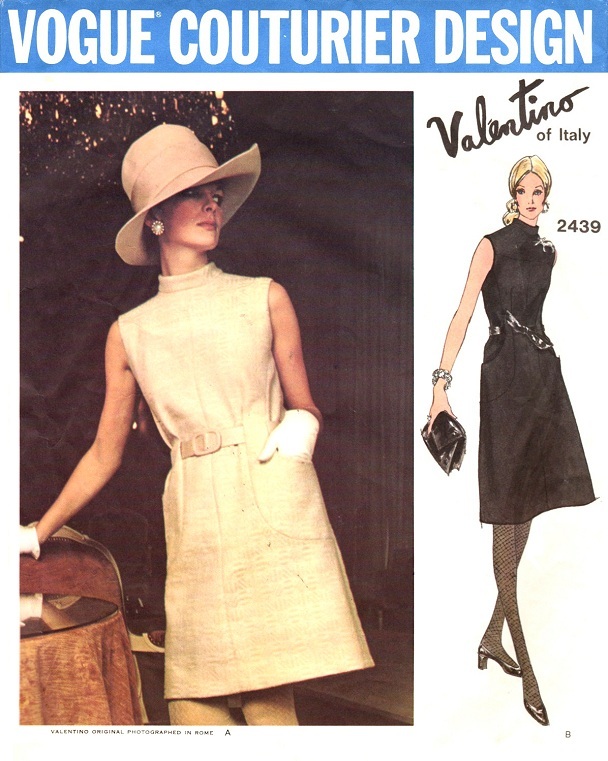 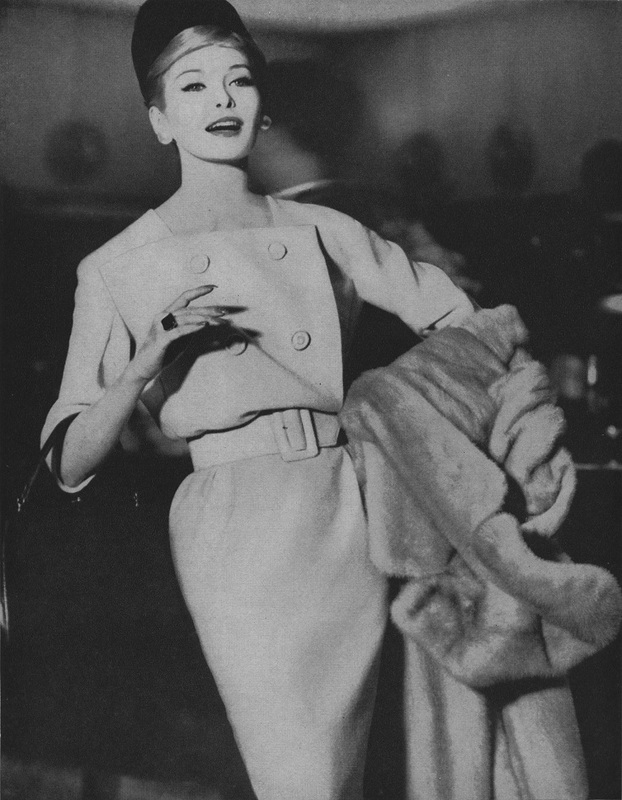 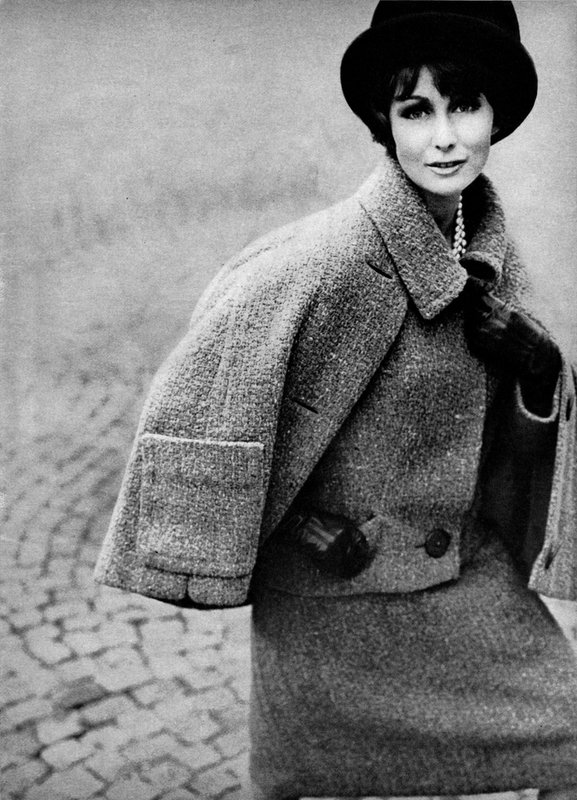 The photographs on all four pattern envelopes really were ‘Photographed in Rome’ as they were taken in the salon of the Valentino atelier, so the garments and accessories, including hats, shoes, earrings, and even hosiery, must be those which were originally shown in the fashion show. 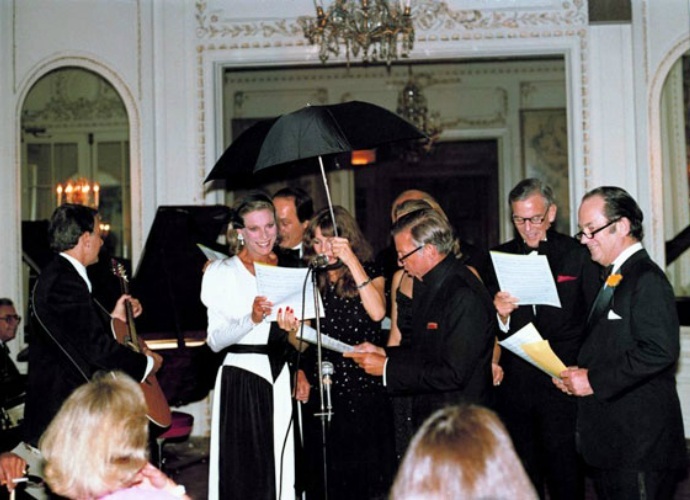 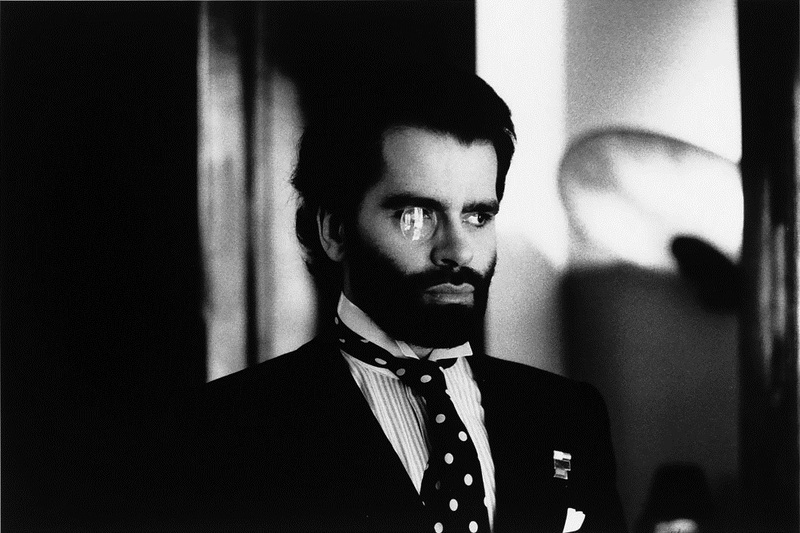 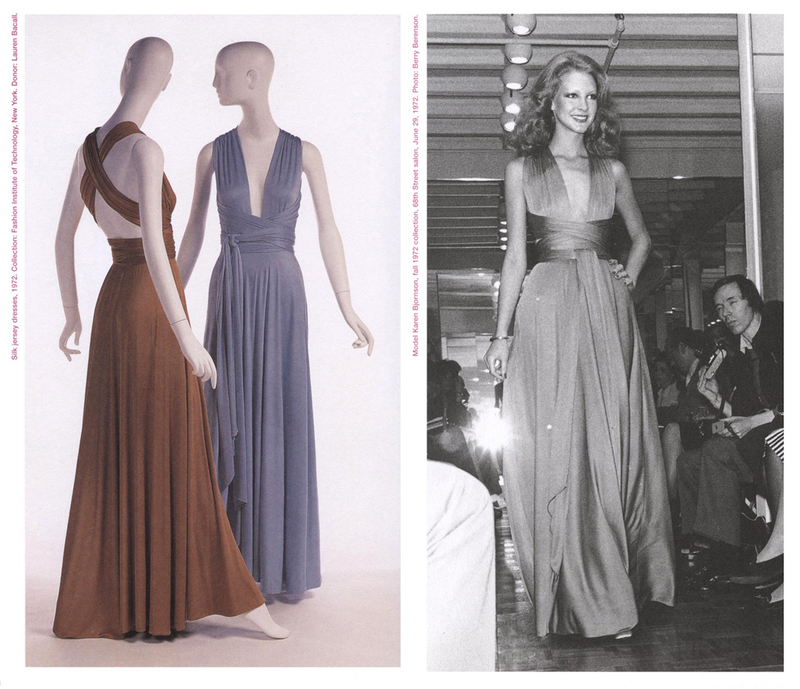 Even the model appears to be the same one that appears in some of the archival and editorial photos pictured below. 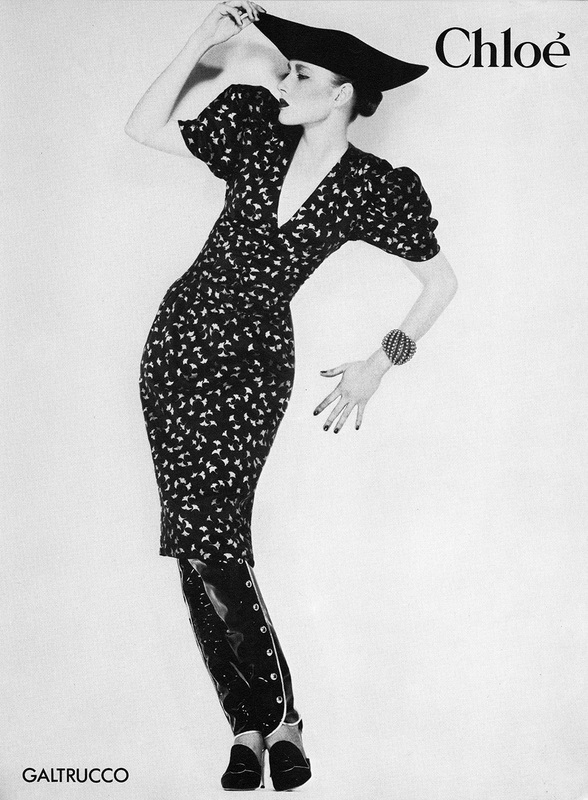 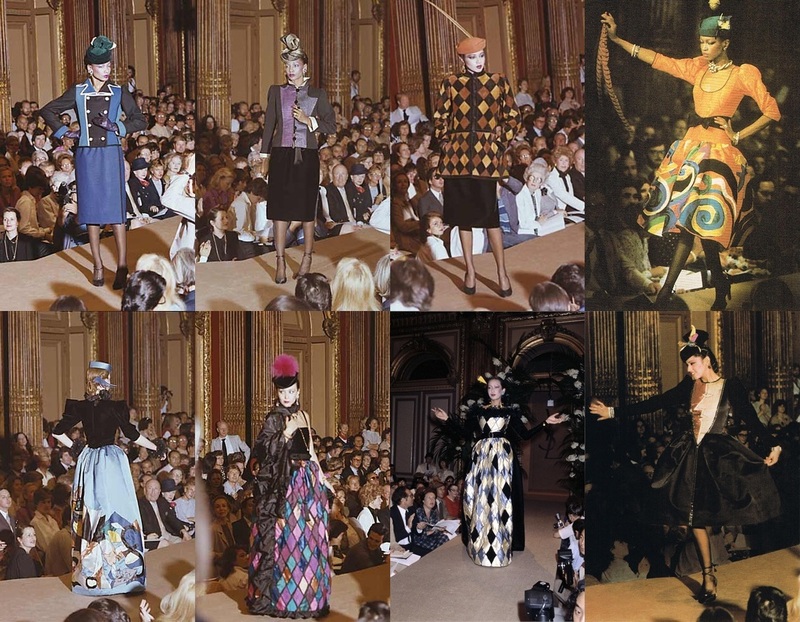 The hat must have been the signature accessory for that collection as each and every look is shown with one. 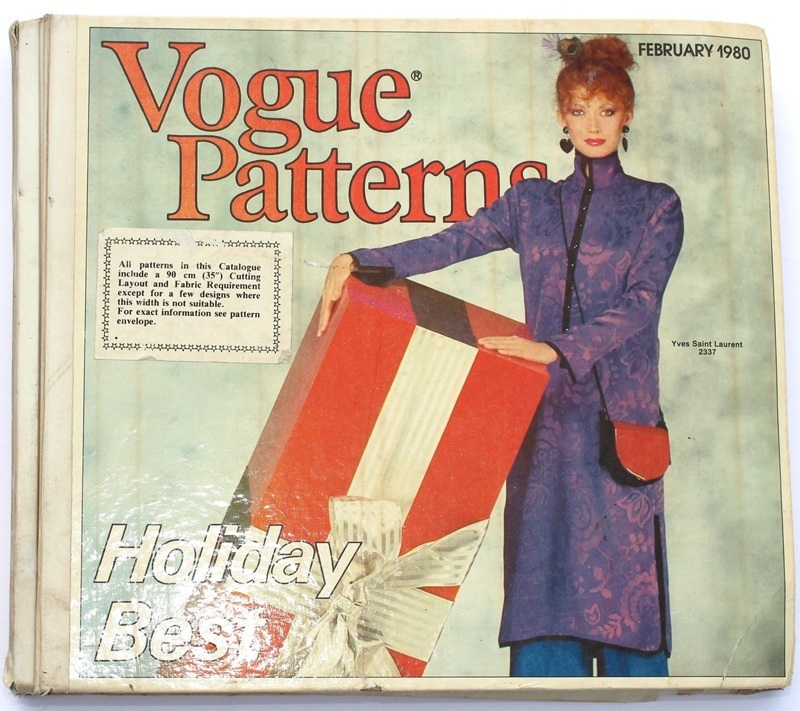 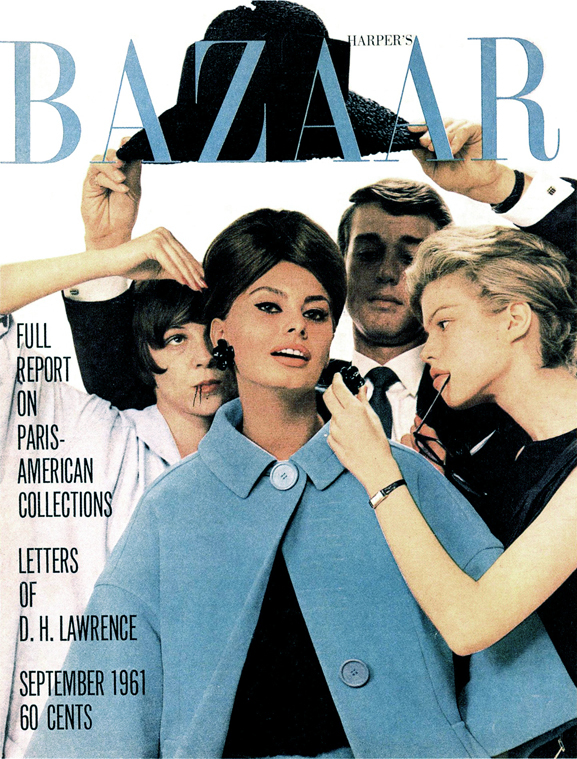 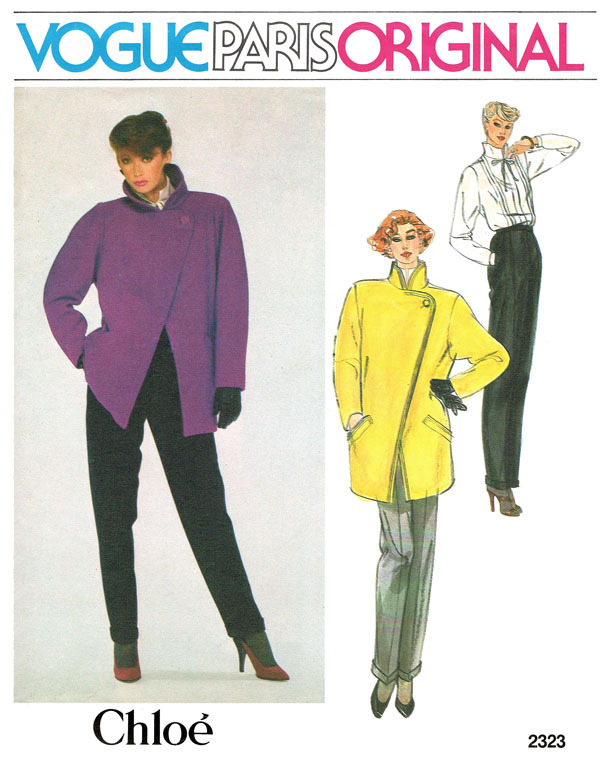 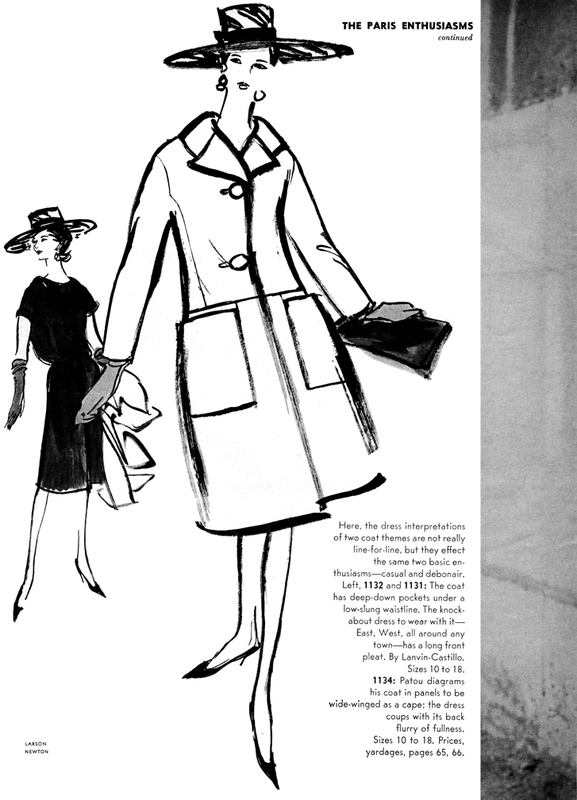 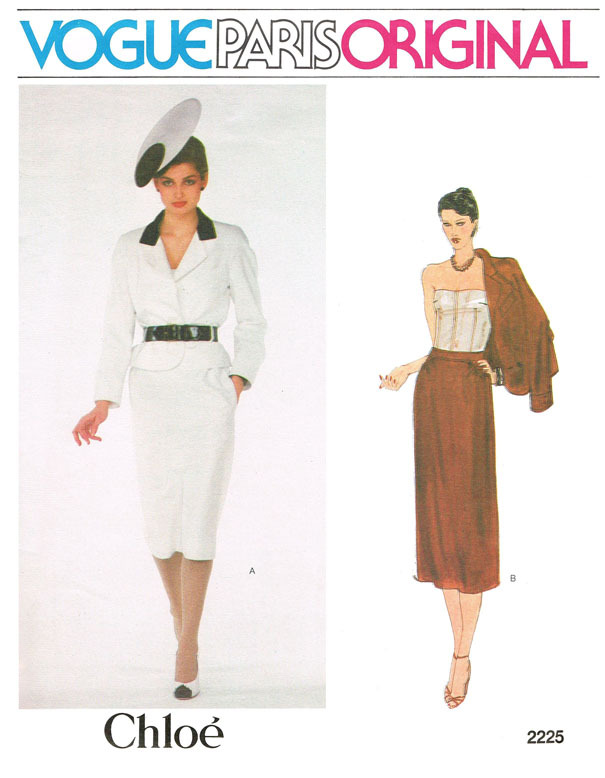 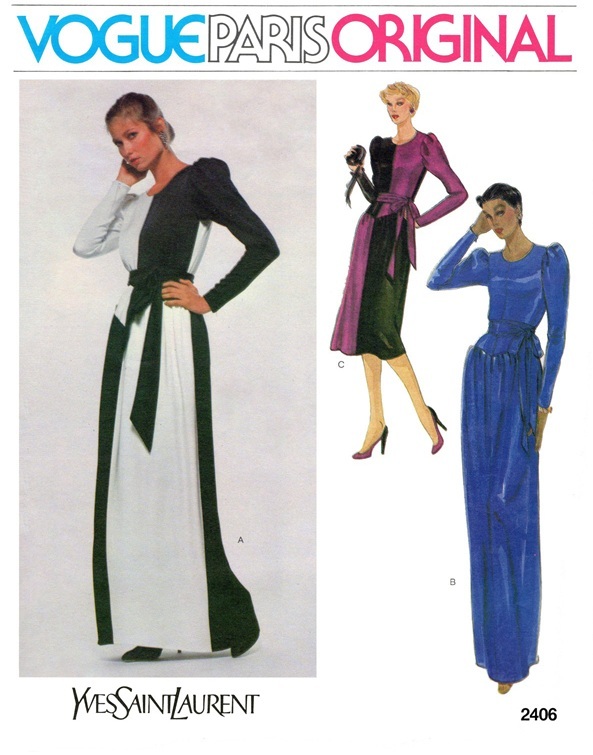 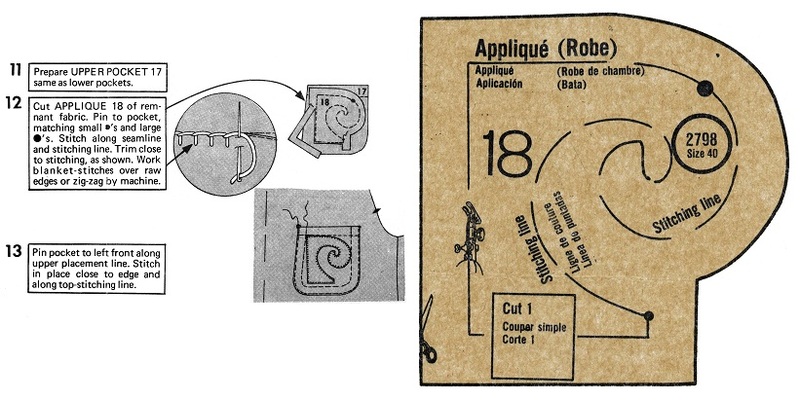 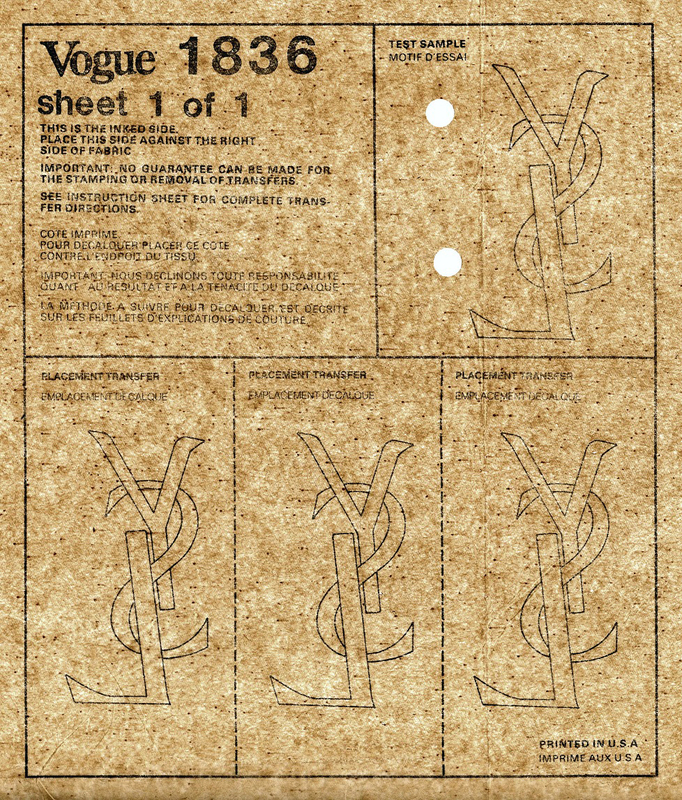 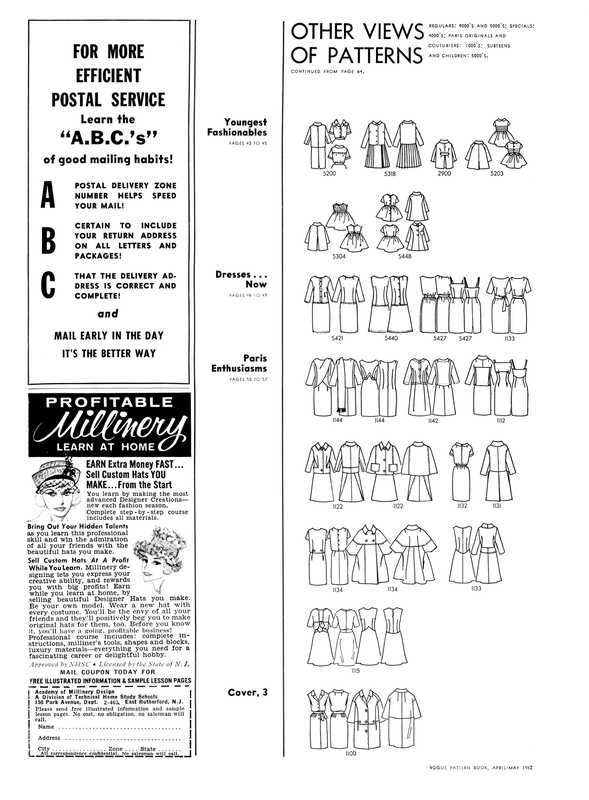 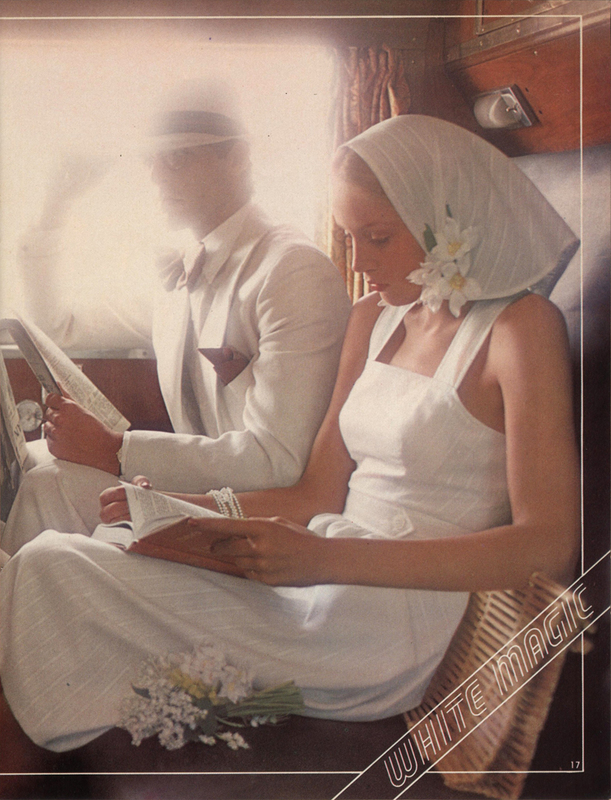 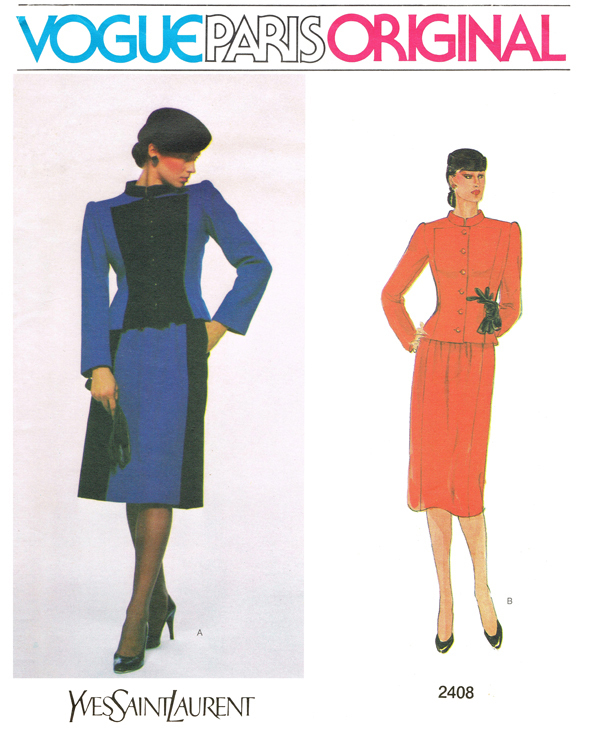 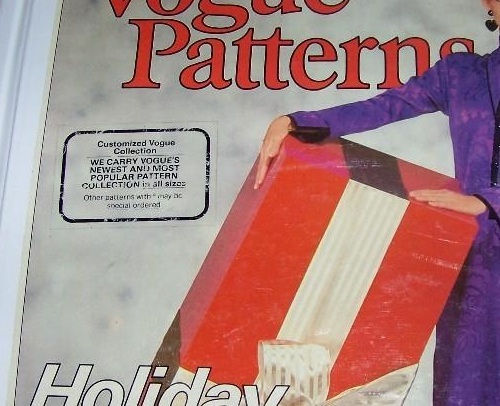 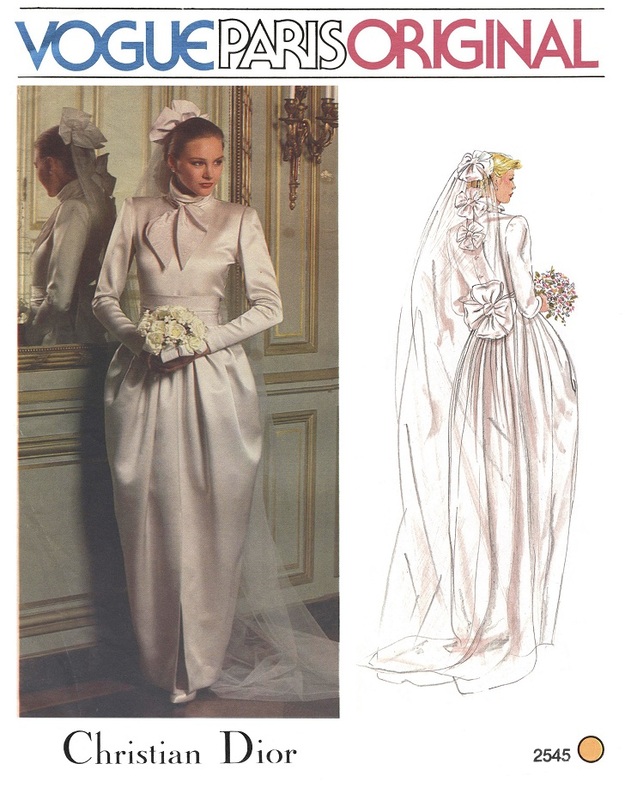 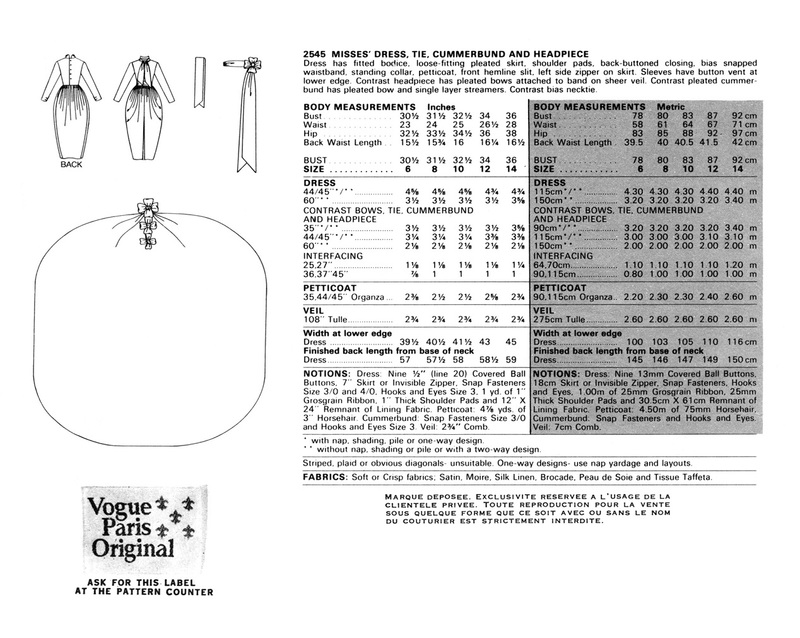 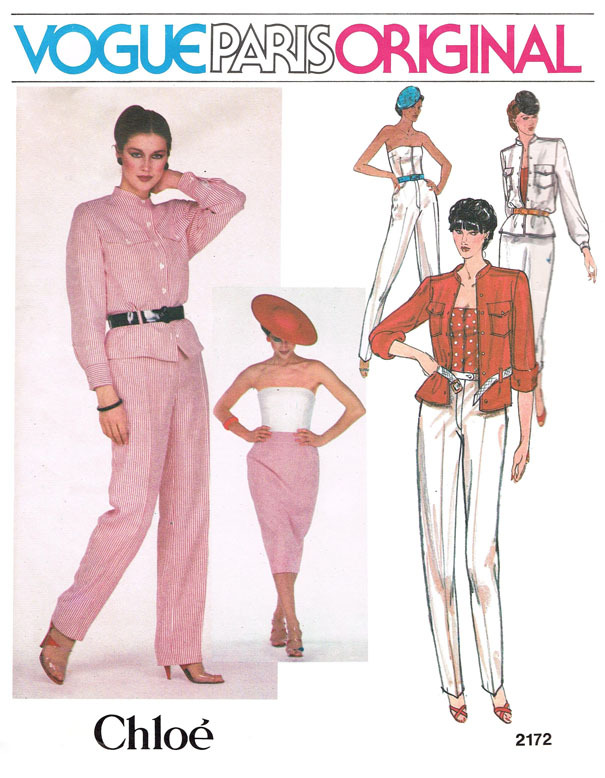 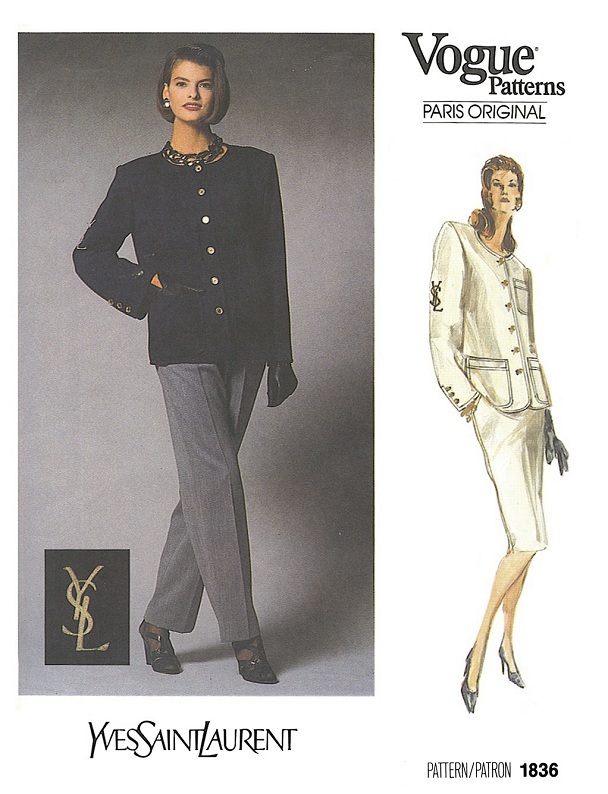 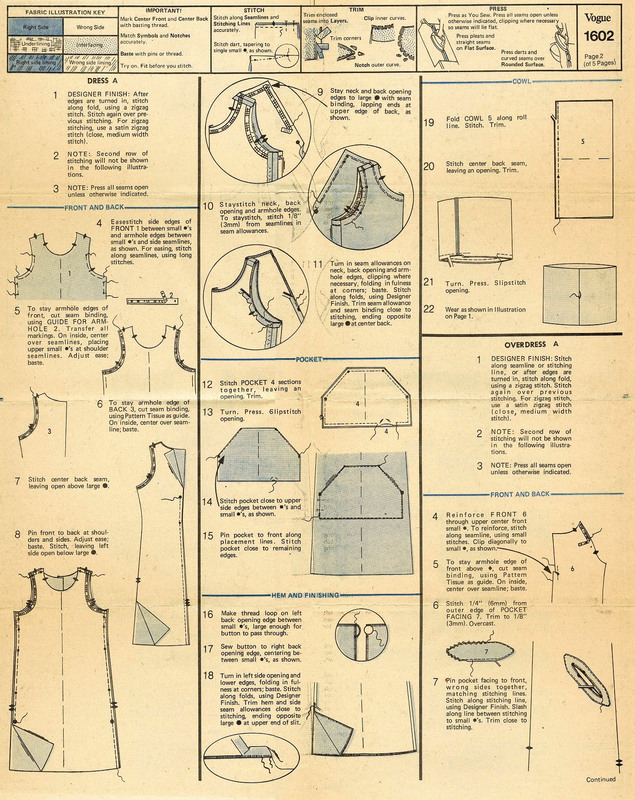 I used to wonder whether the garments photographed for the pattern envelopes were the originals or the reproductions made from the Vogue pattern by Vogue Patterns. 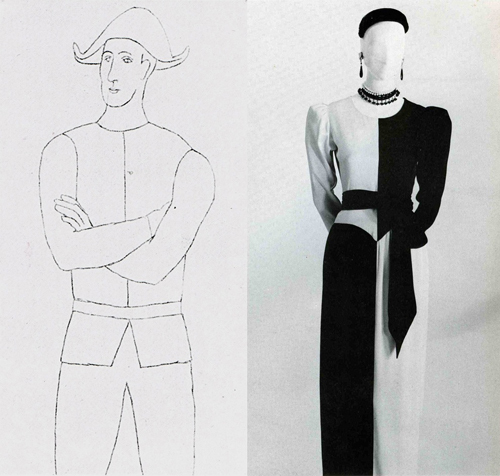 Evidently in this case the garments were the originals. 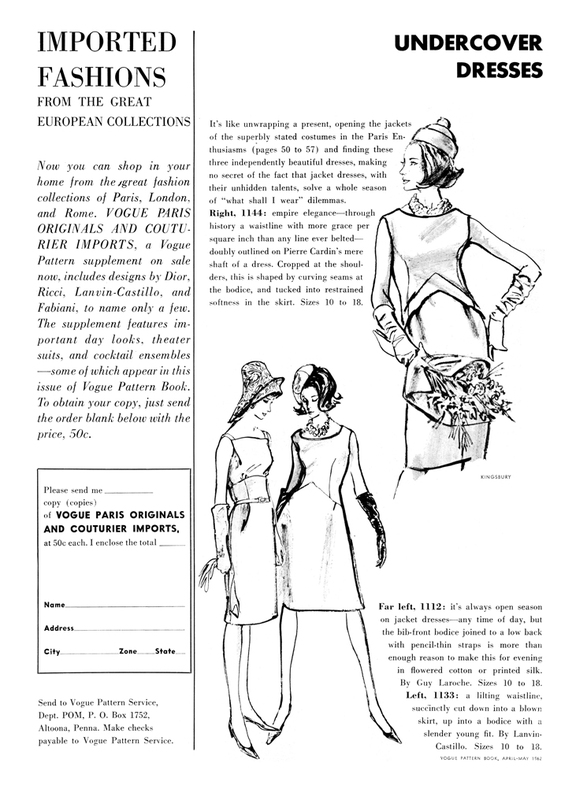 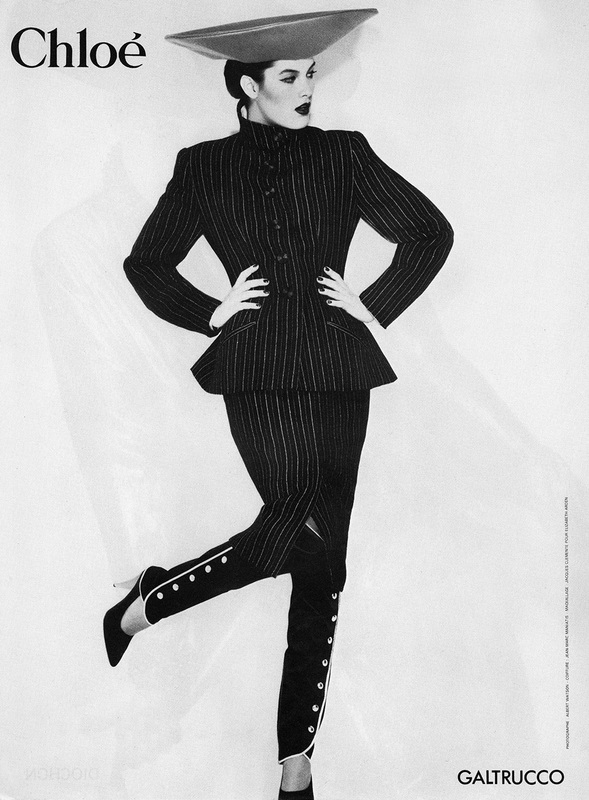 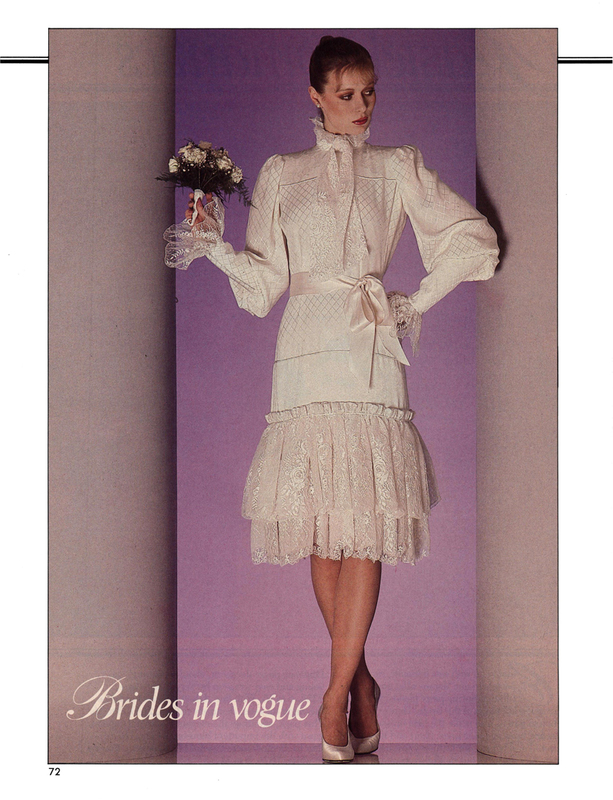 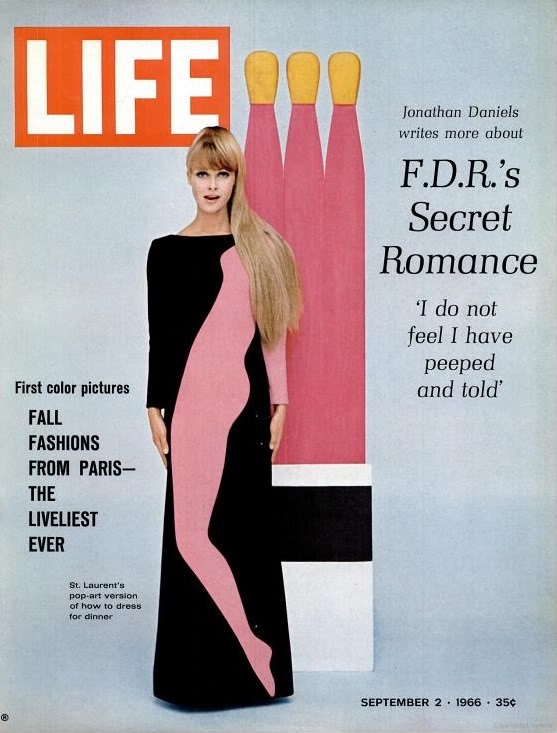 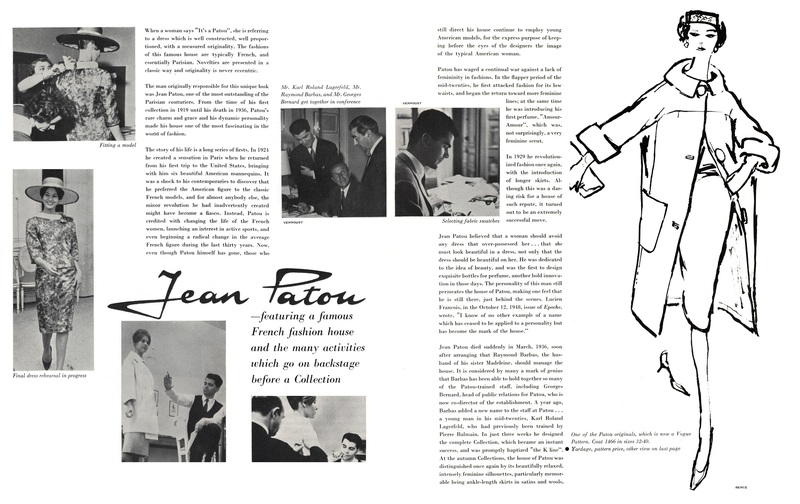 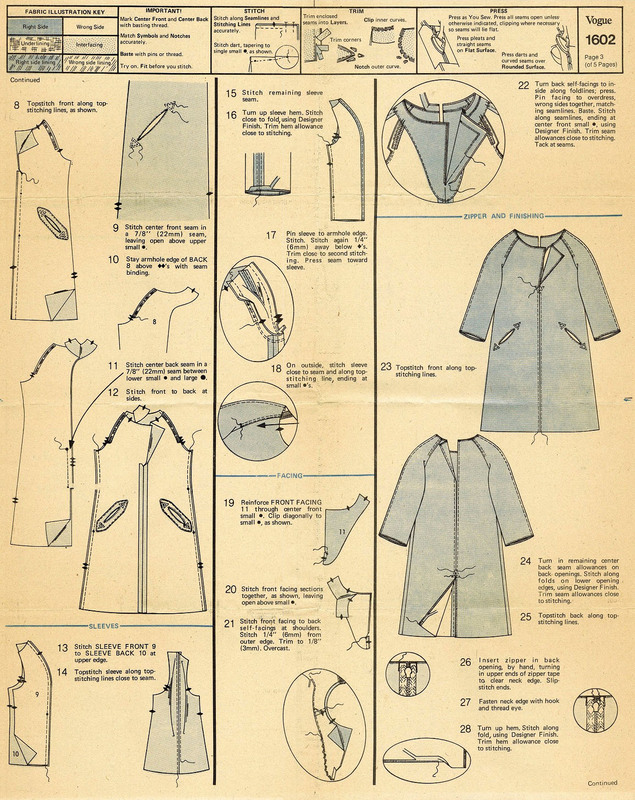 It would have been most logical as the original samples had already been crafted and fitted to a model and Vogue Patterns wouldn’t have had to take the time and great expense of recreating the Haute Couture look by making their own versions, not to mention the delay it could cause in getting the pattern envelopes and promotional materials printed in time for the release of the patterns. 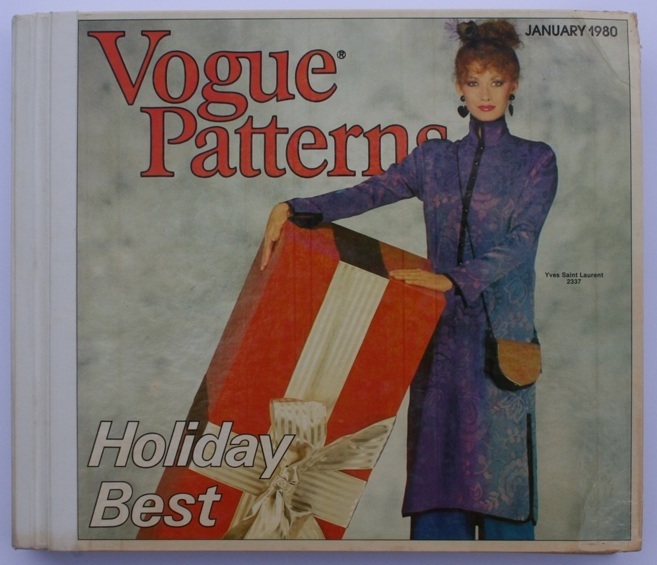 I imagine that, at one time, that once the preffered looks of each designer’s collection were chosen by Vogue Patterns they would have scheduled a time to borrow the samples, and often accessories, to photograph them on location or in the studio in Paris, Rome, London, New York, and Madrid (or sometimes generalized to ‘Spain’ on some pattern envelopes), just like the fashion magazines would have done. 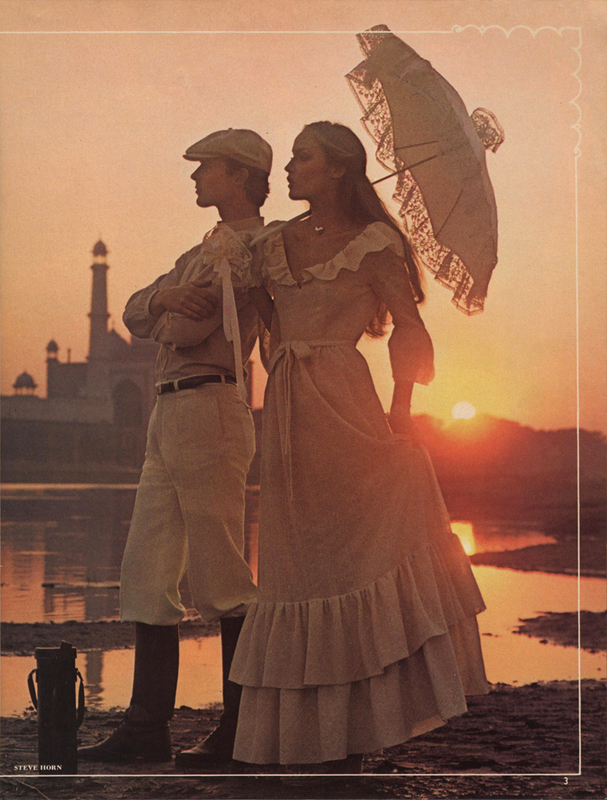 Anyhow, it would have been most impractical financially, logistically and time-wise for reproductions to be sent all the way back to Europe just to be photographed on location. 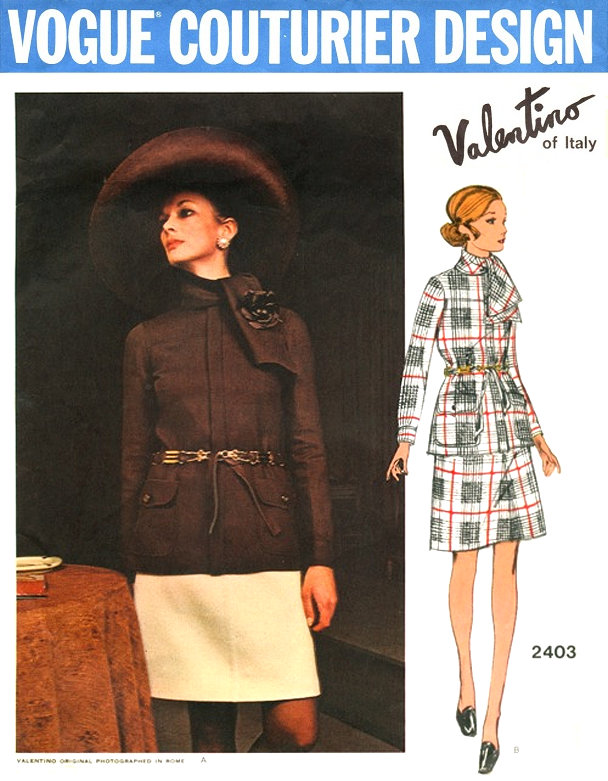 In this case, for the sake of the home sewer, it’s great to be shown the authentic put-together, head-to-toe look as intended by Valentino. 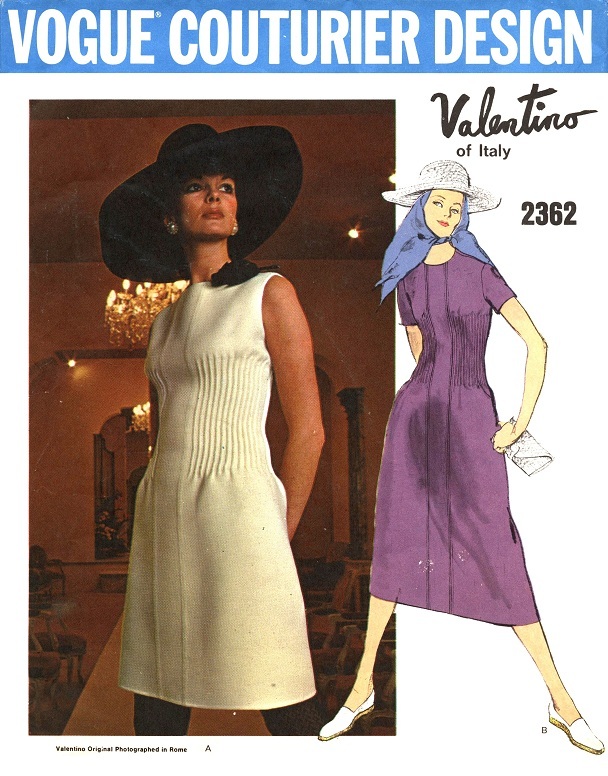 I suppose, if budgets allowed, what the home sewer saved by making her own dress, she might have spent on some authentic Valentino accessories from the nearest department store to complete the look! 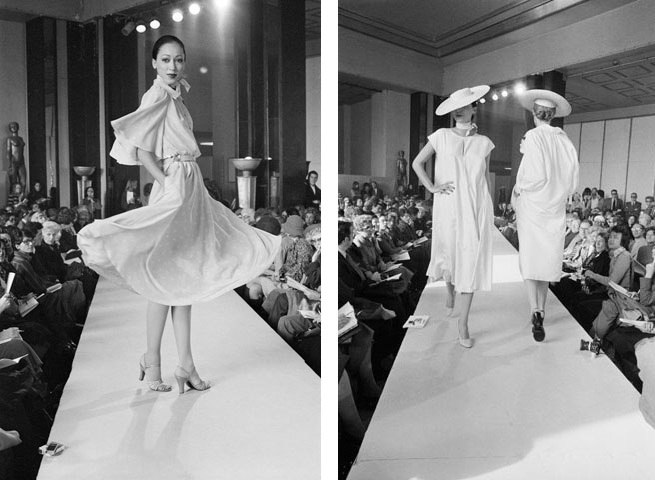 Just look at all of those fabulous accessories strewn all over the runway in the photograph of 2381. 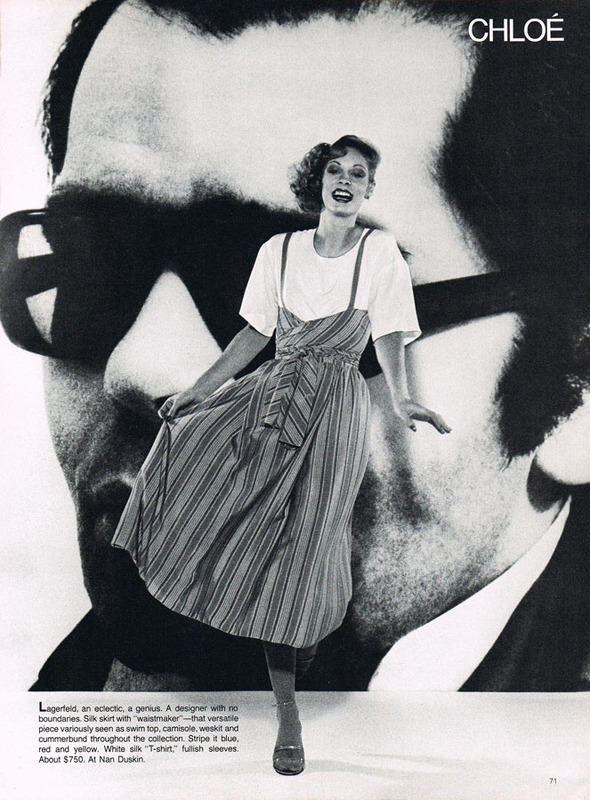 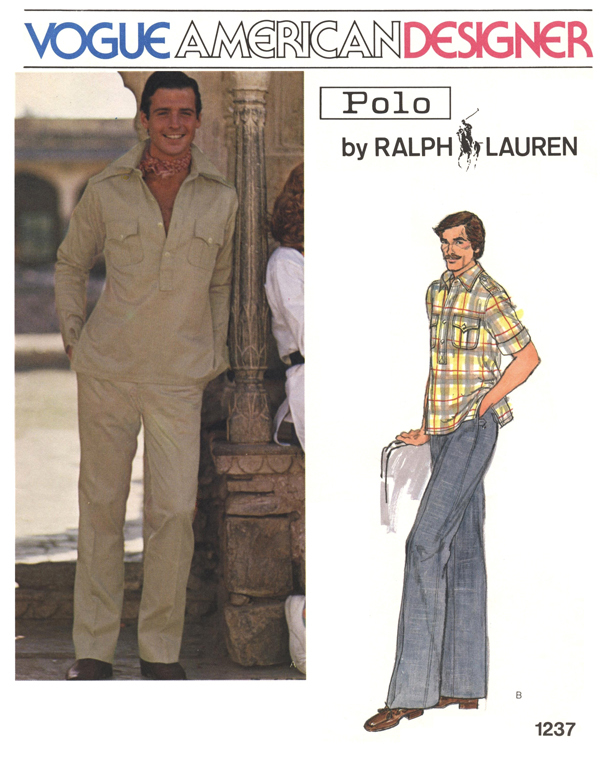 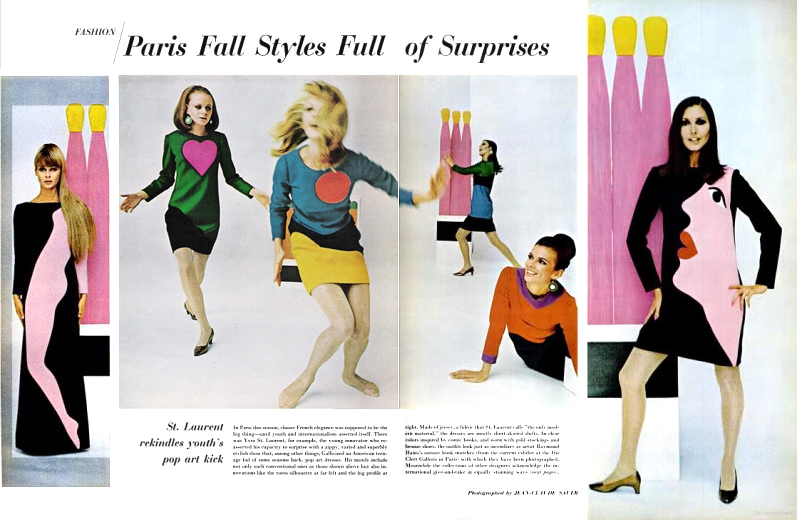 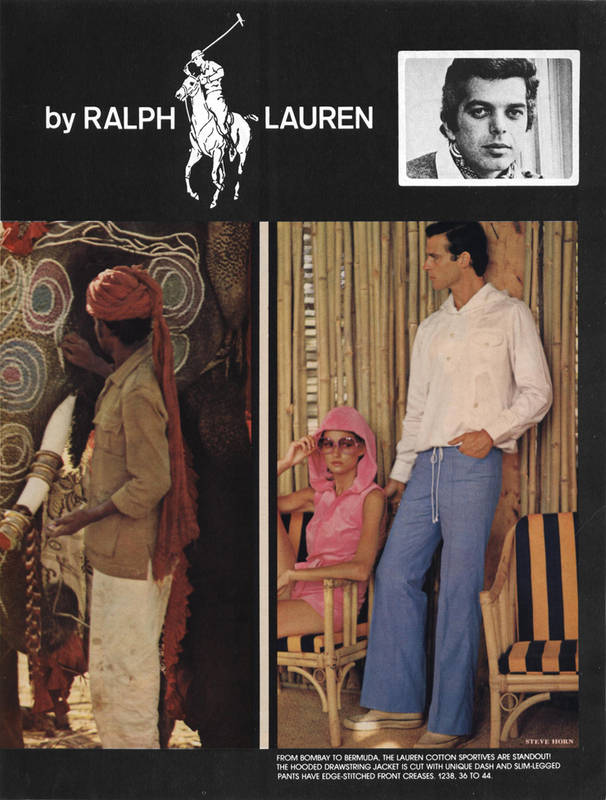 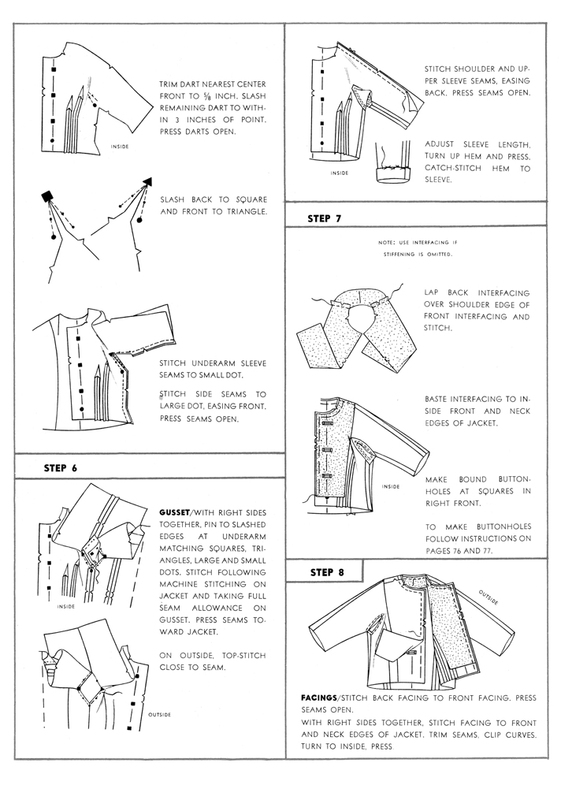 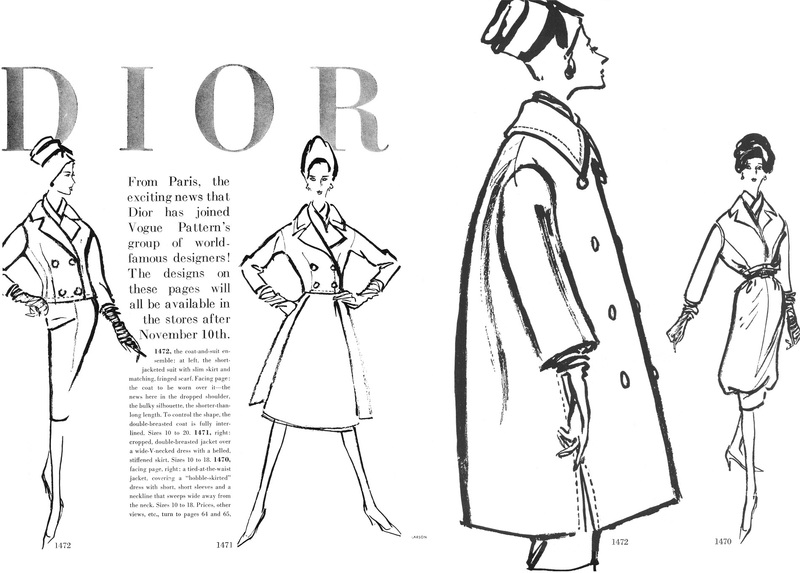 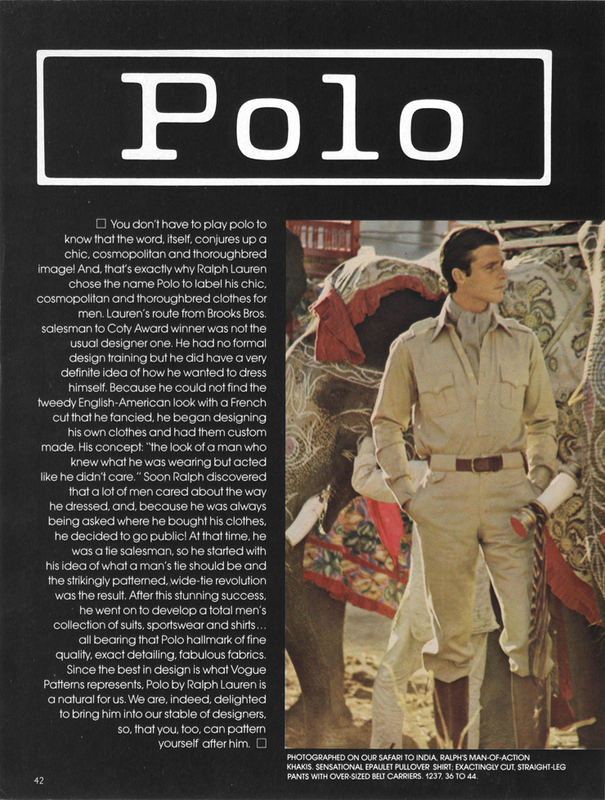 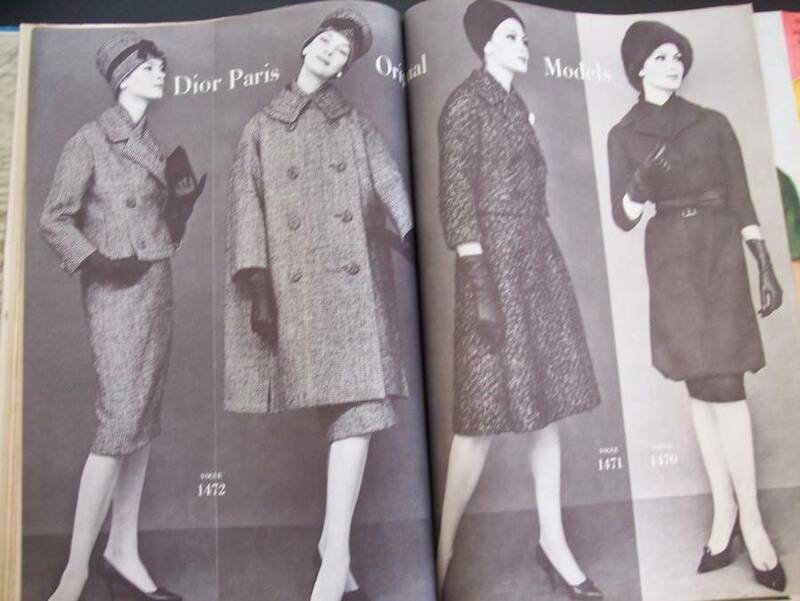 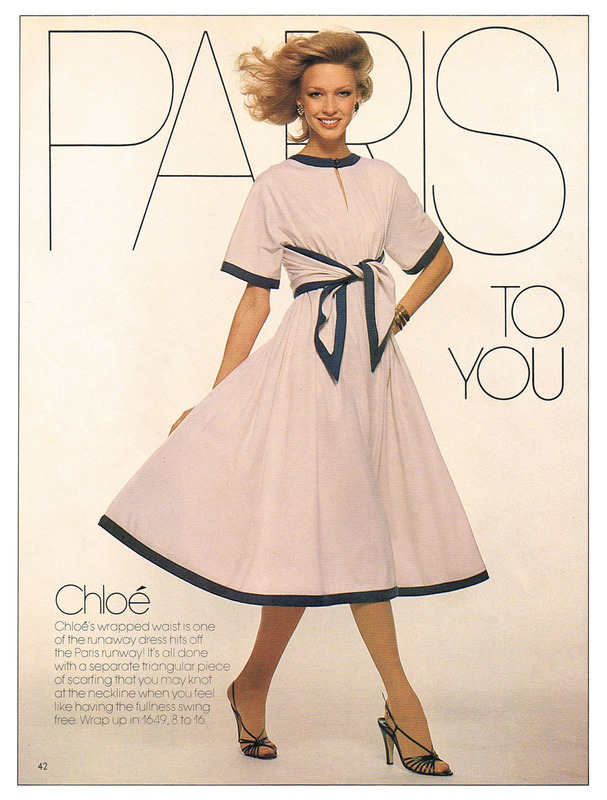 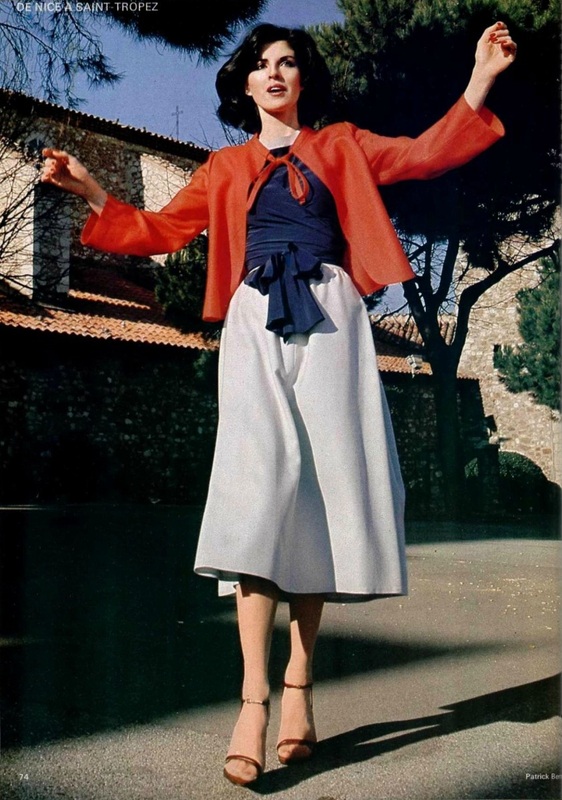 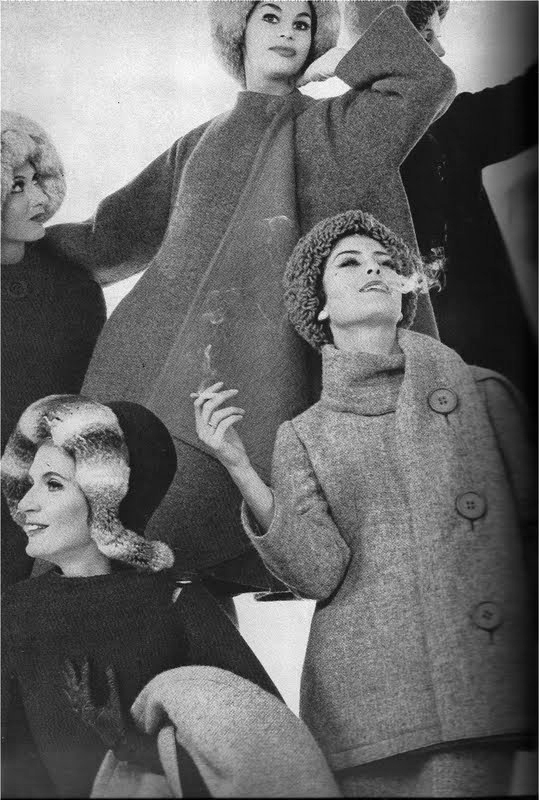 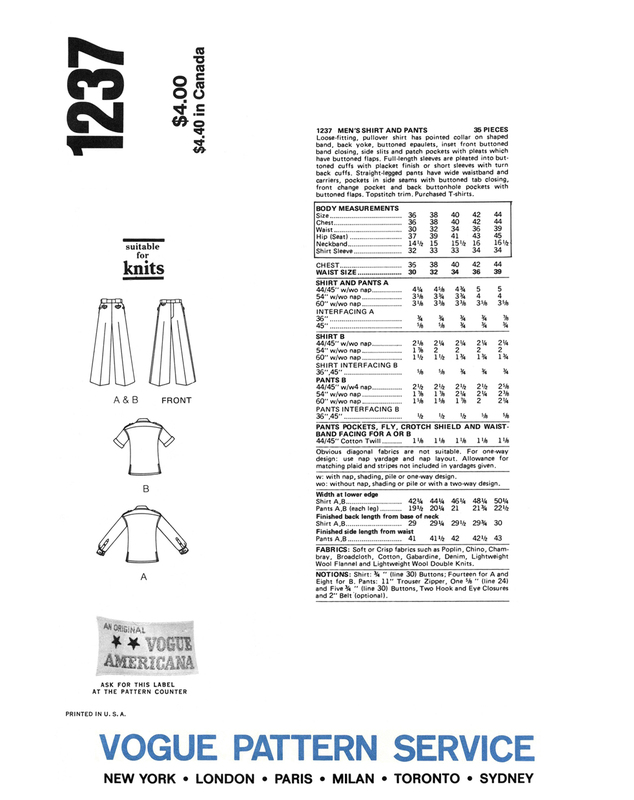 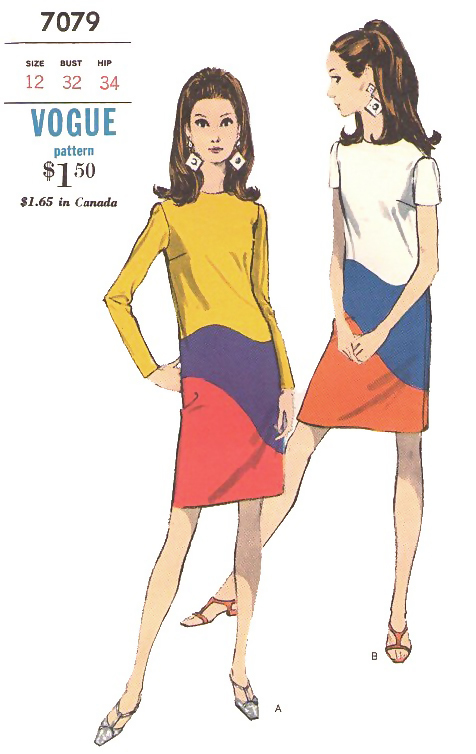 The four patterns were released toward the end of or after the passing of the 1970 Spring/Summer Season. 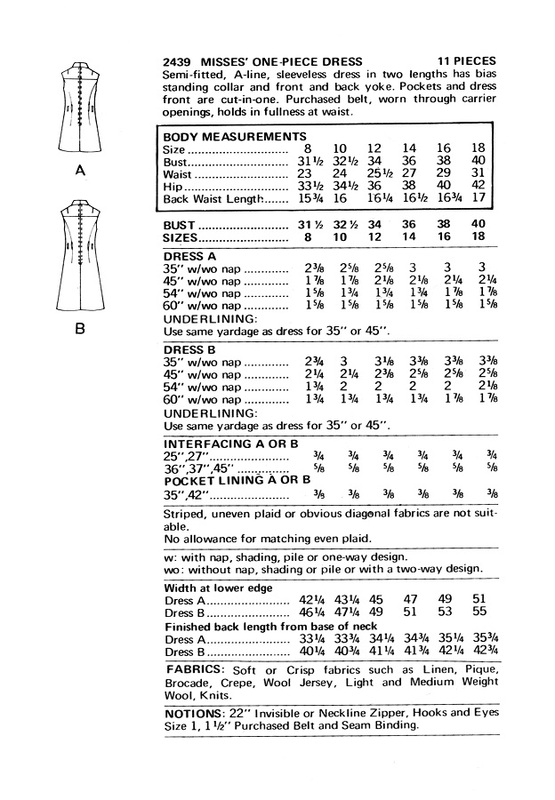 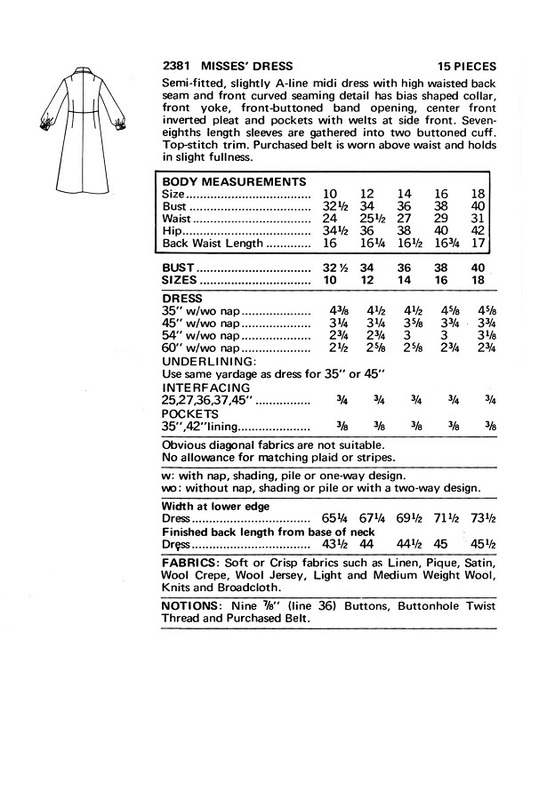 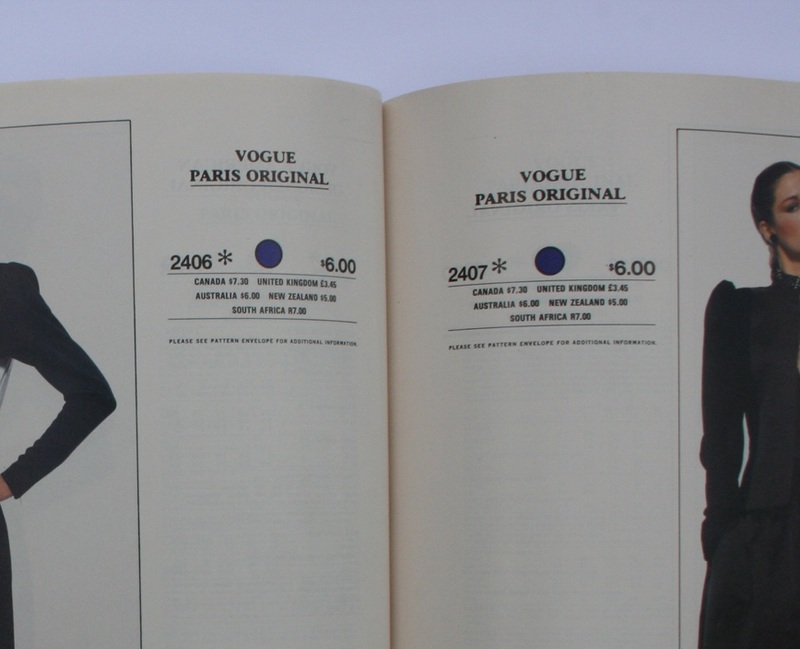 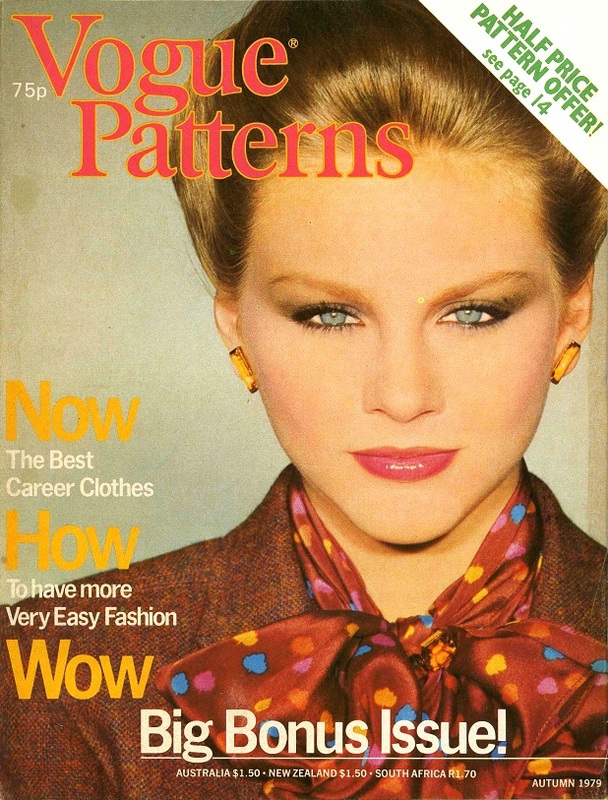 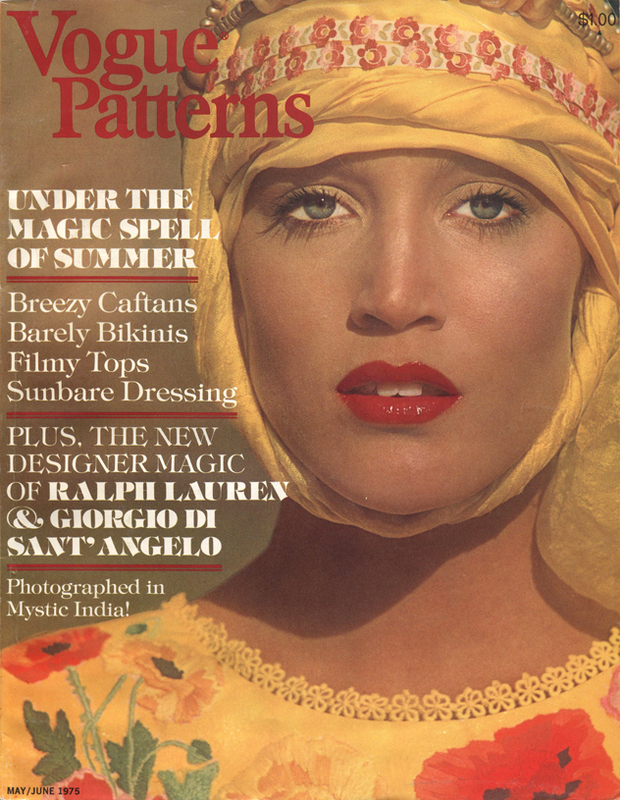 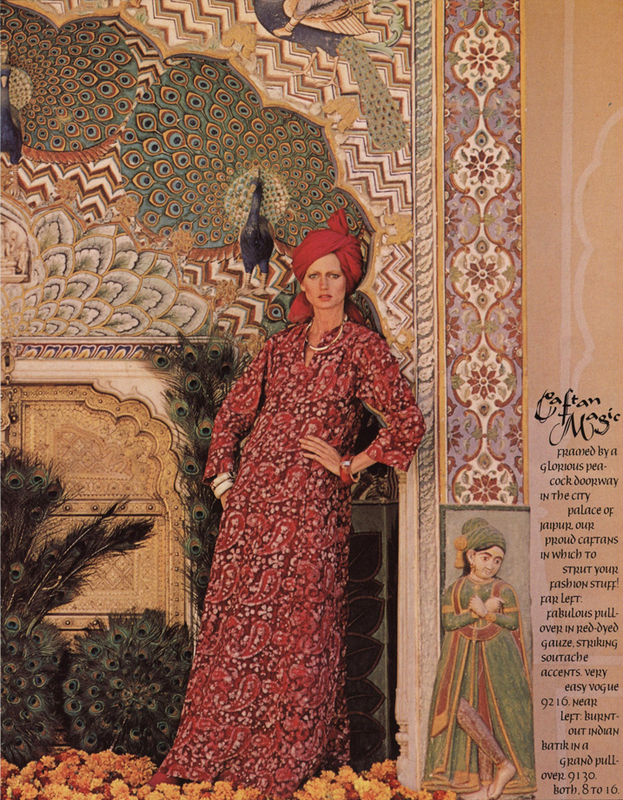 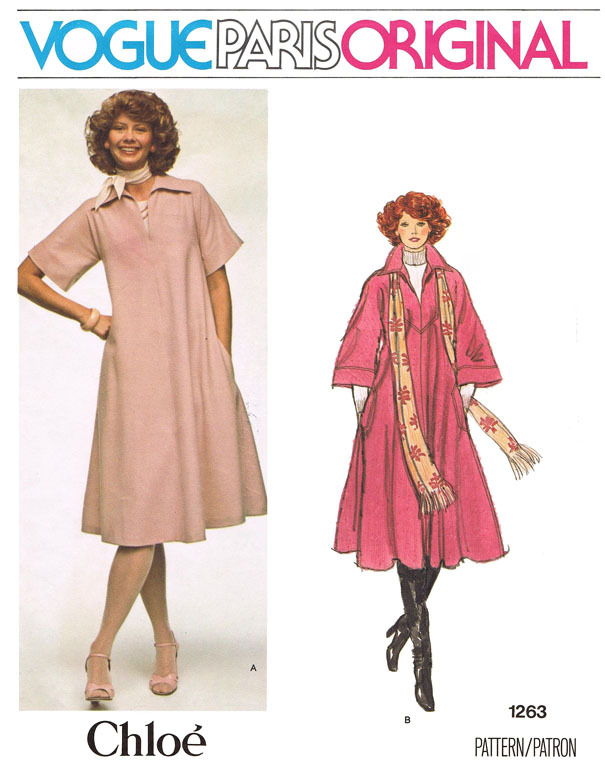 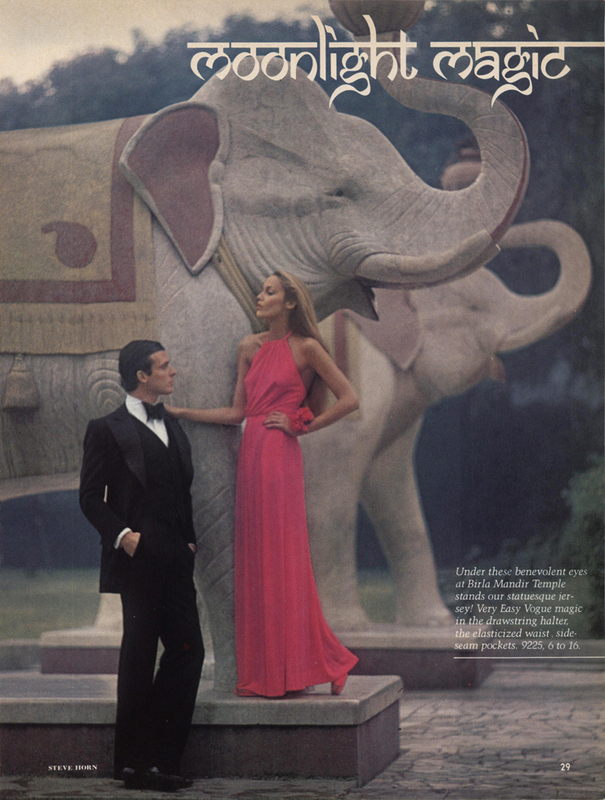 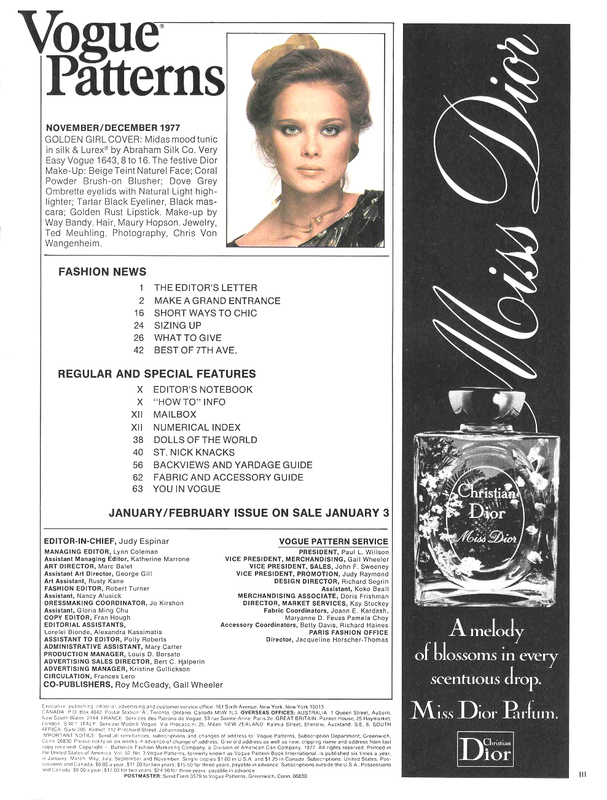 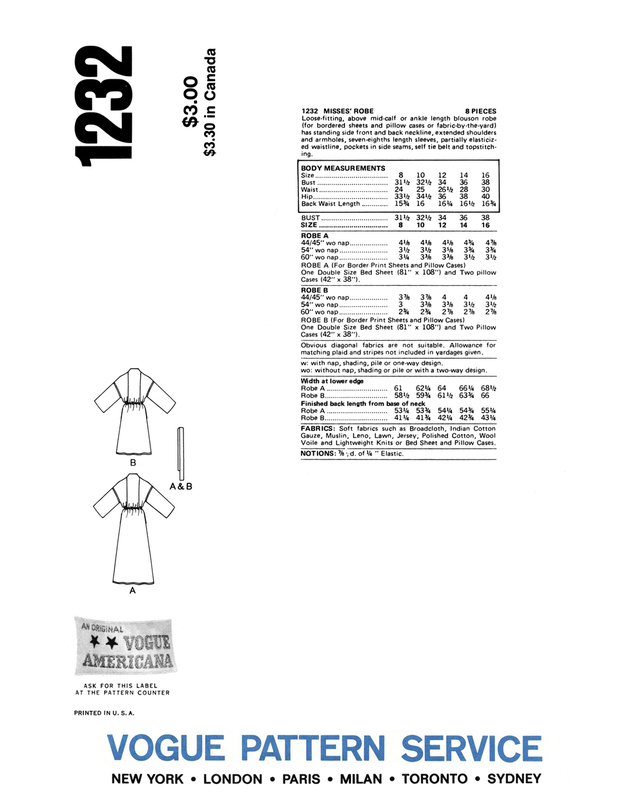 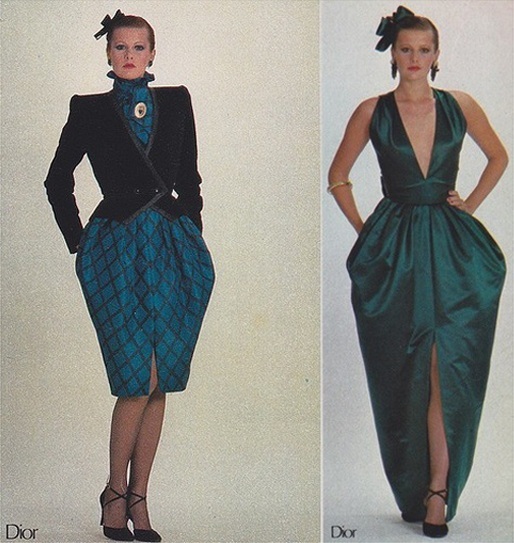 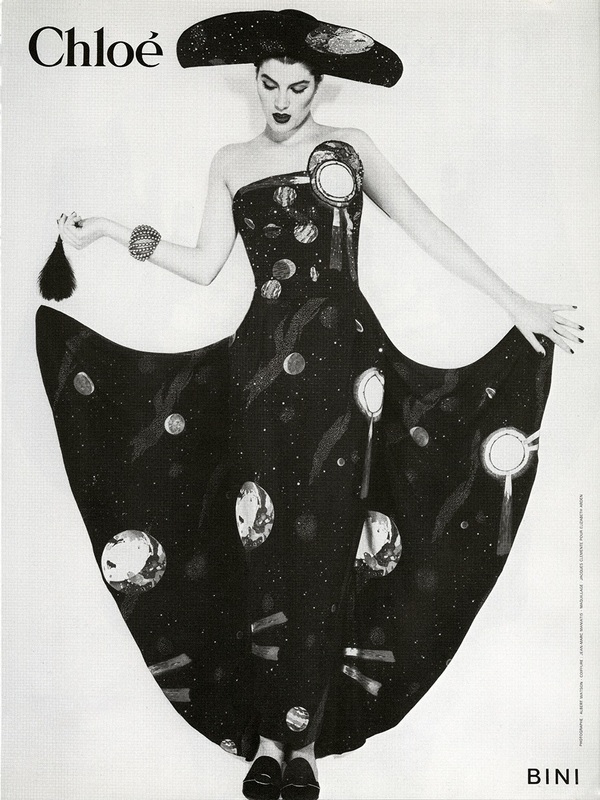 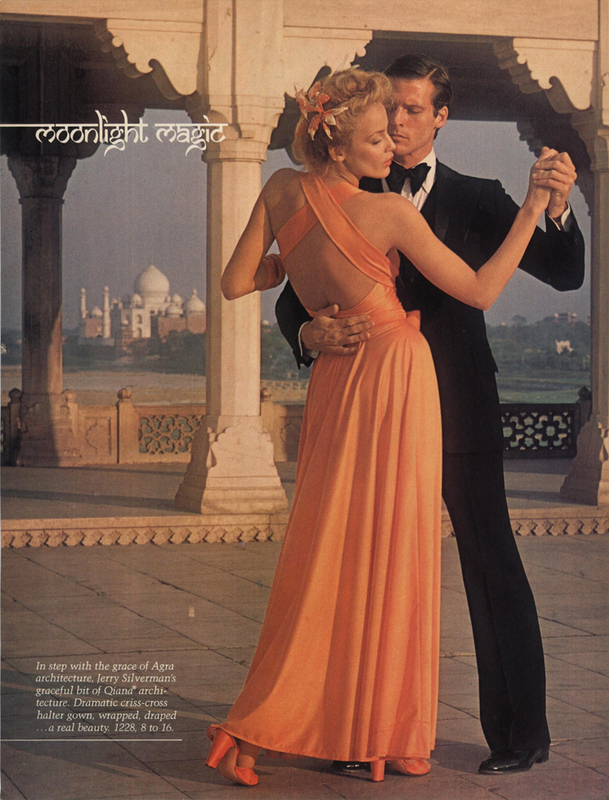 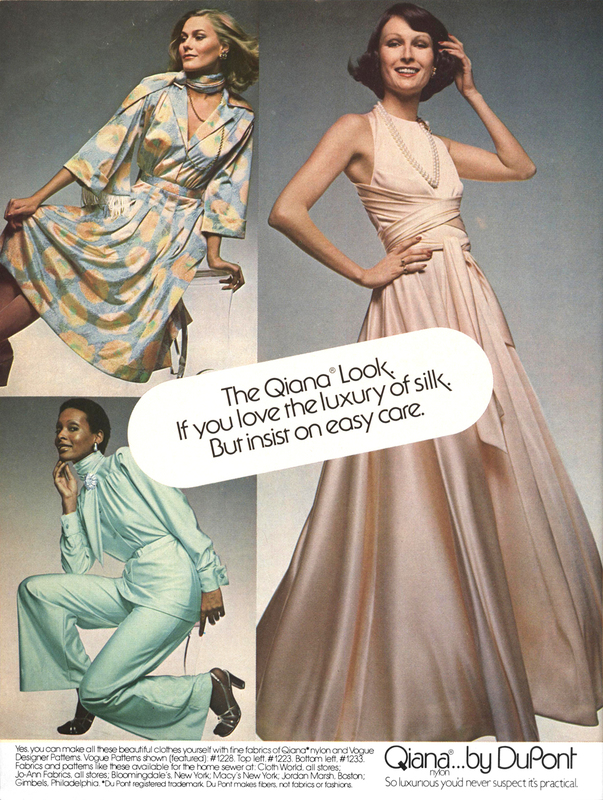 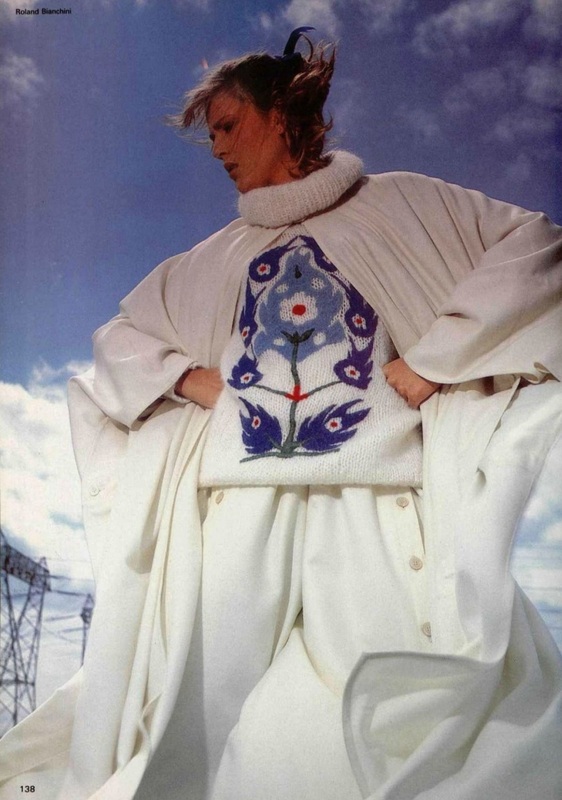 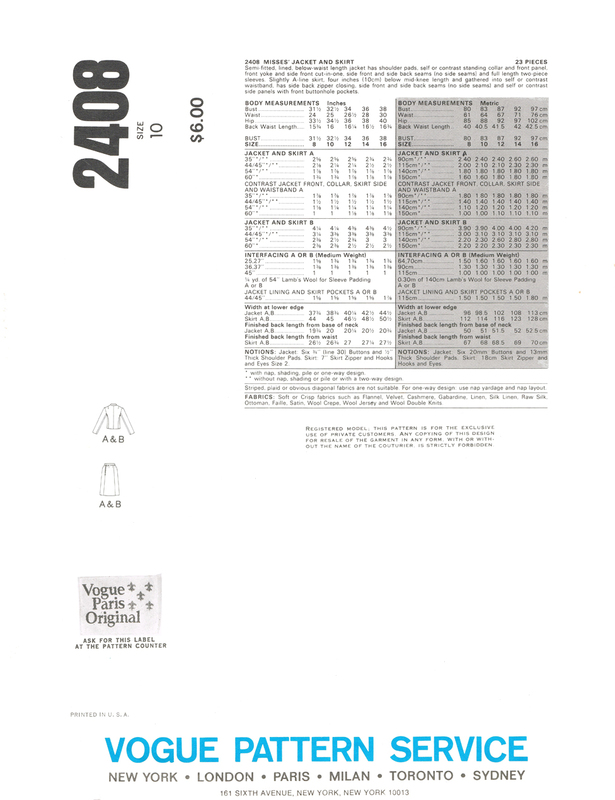 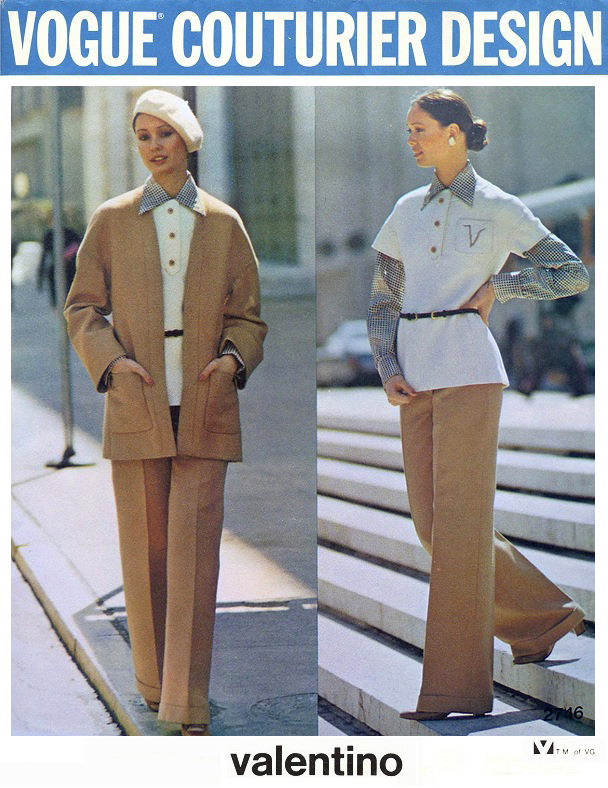 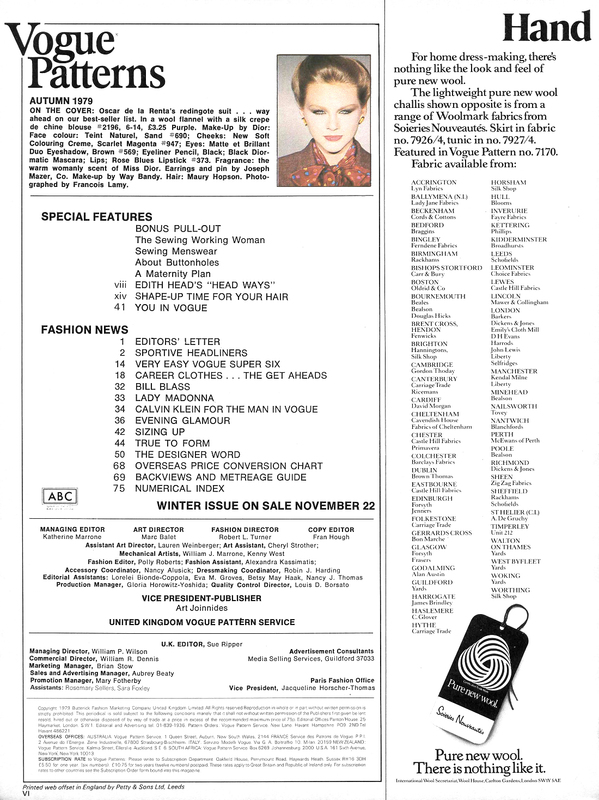 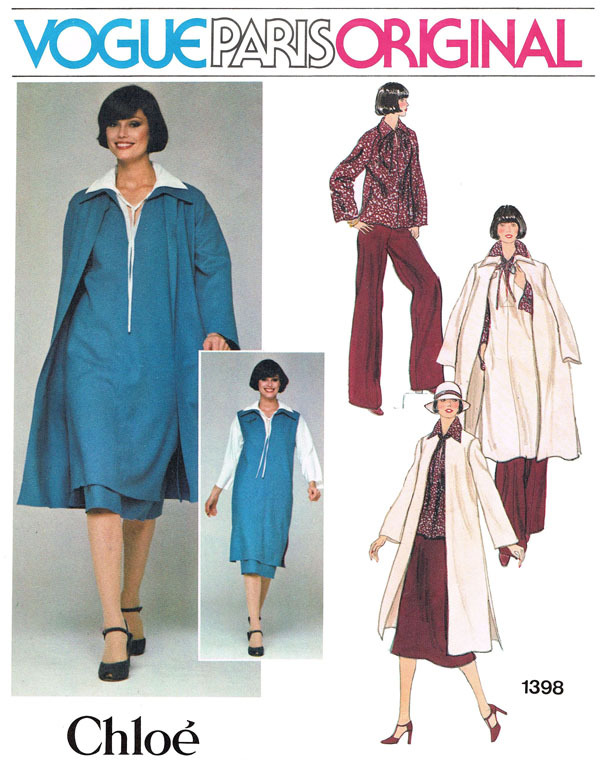 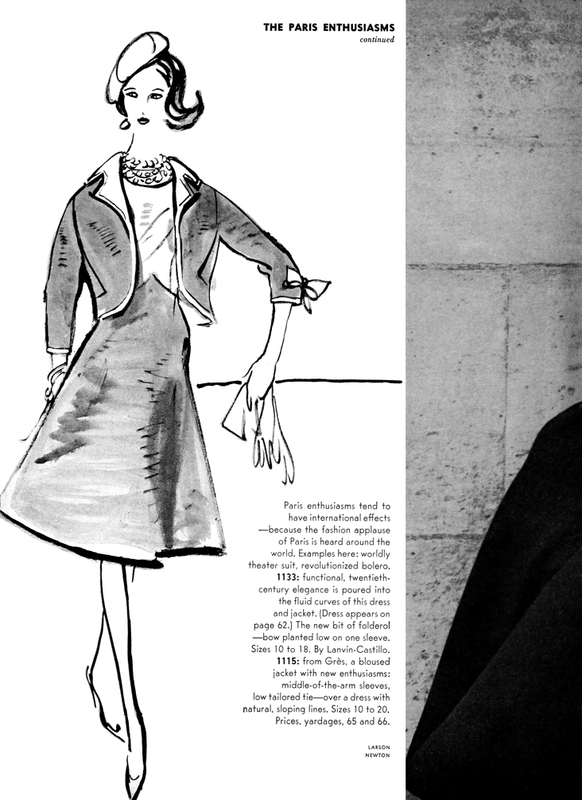 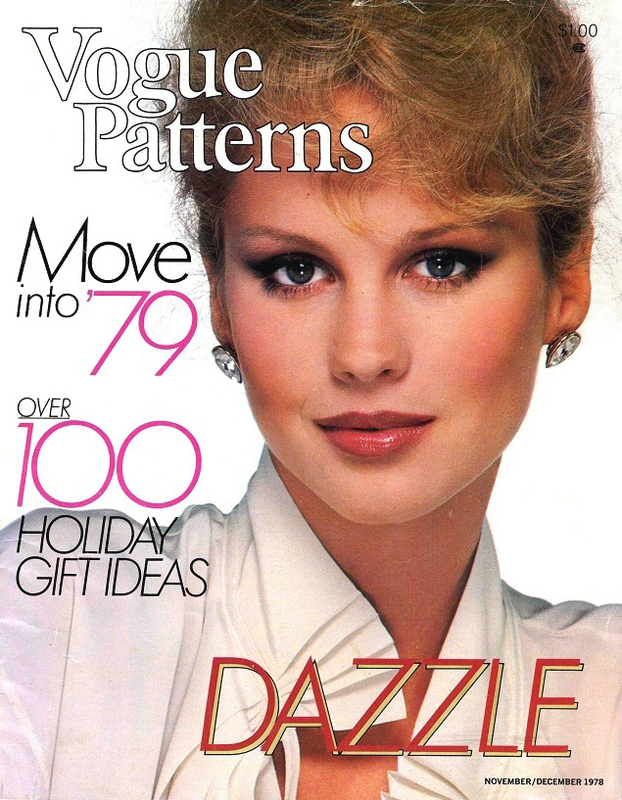 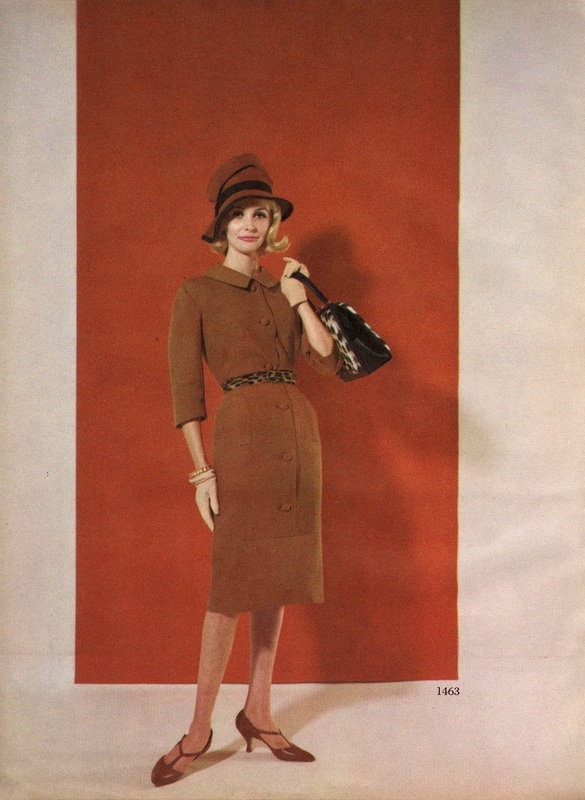 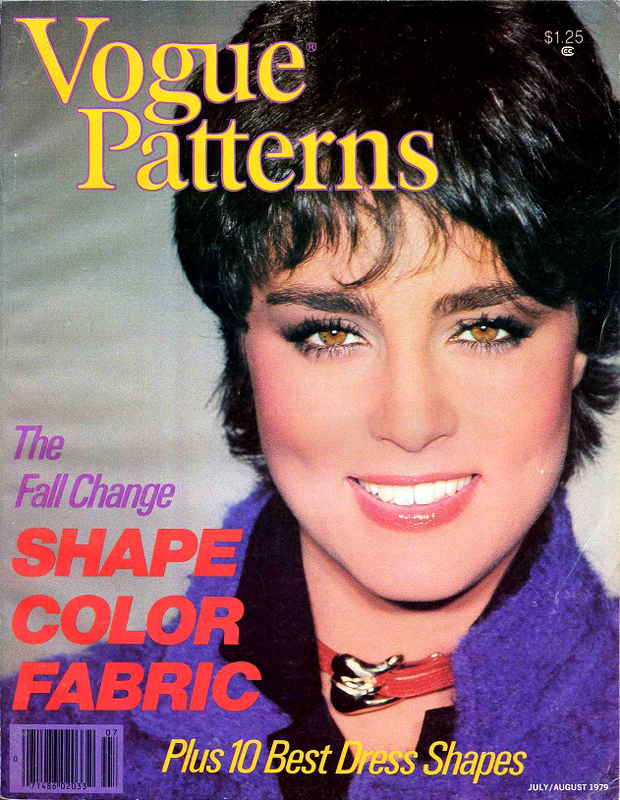 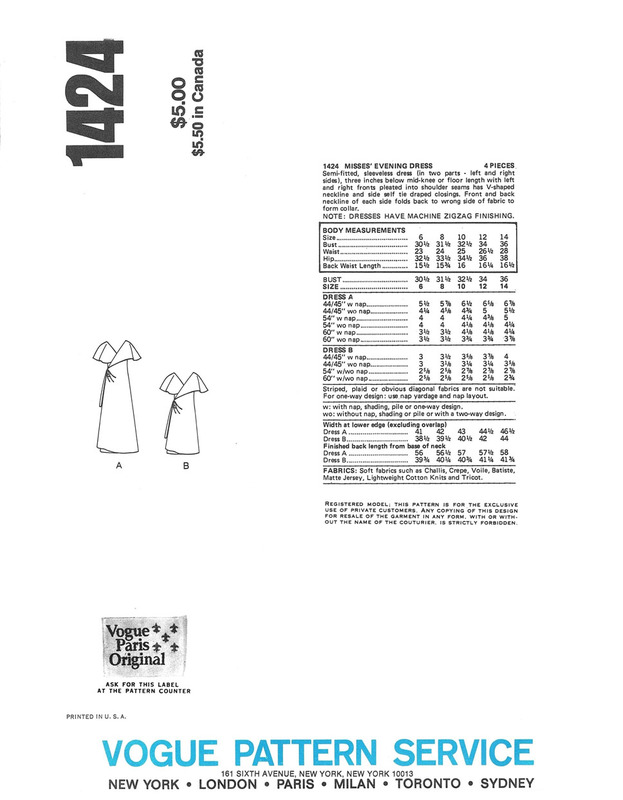 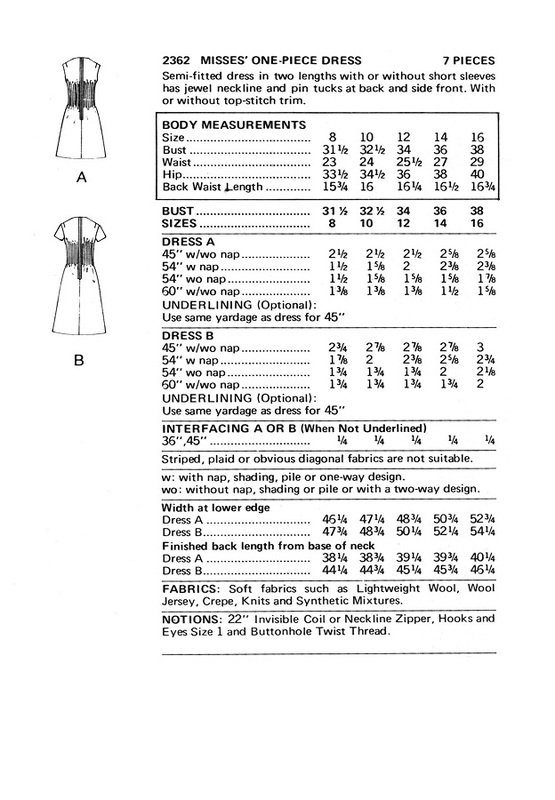 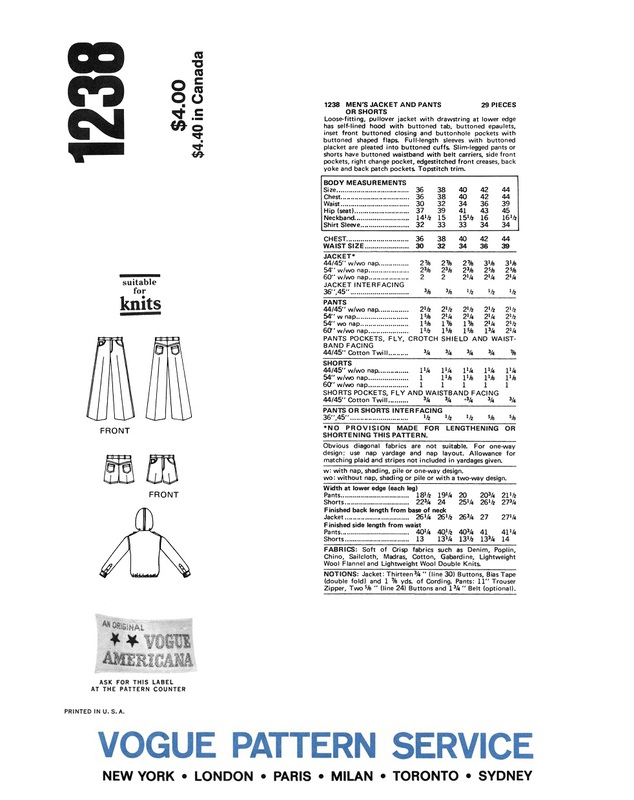 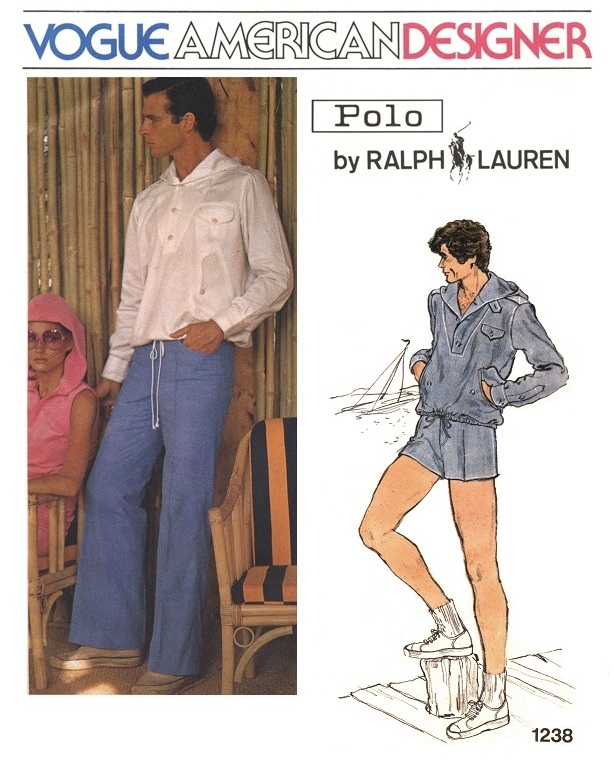 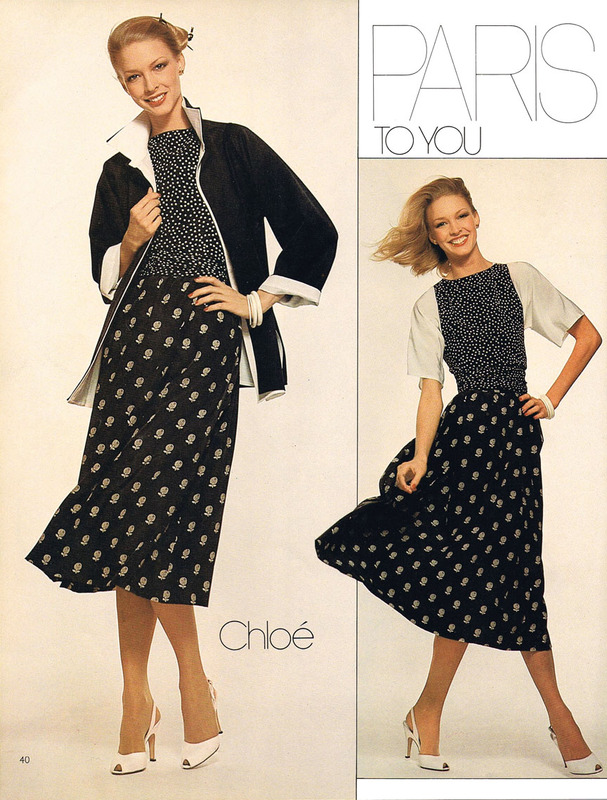 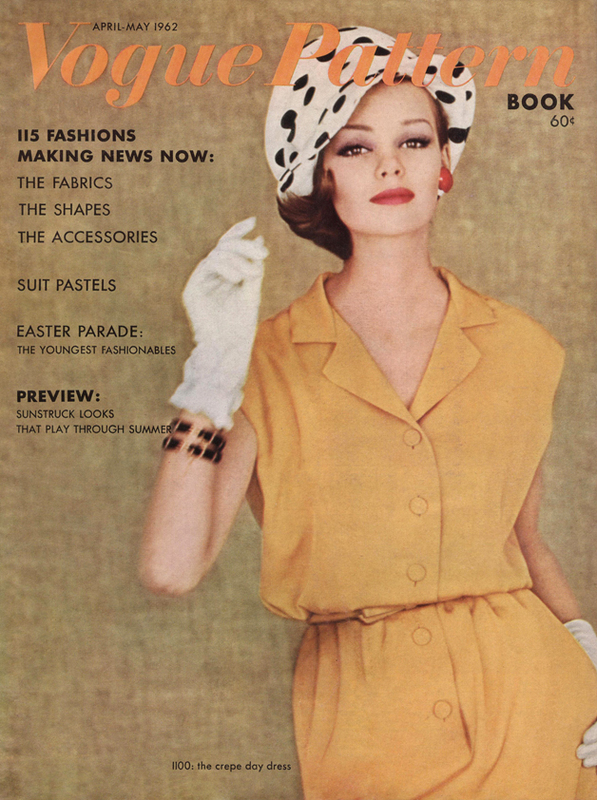 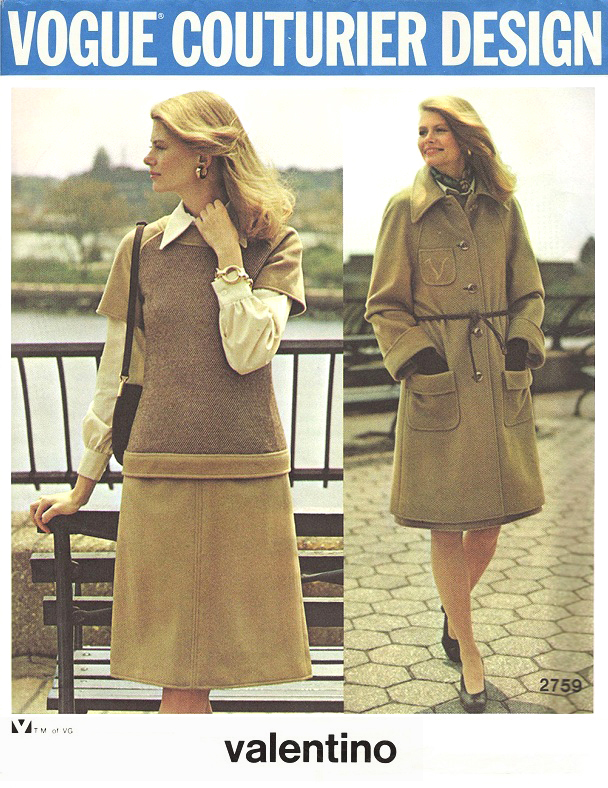 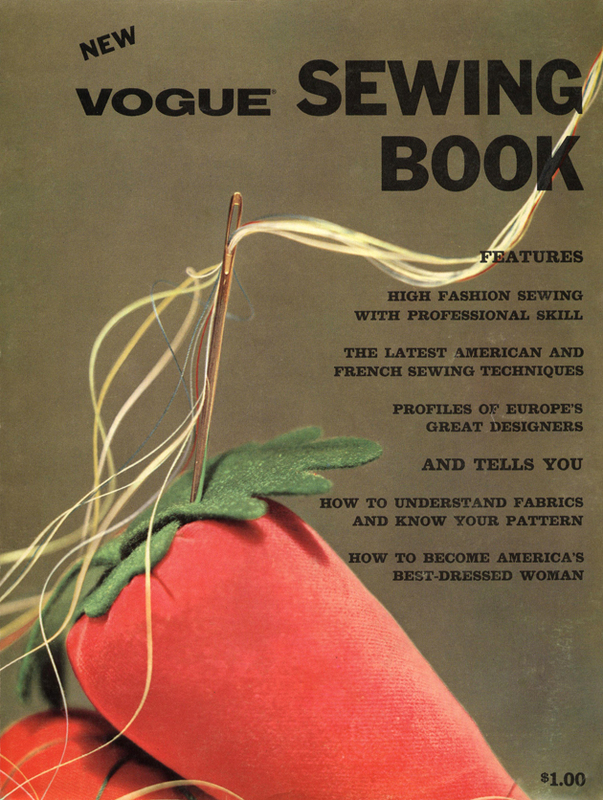 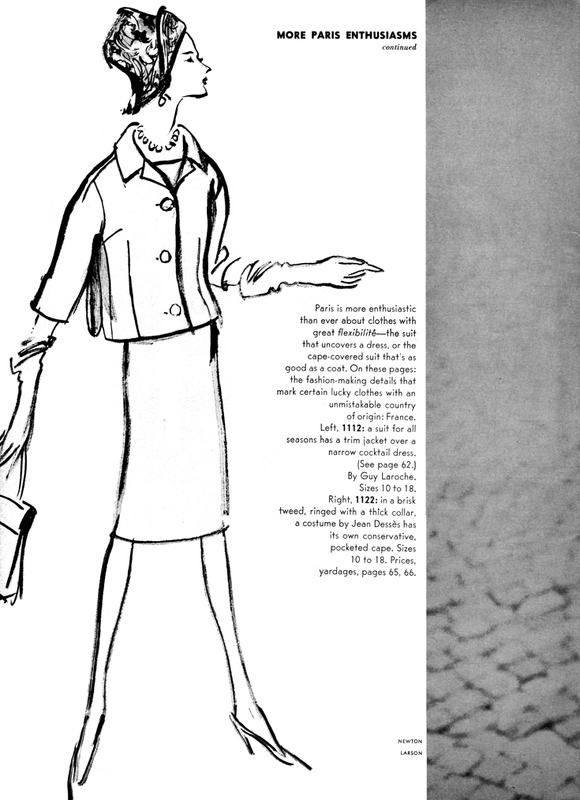 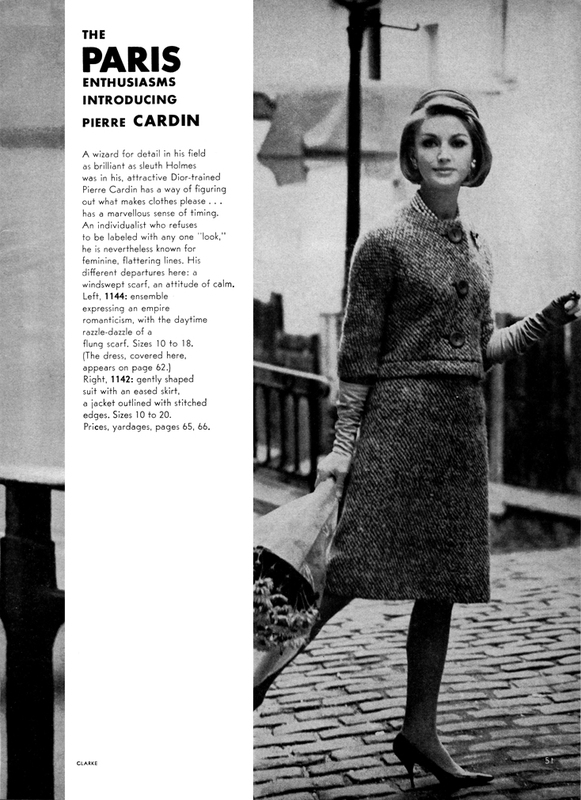 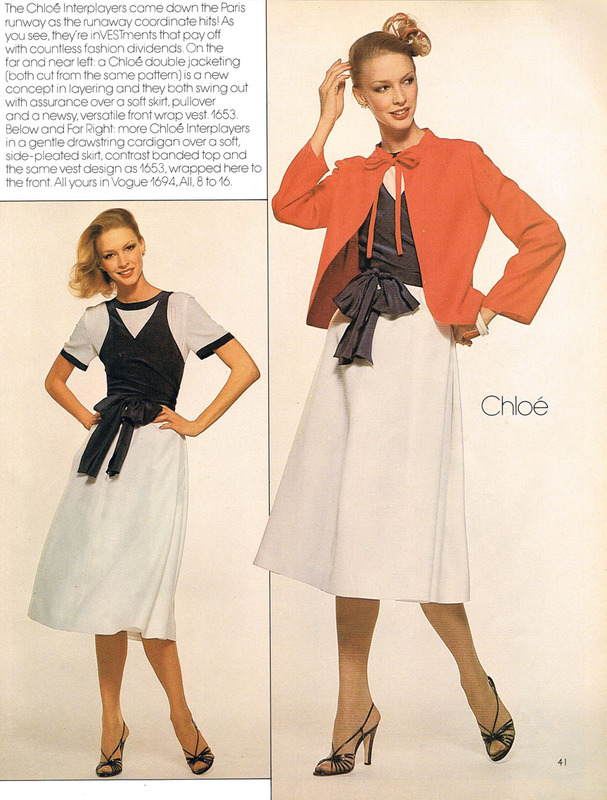 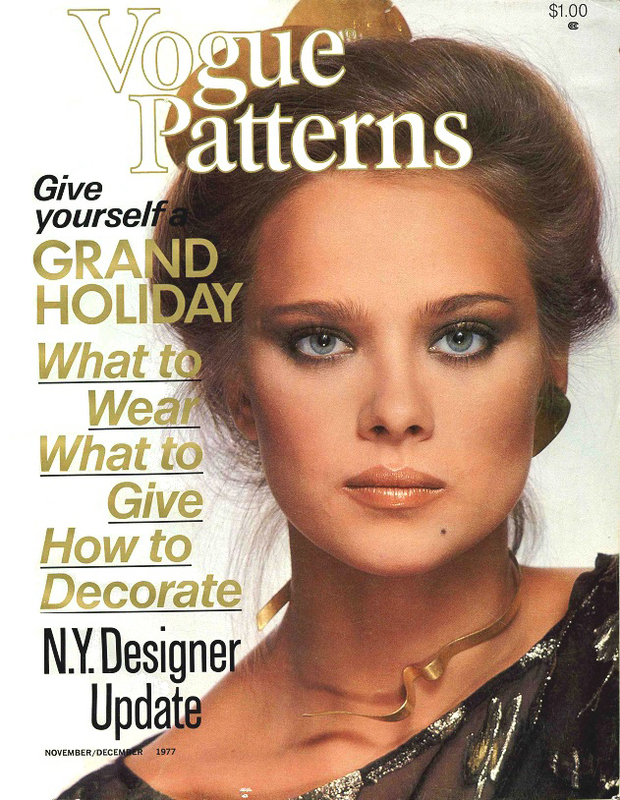 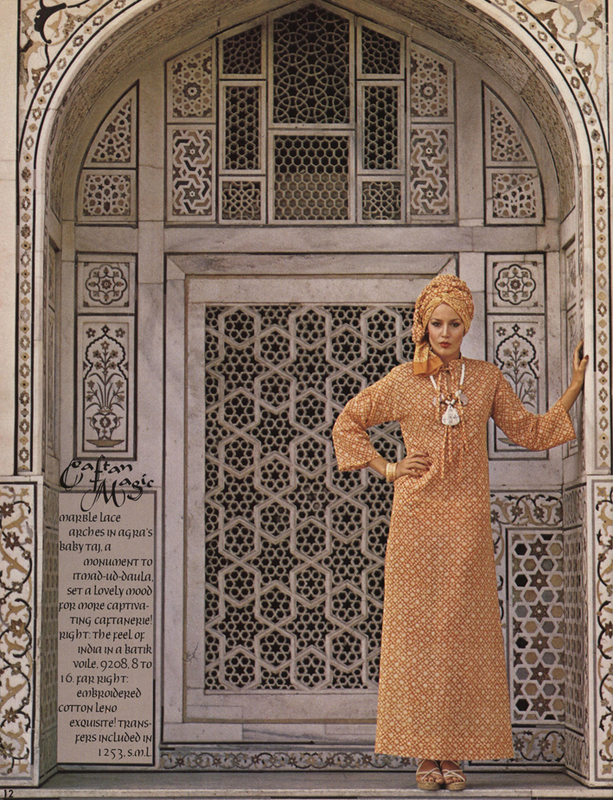 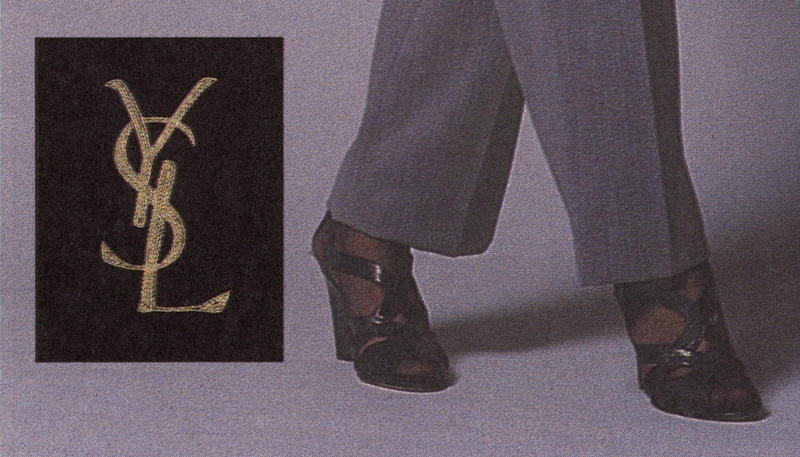 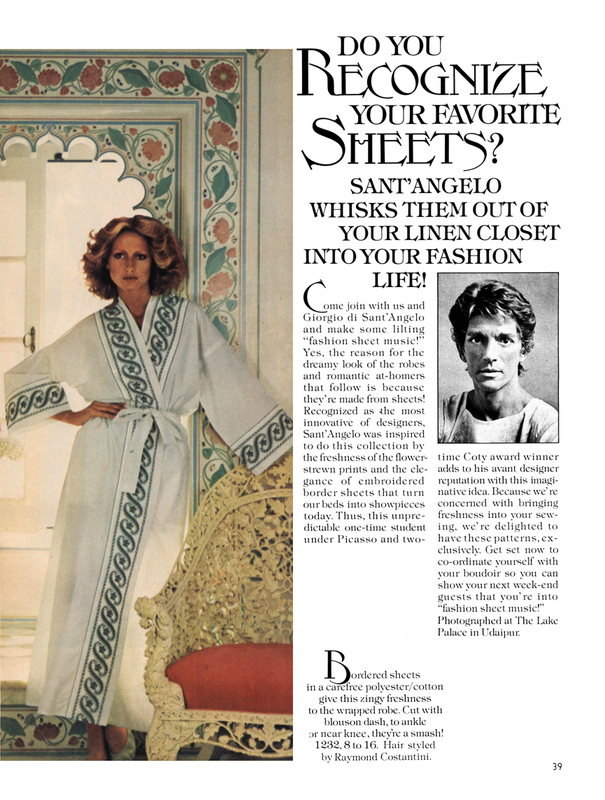 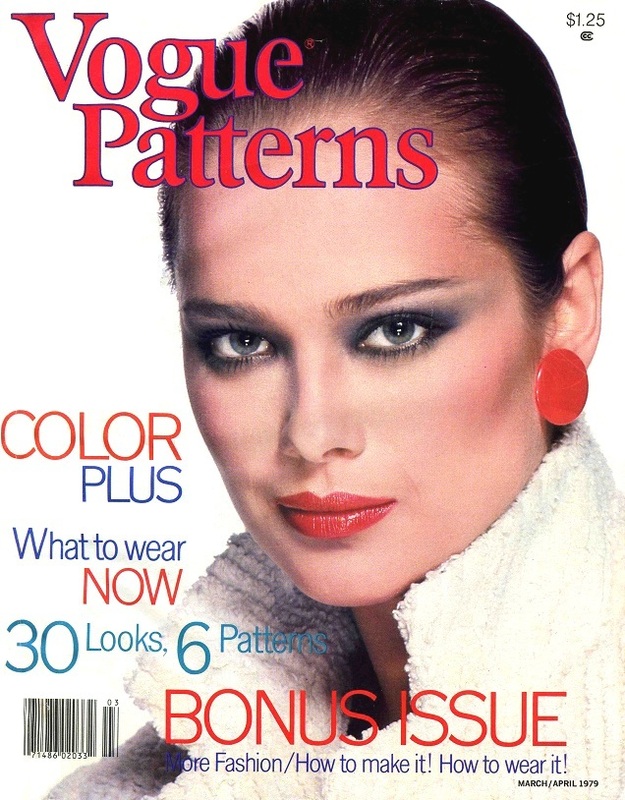 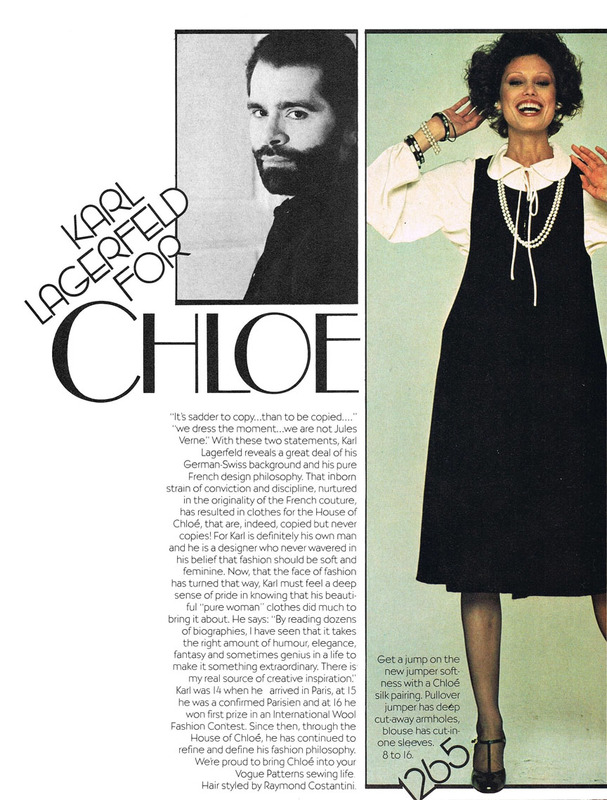 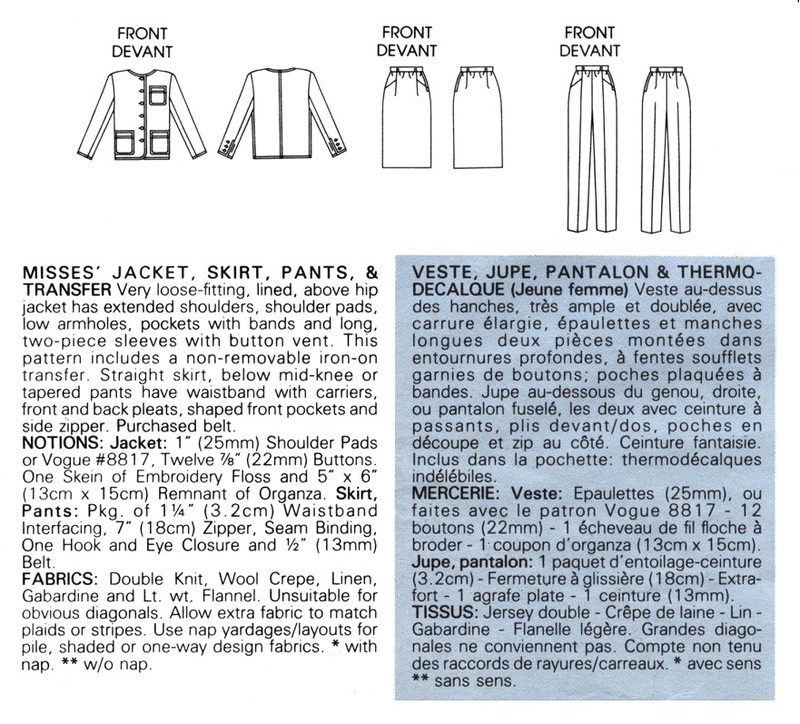 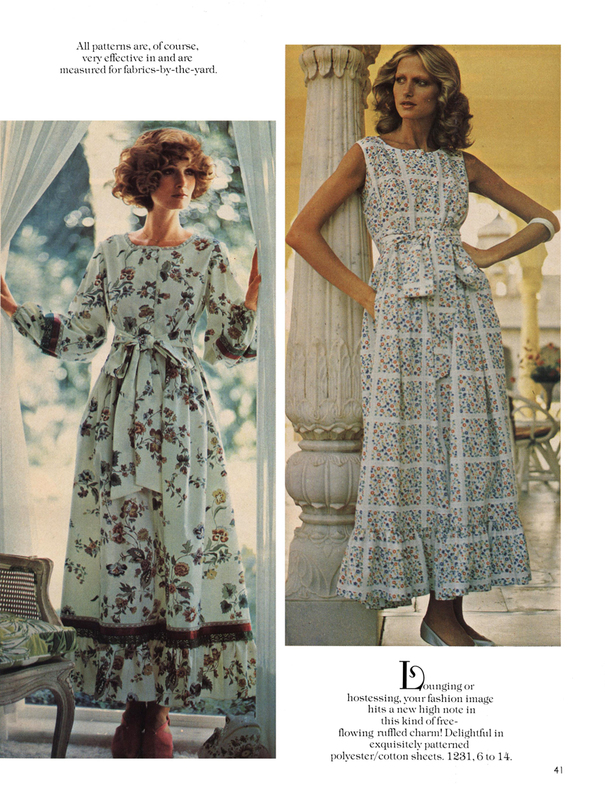 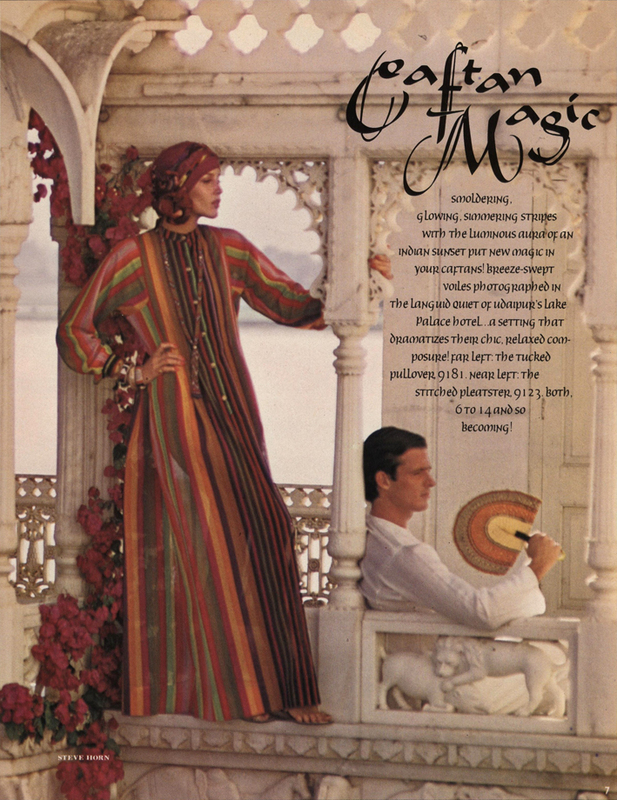 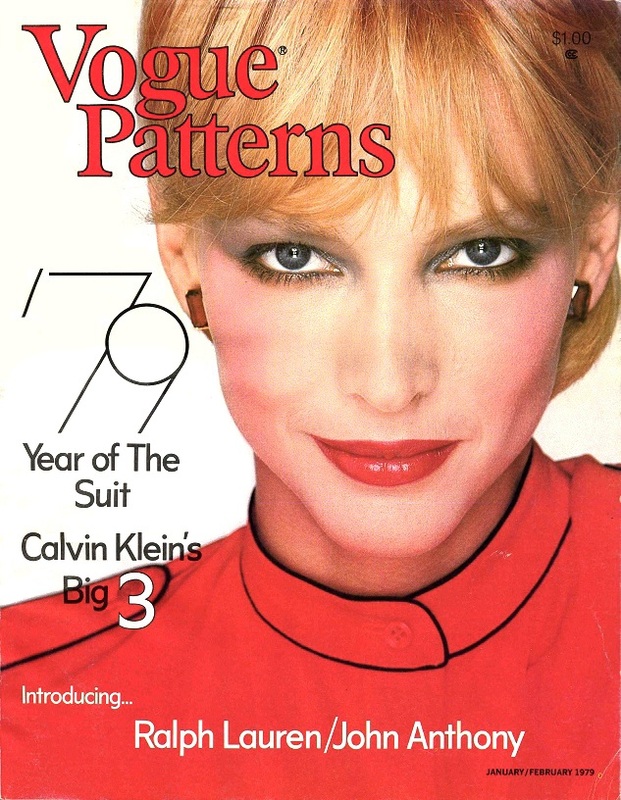 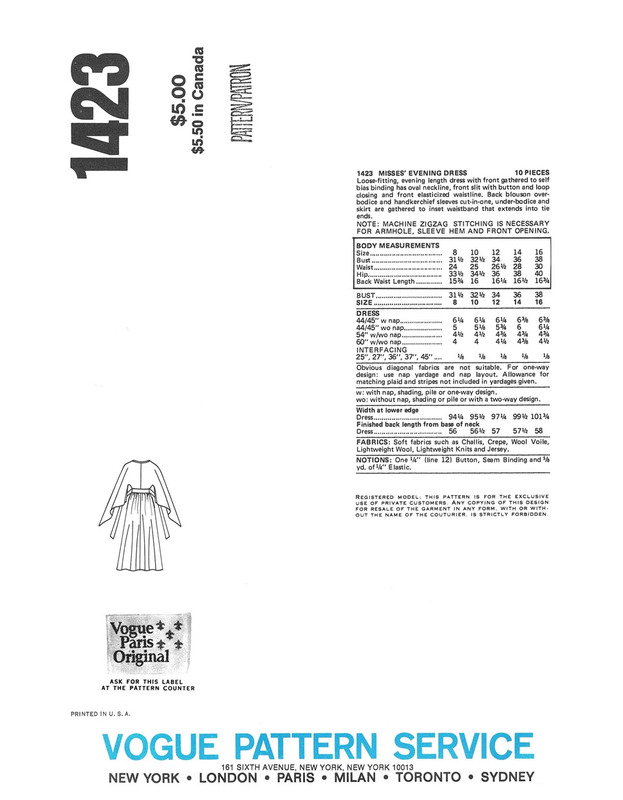 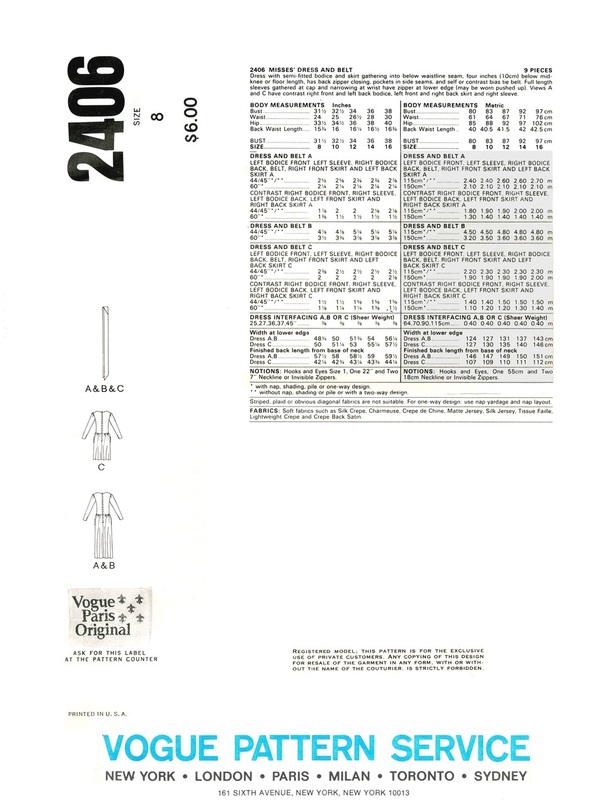 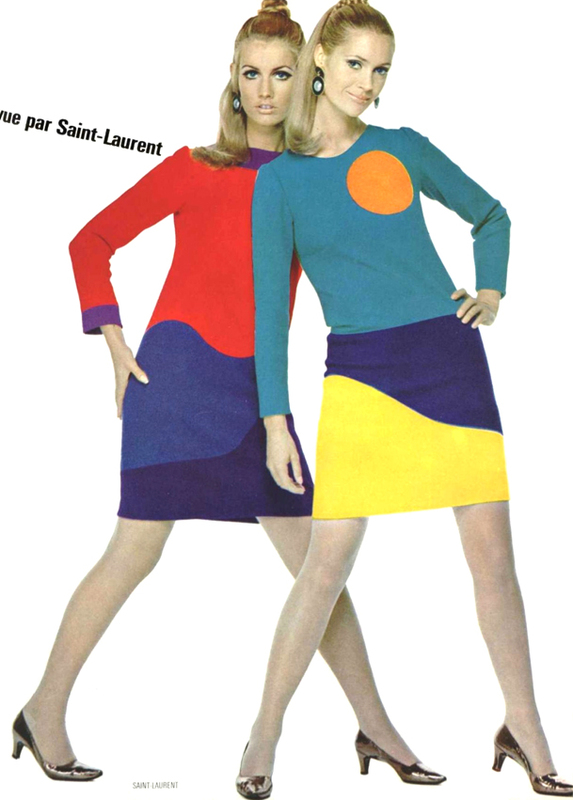 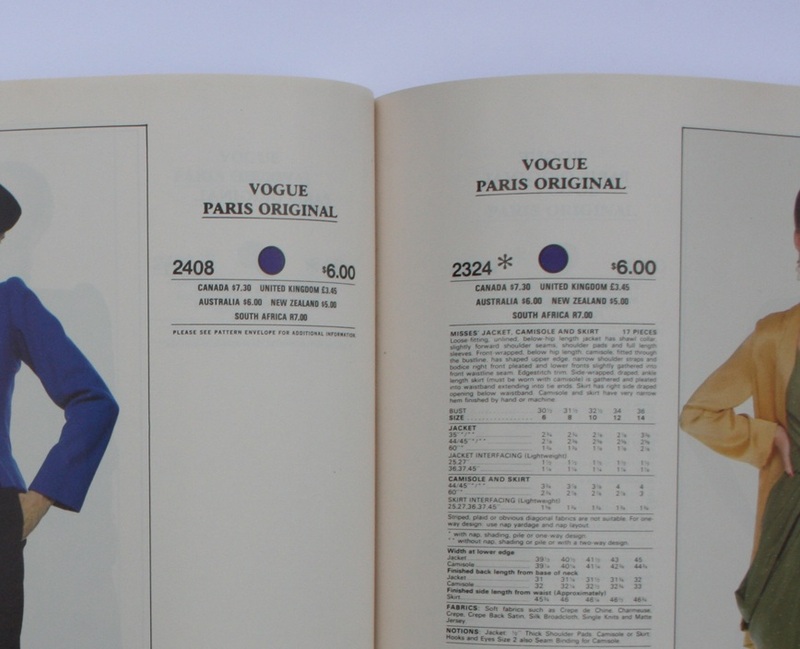 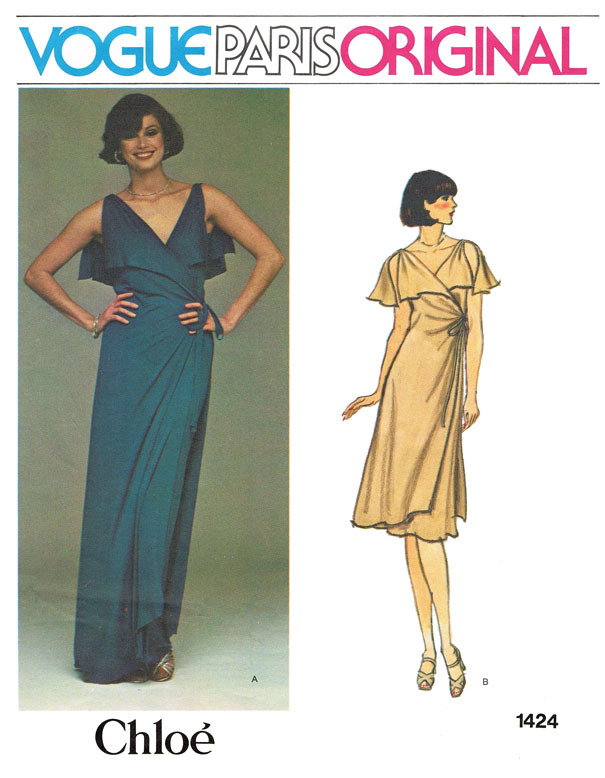 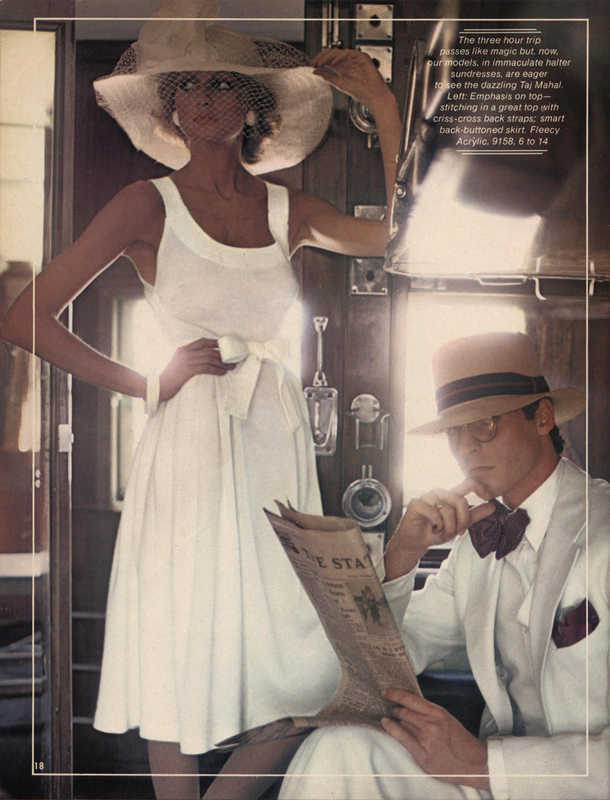 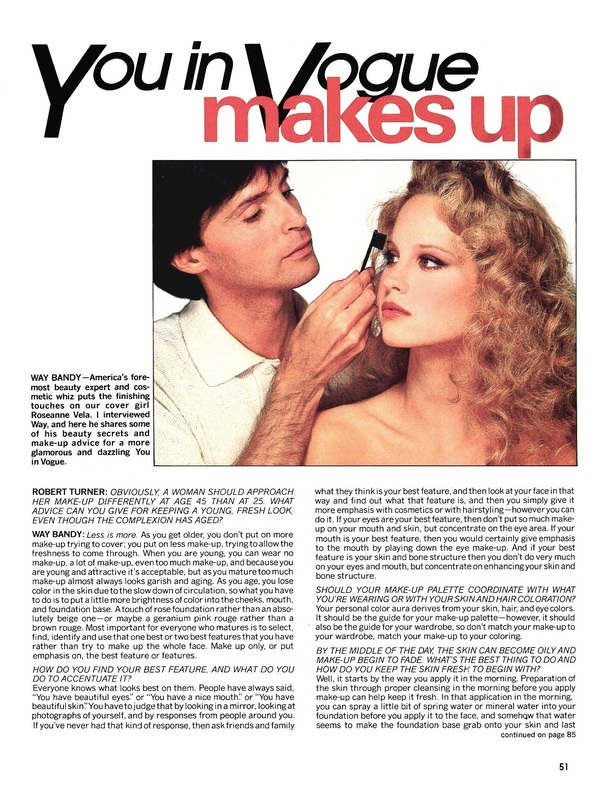 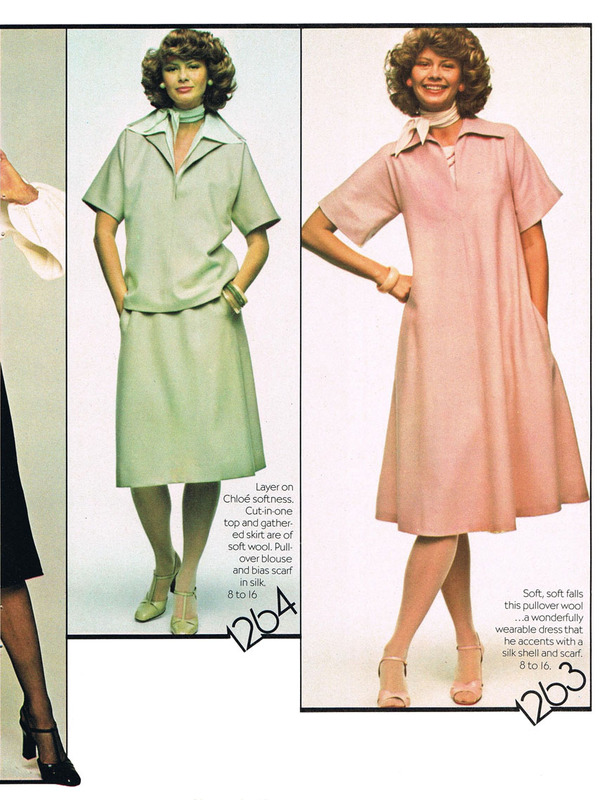 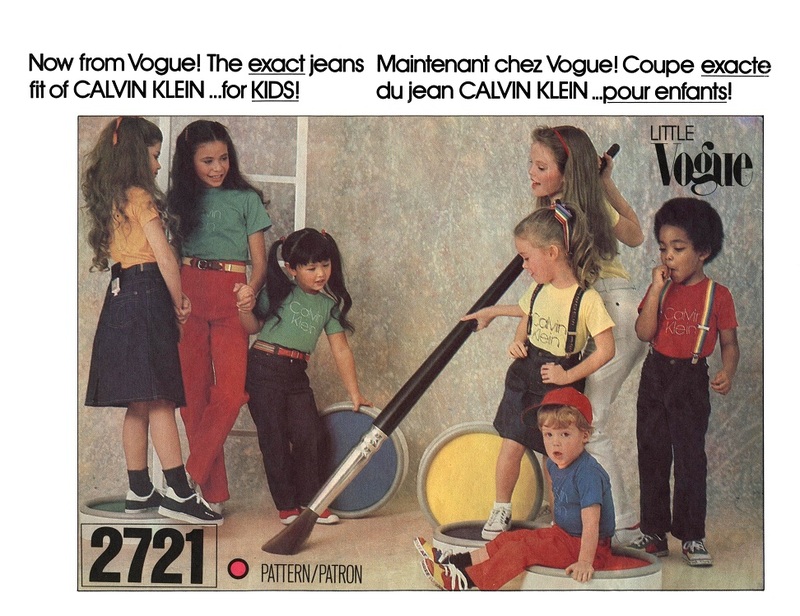 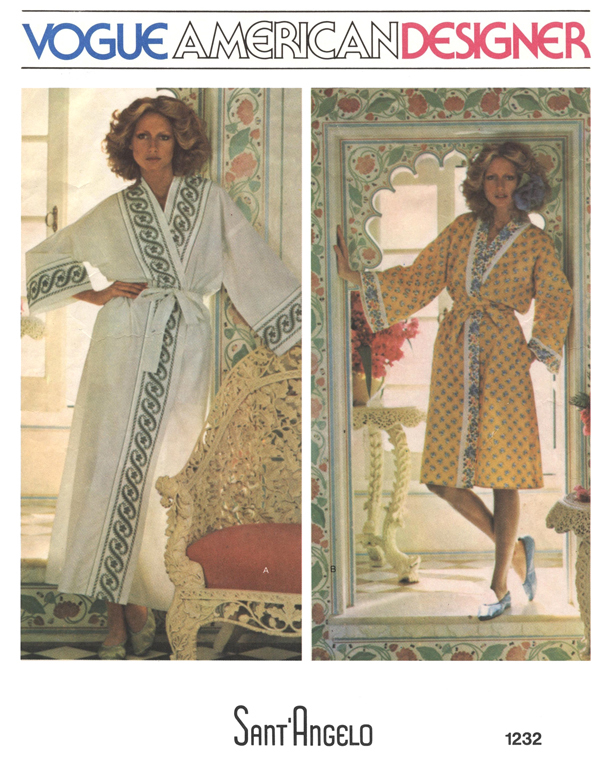 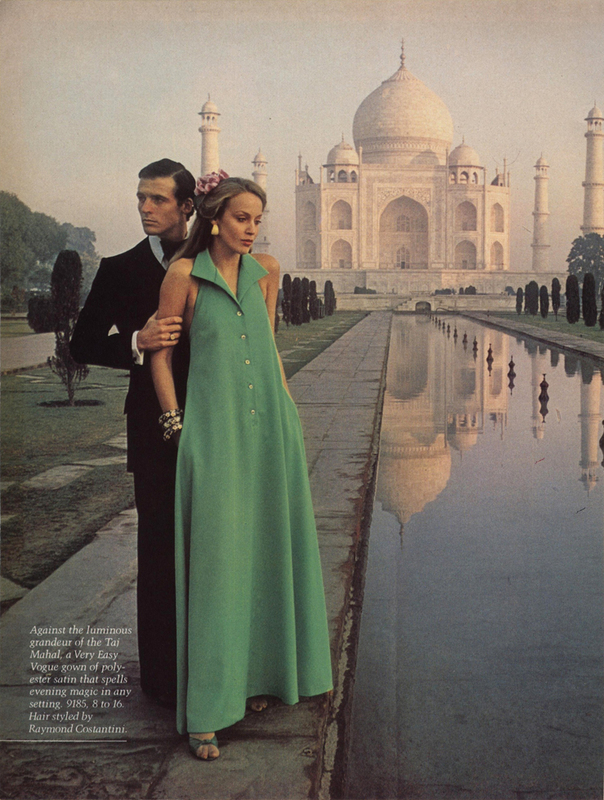 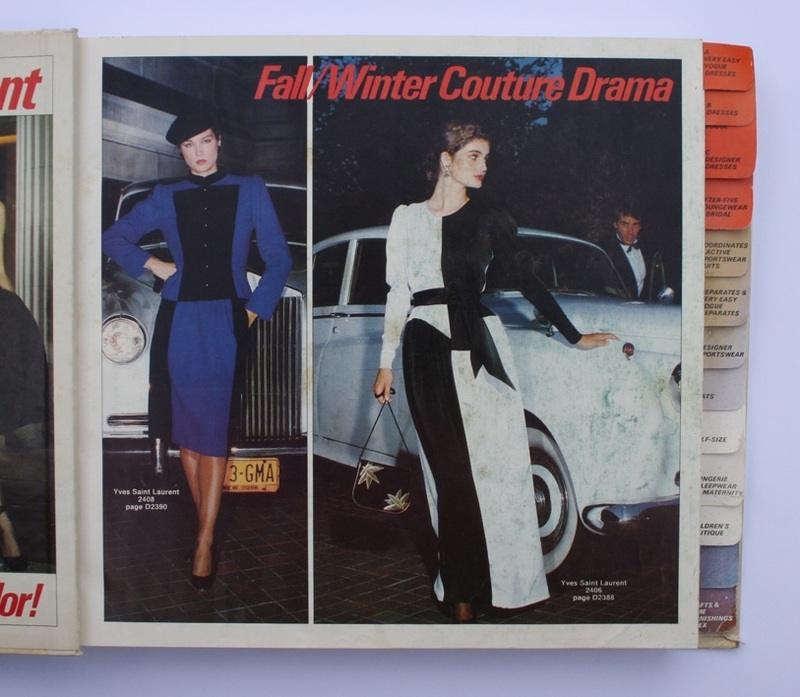 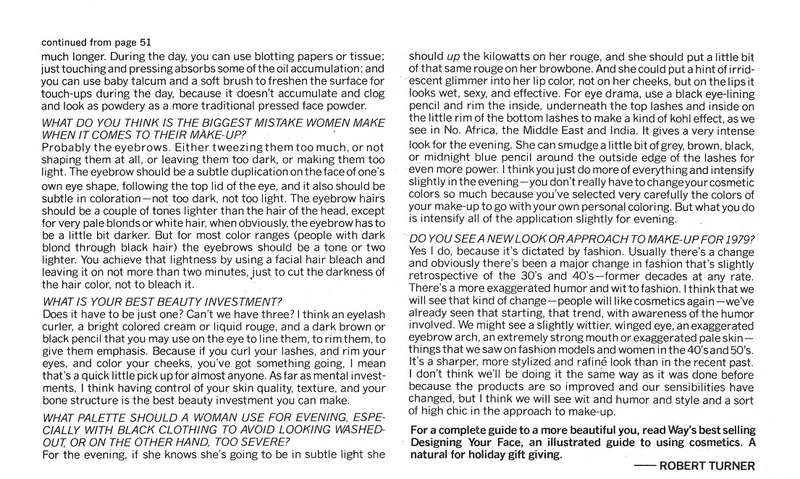 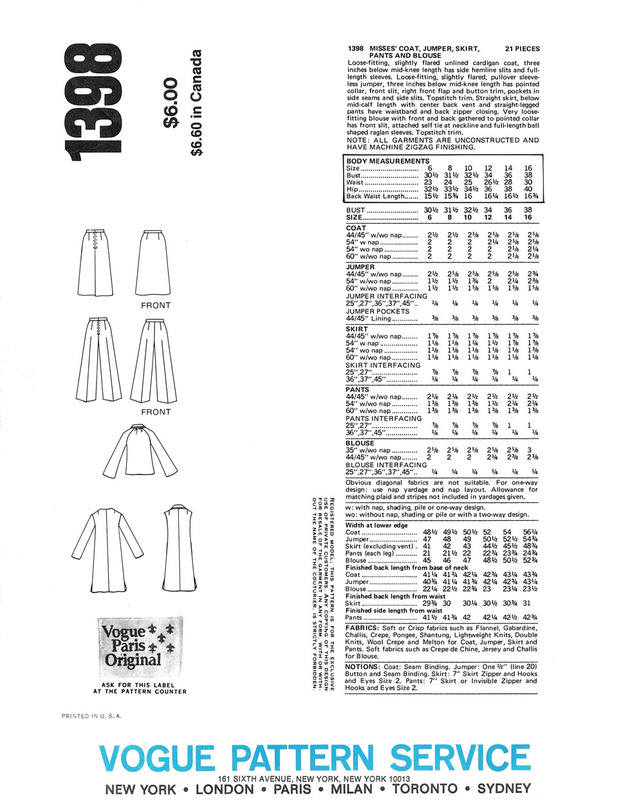 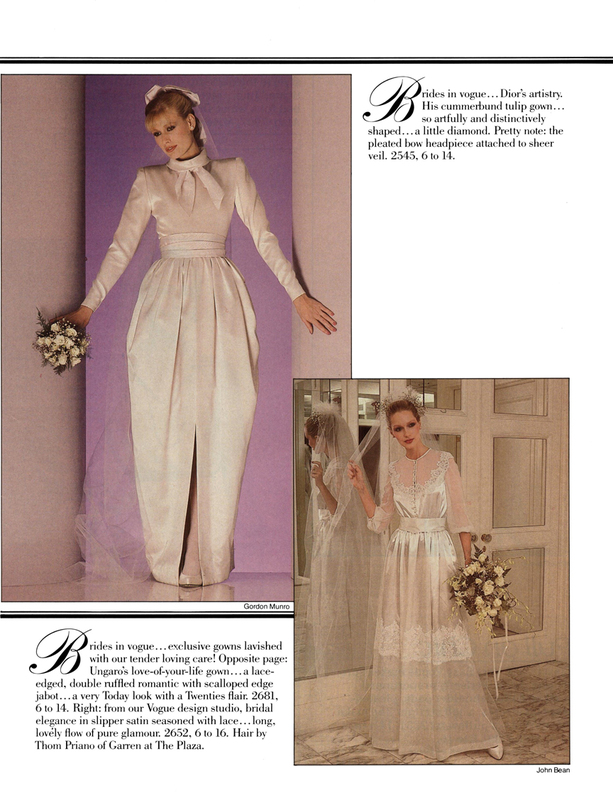 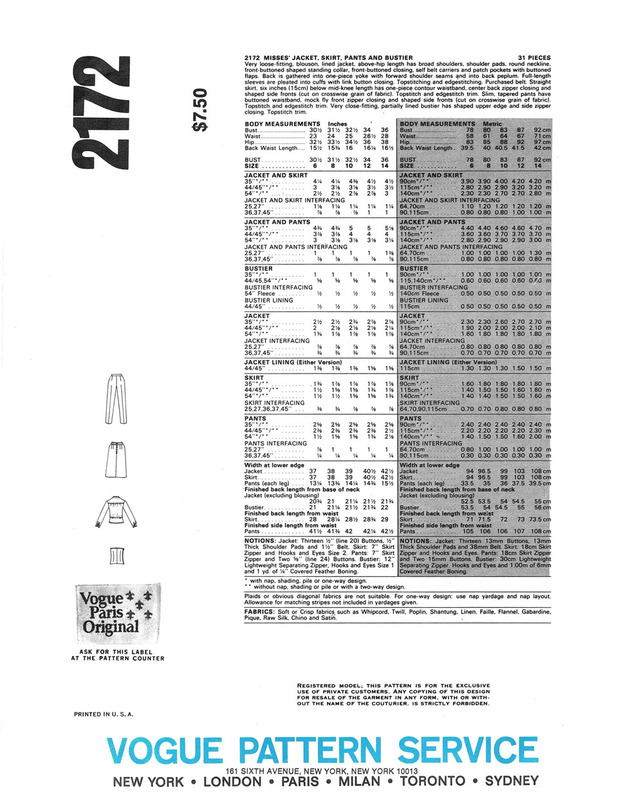 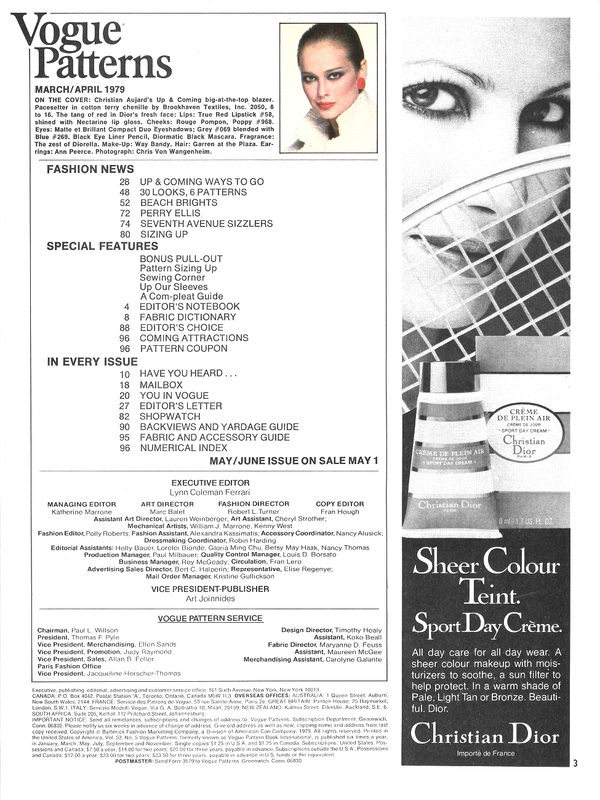 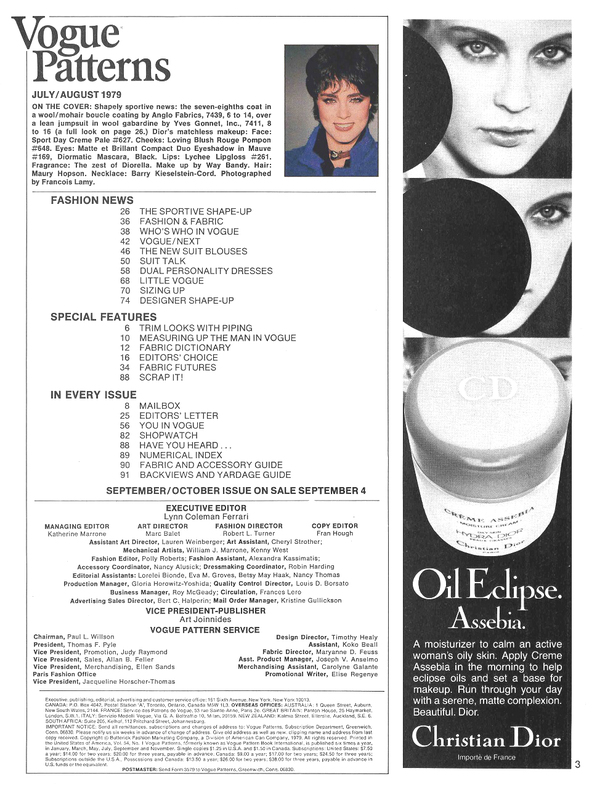 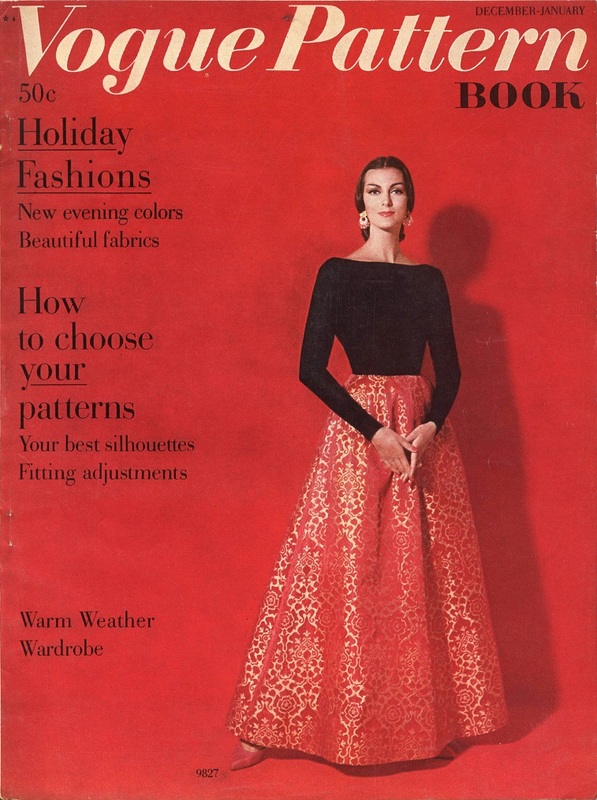 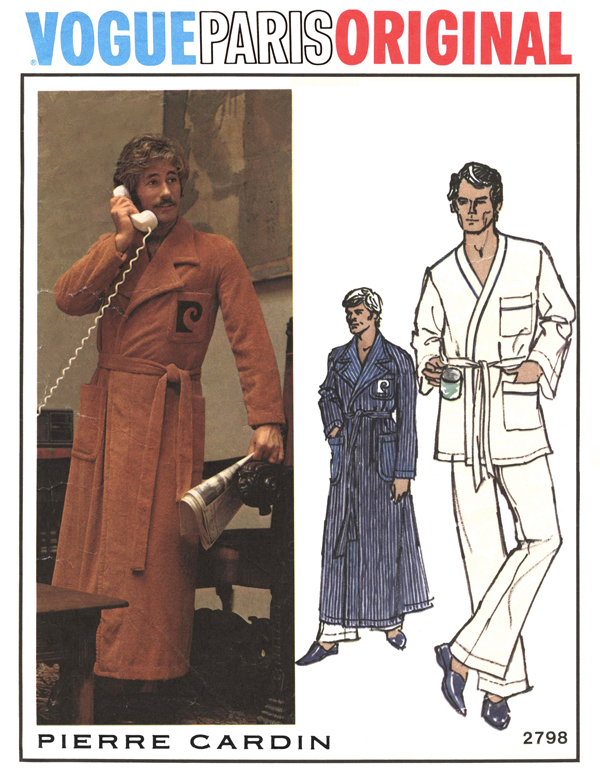 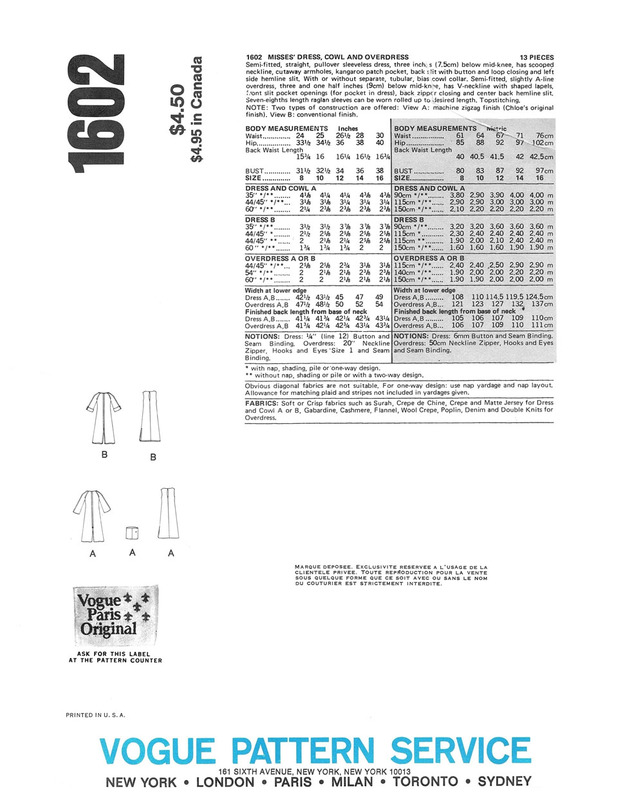 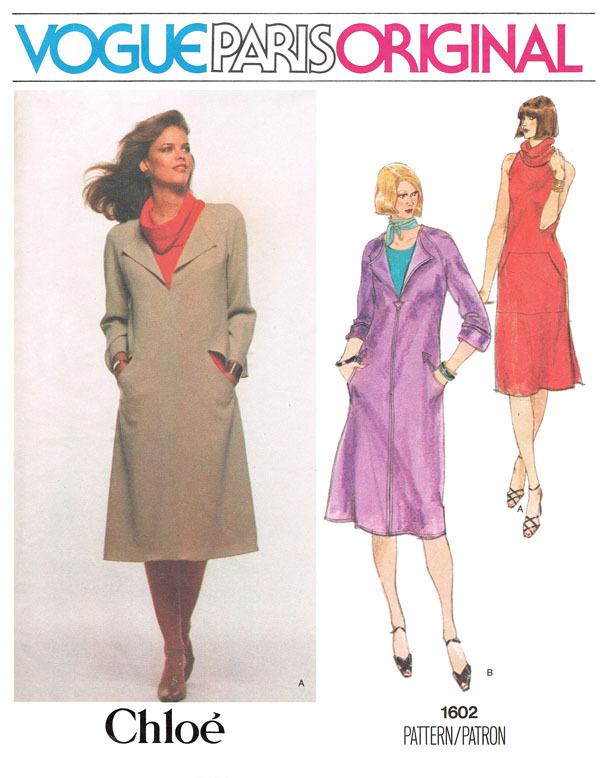 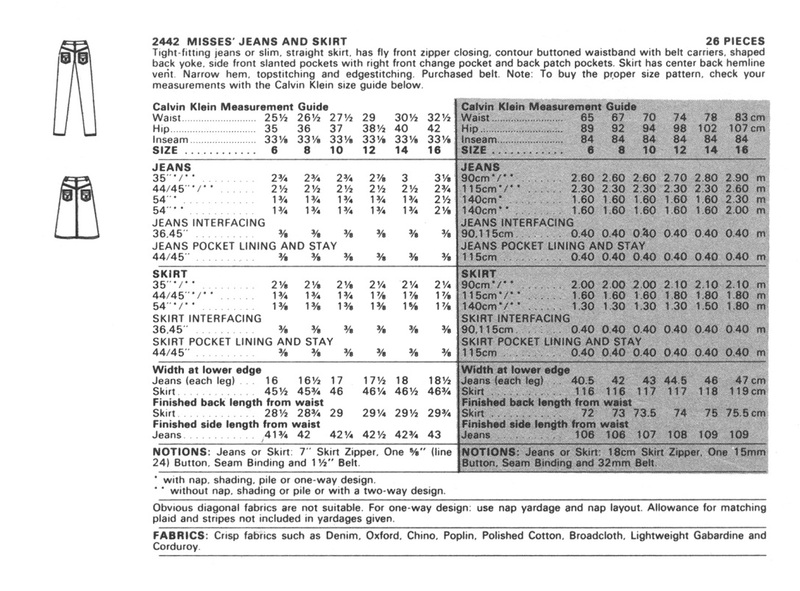 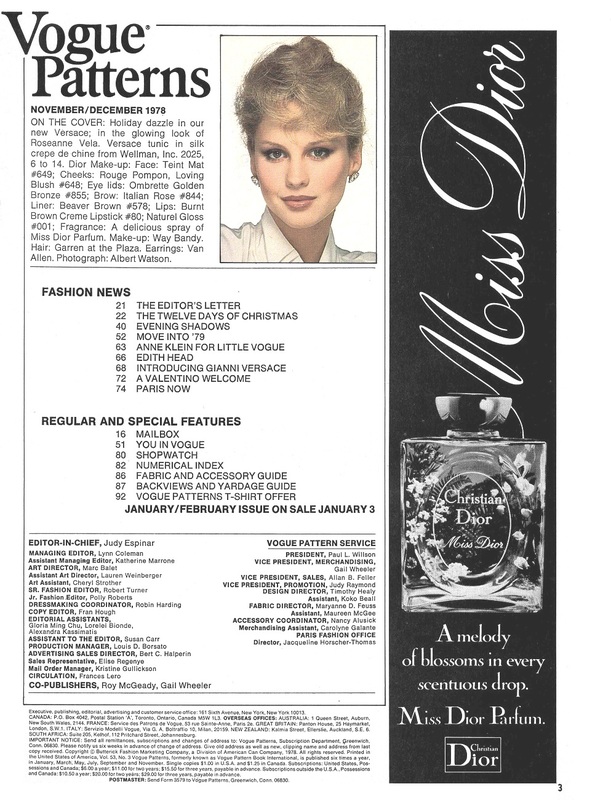 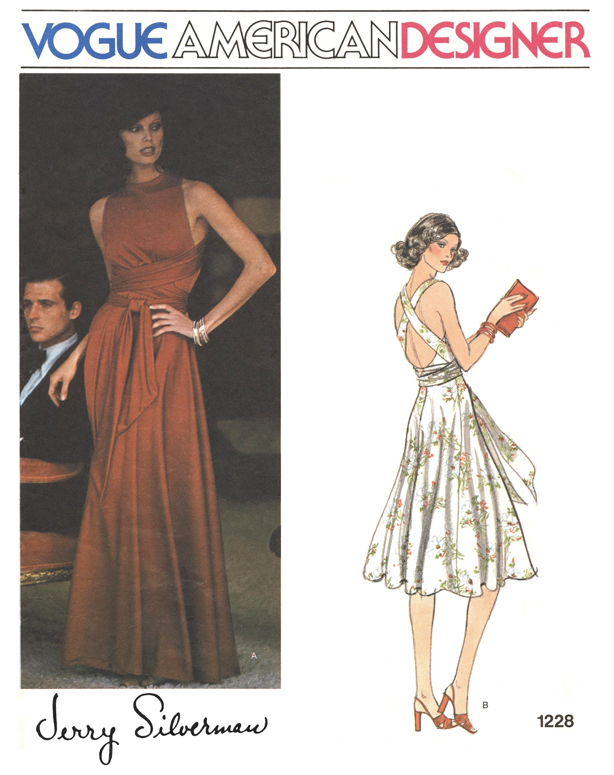 Patterns 2362 and 2403 were featured in the August/September 1970 issue of the Vogue Pattern Book, and 2439 in the December/January 1970/1971 issue. 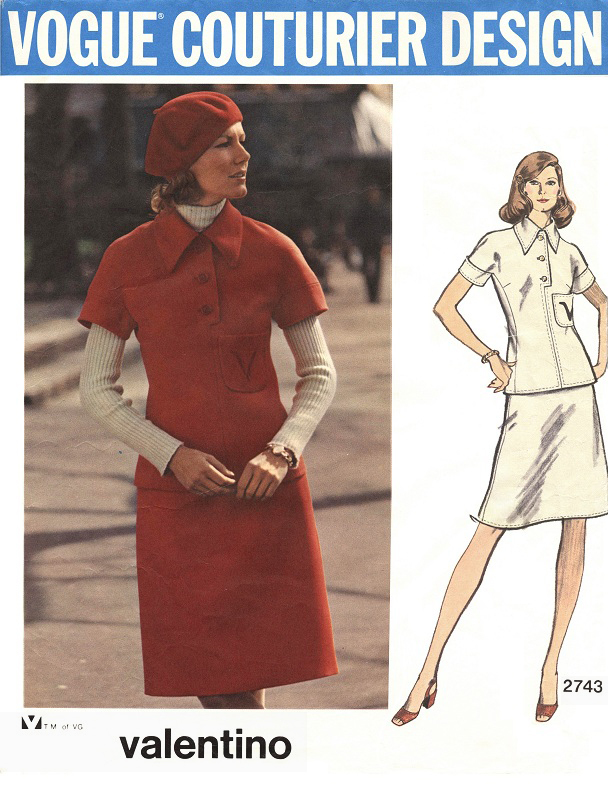 Depending on fabric choice, patterns 2362 and 2439 may have had to wait until more appropriate weather the following spring to be worn, since they were either short-sleeved or sleeveless. 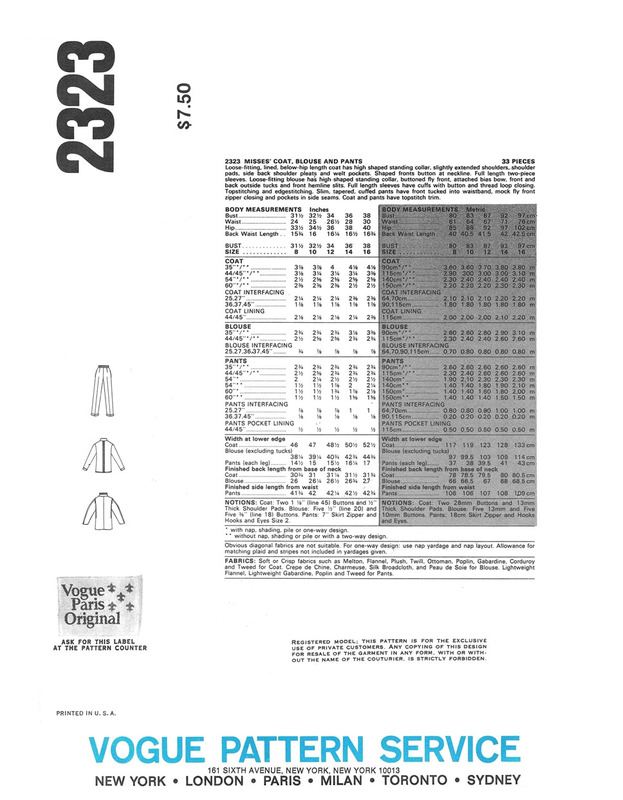 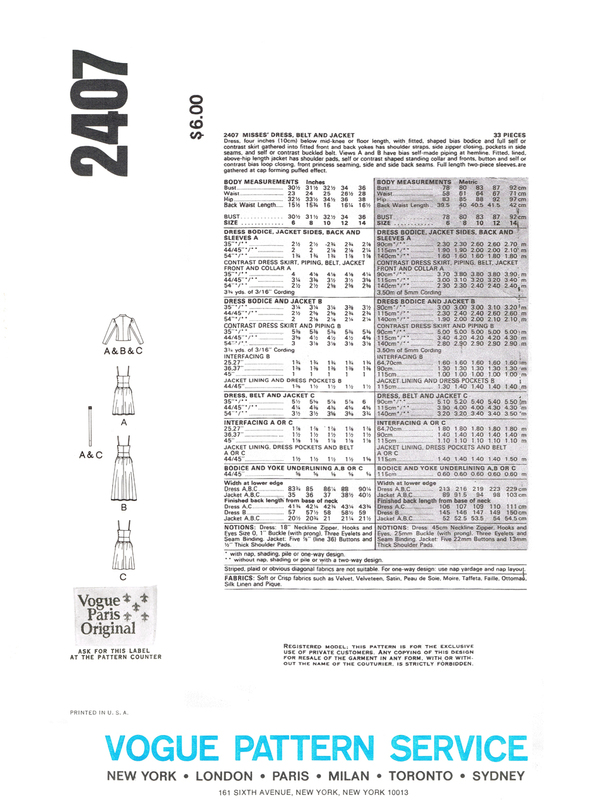 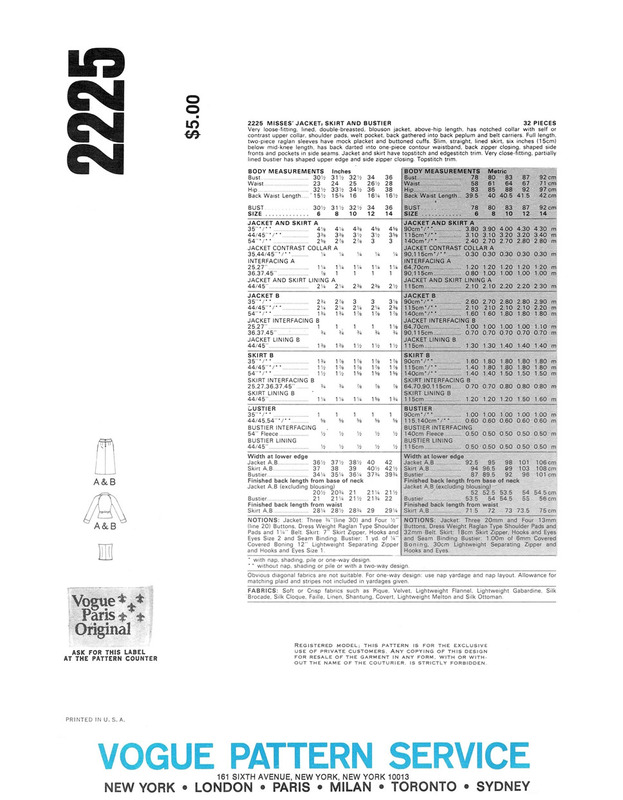 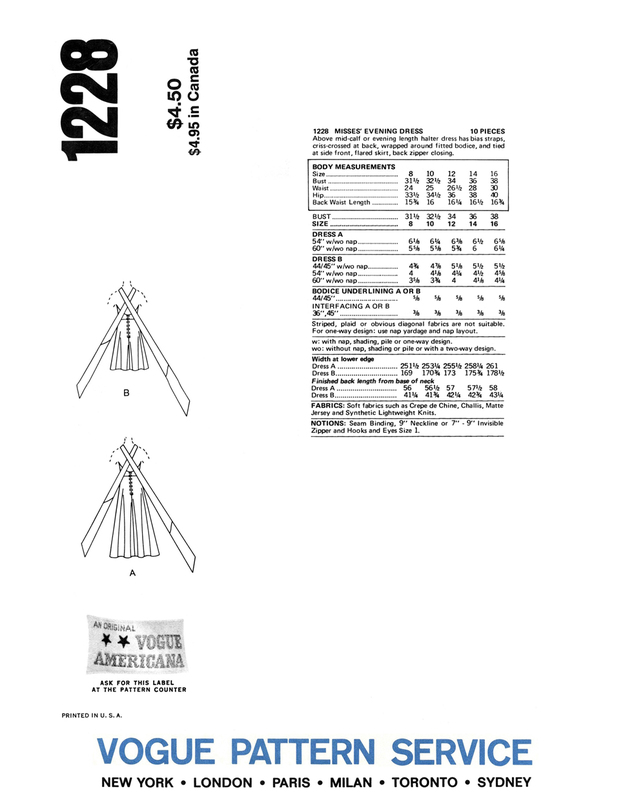 Above: Back views and information from the back side of the envelopes for 2362, 2439 and 2381. 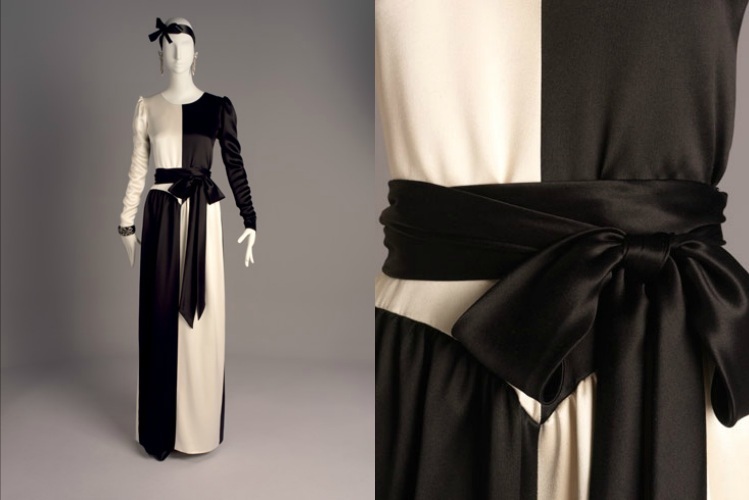 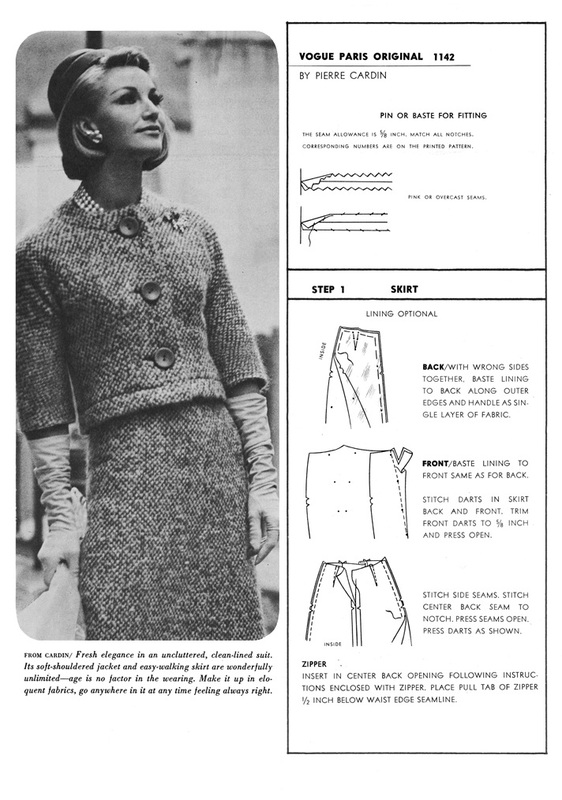 The pintucking at the waist of 2362 is such an interesting detail and fitting technique, and can be seen in two other garment variations below. 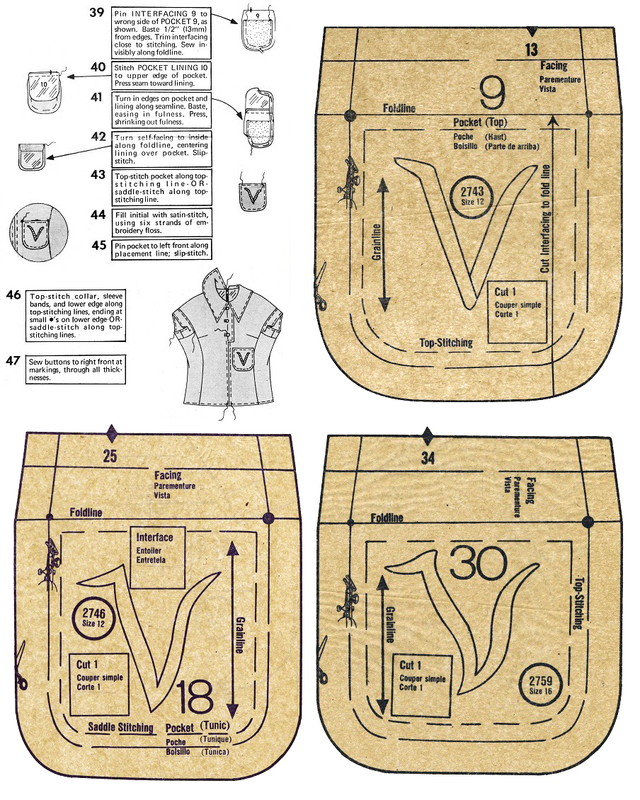 Incorporated with and hidden behind the pintucks of 2362 are triple contour darts on each side of the body, front and back, to provide the extra fitting required through the waist. 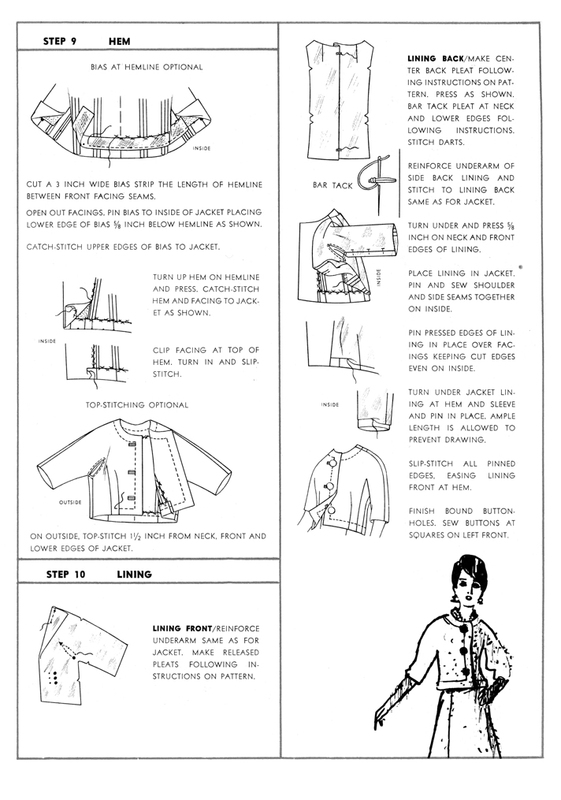 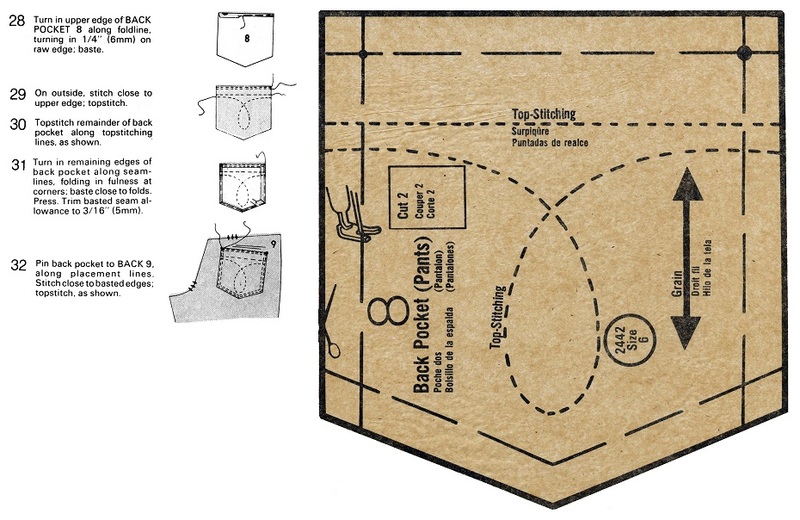 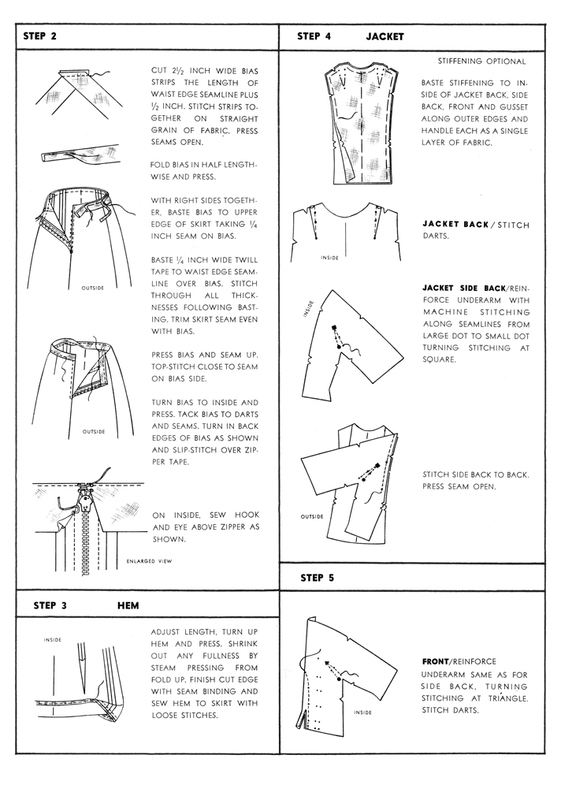 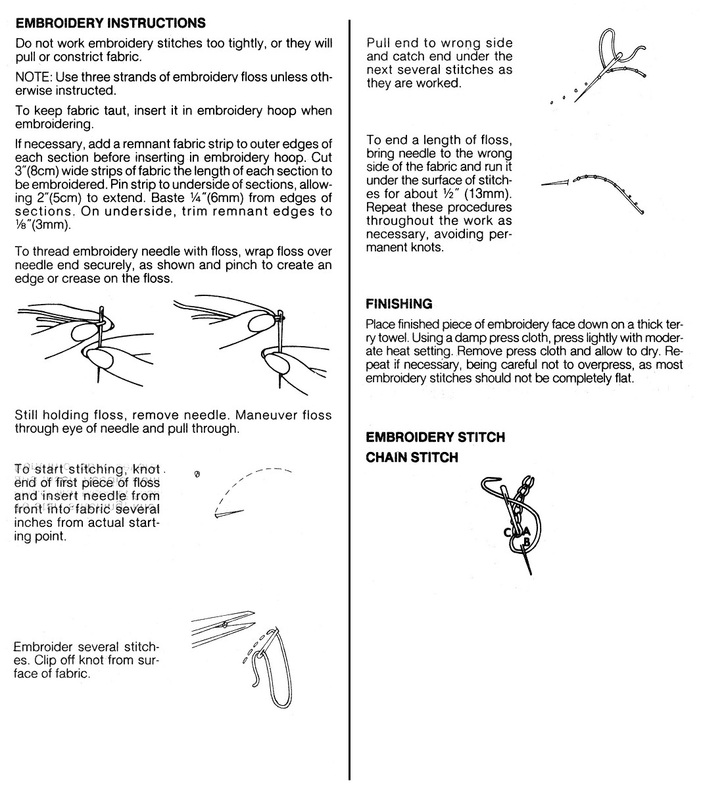 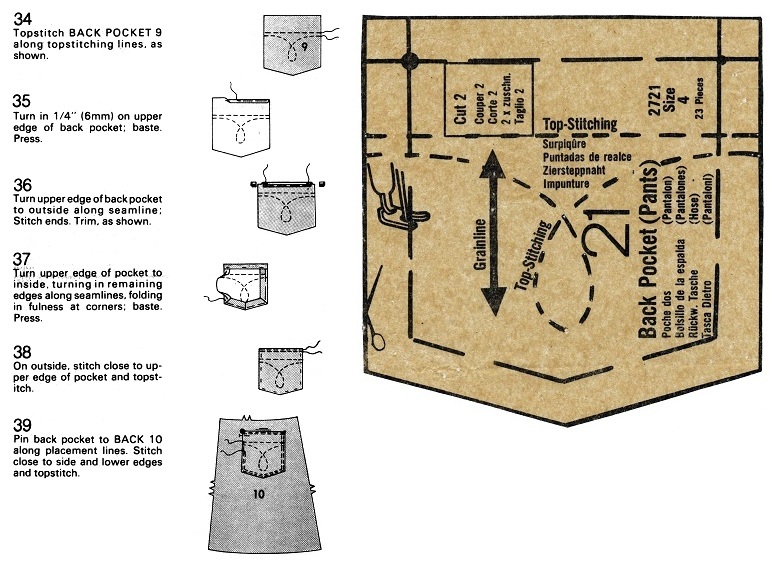 The back instructions are not shown but the method is the same as the front. 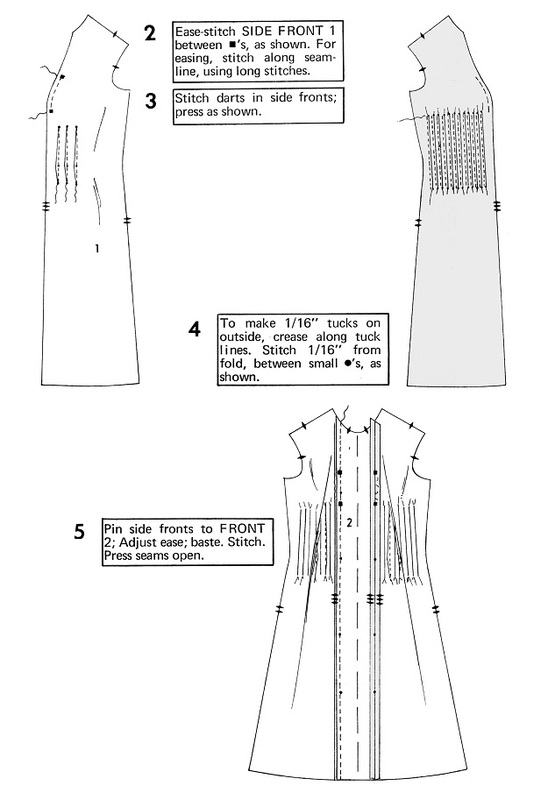 The side-front panels are eased into the centre-front panel at bust level to provide extra fitting for the bust. 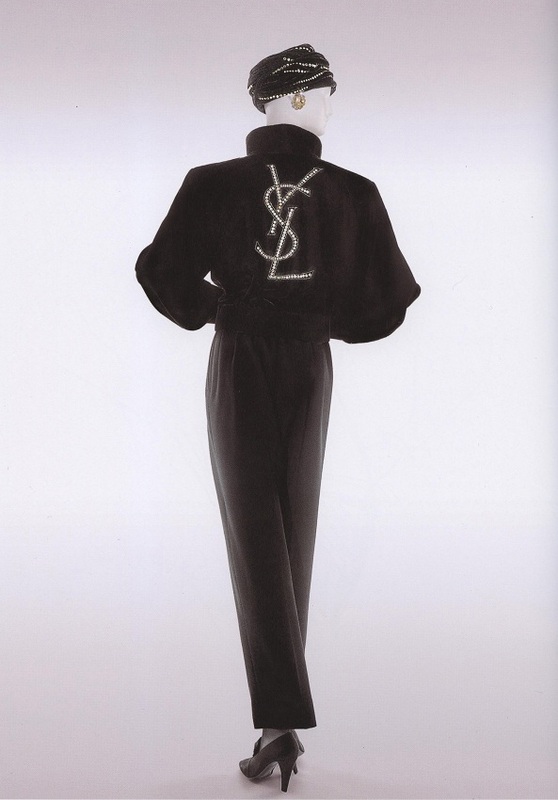 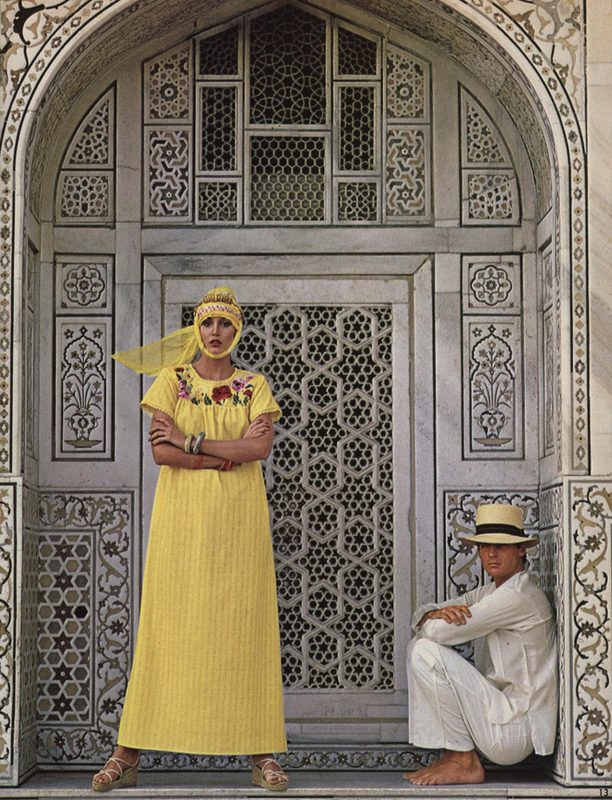 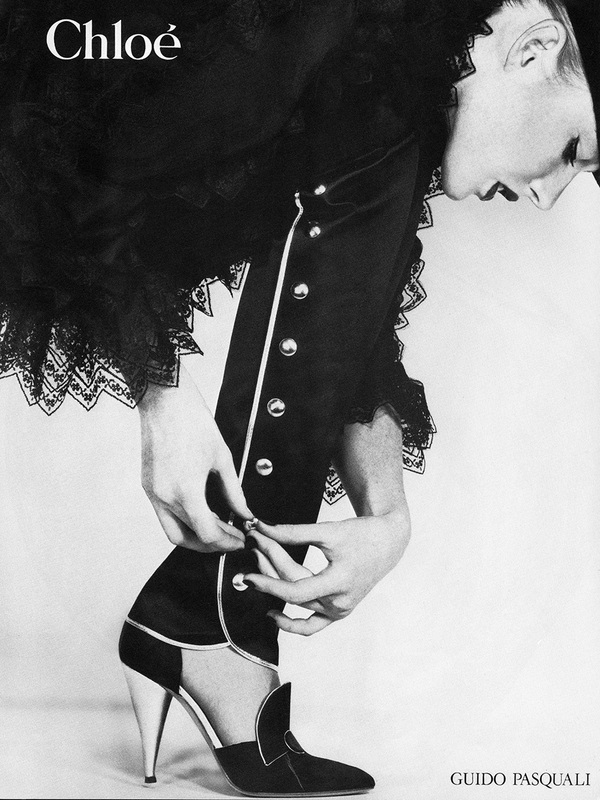 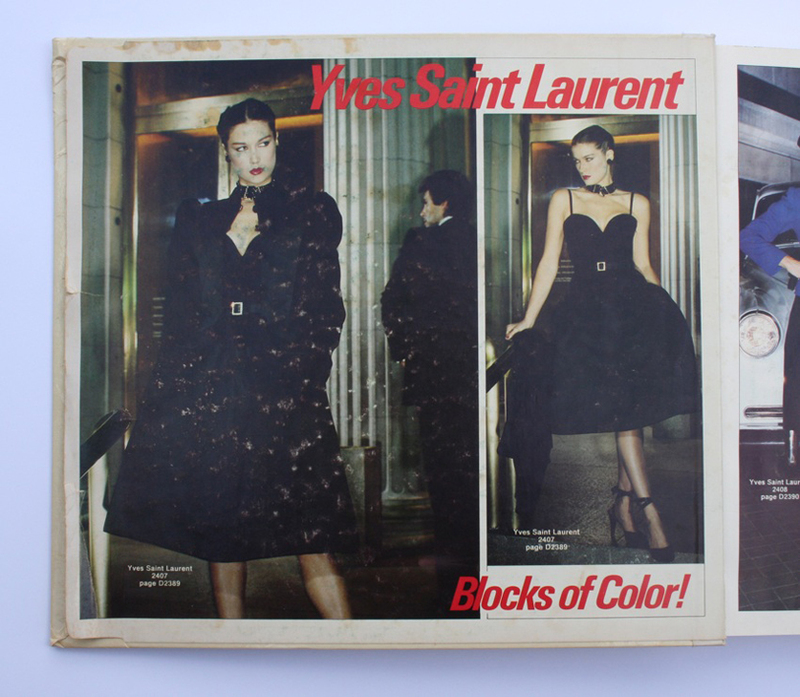 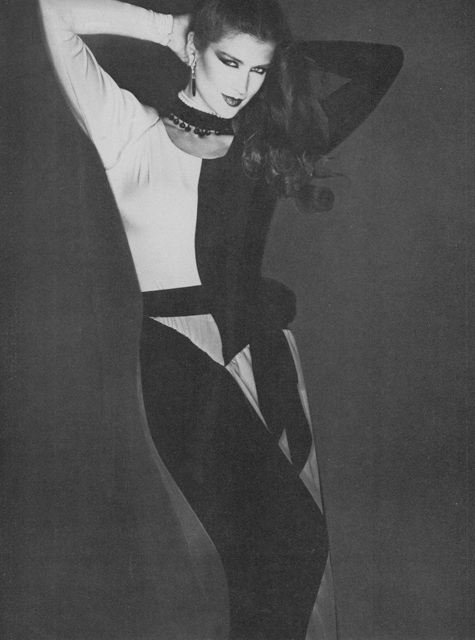 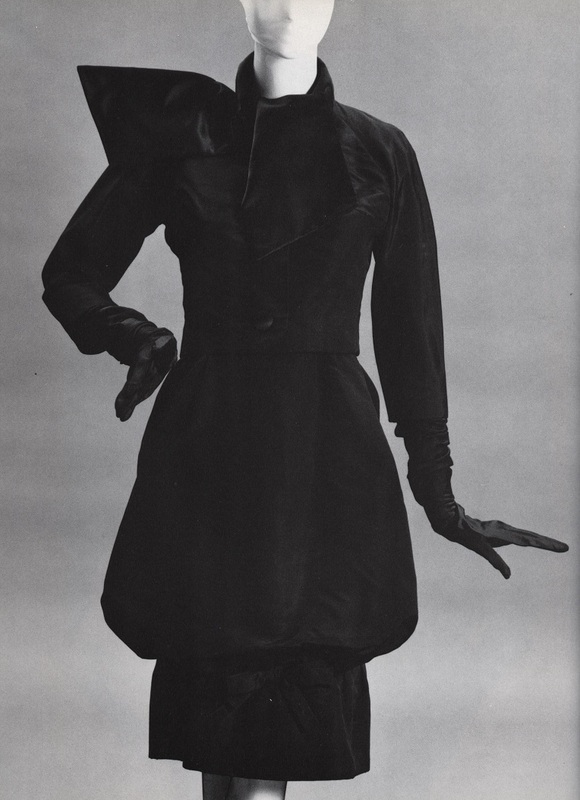 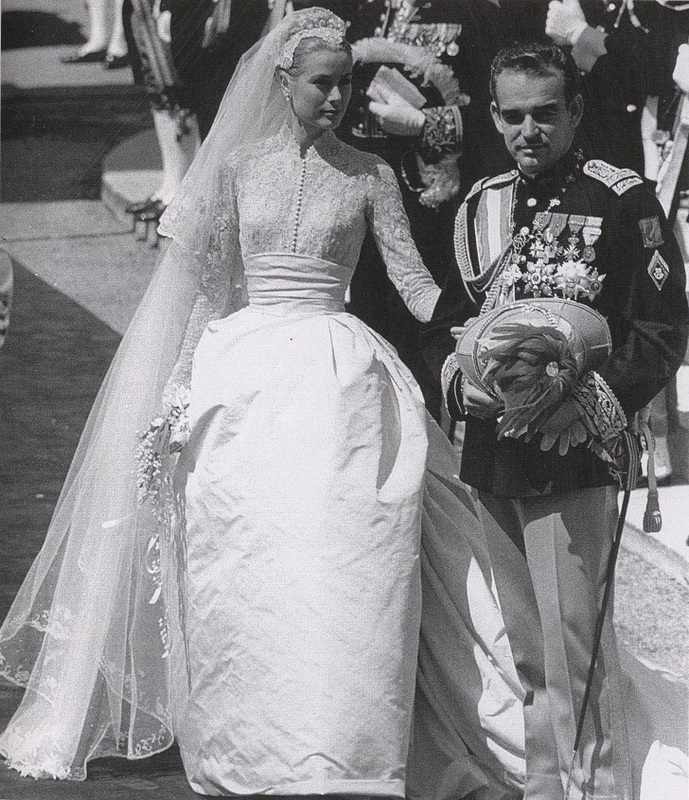 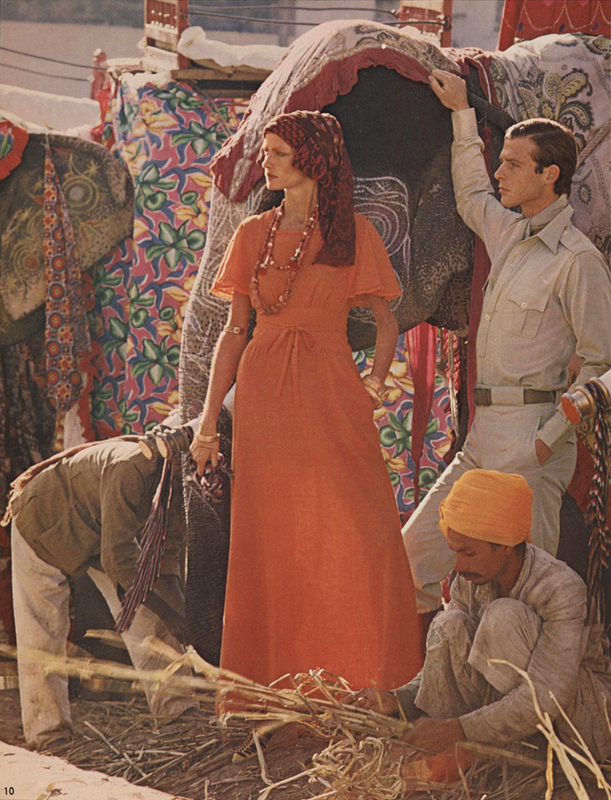 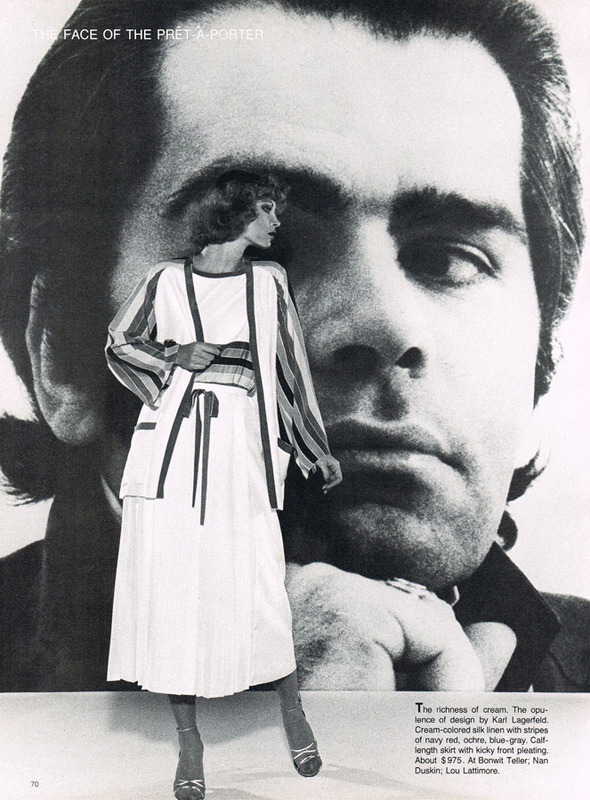 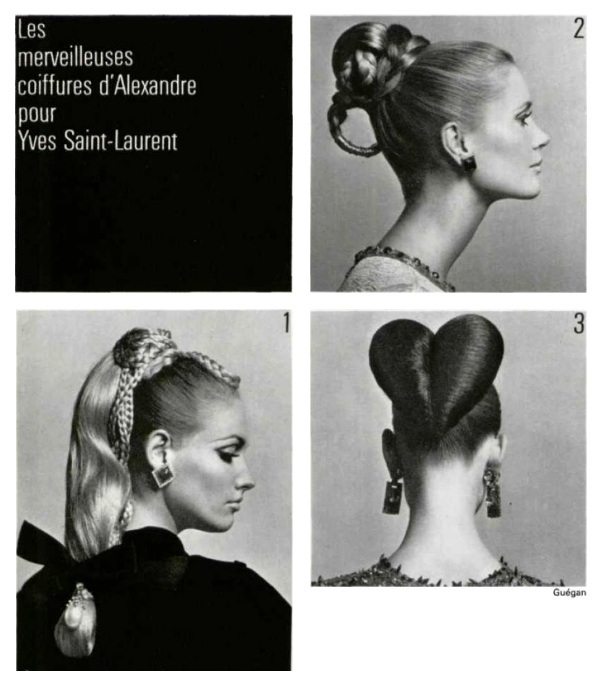 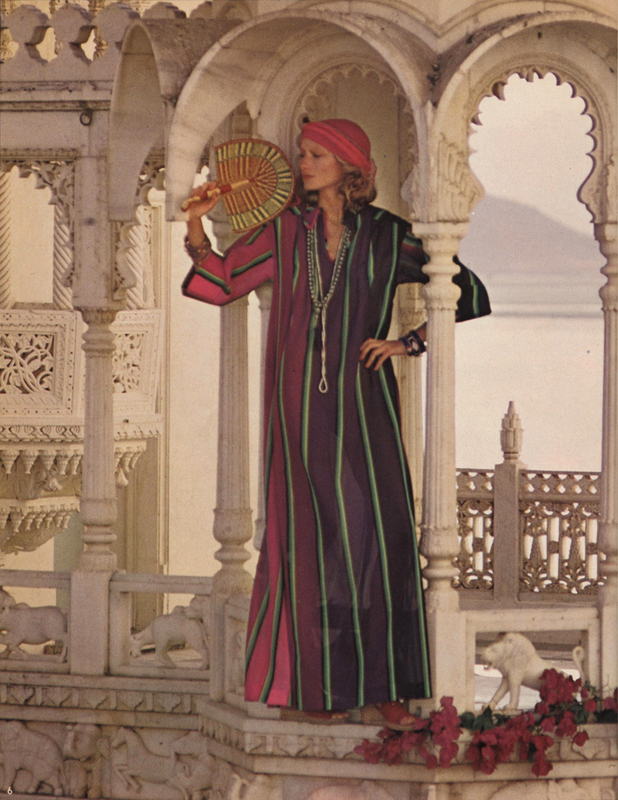 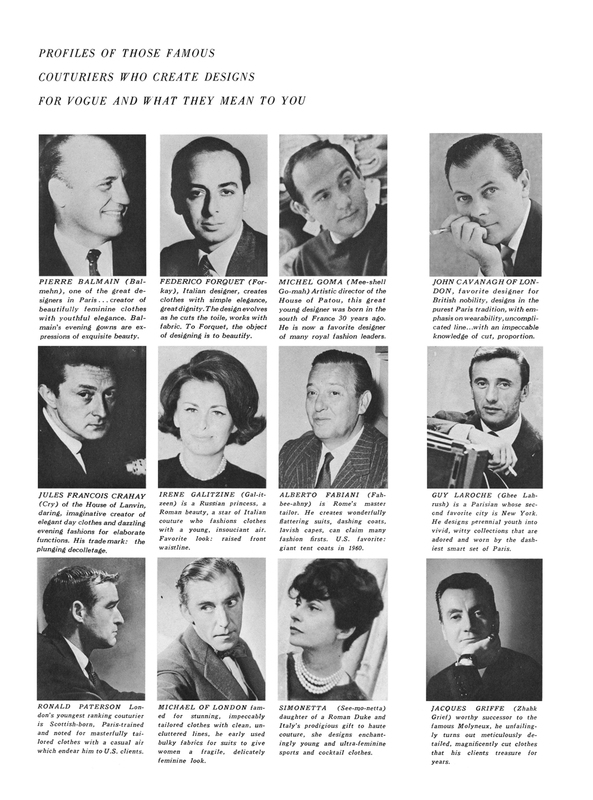 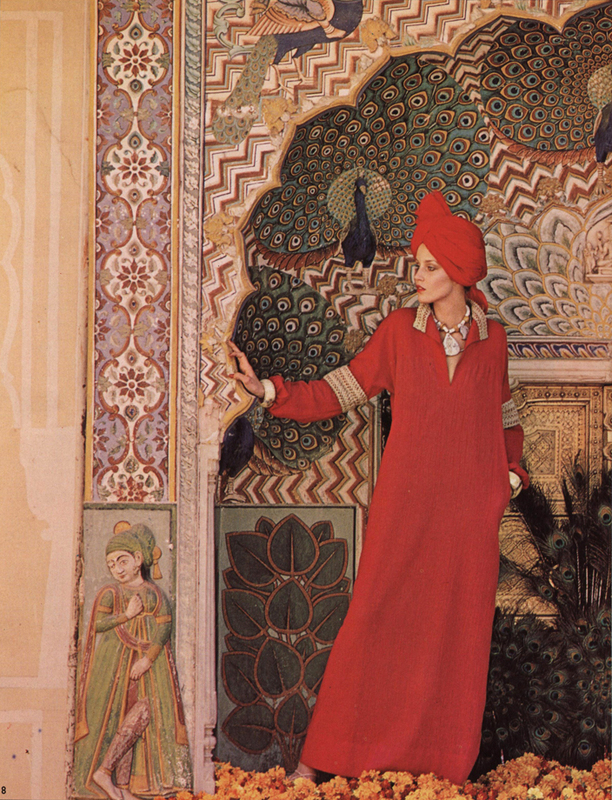 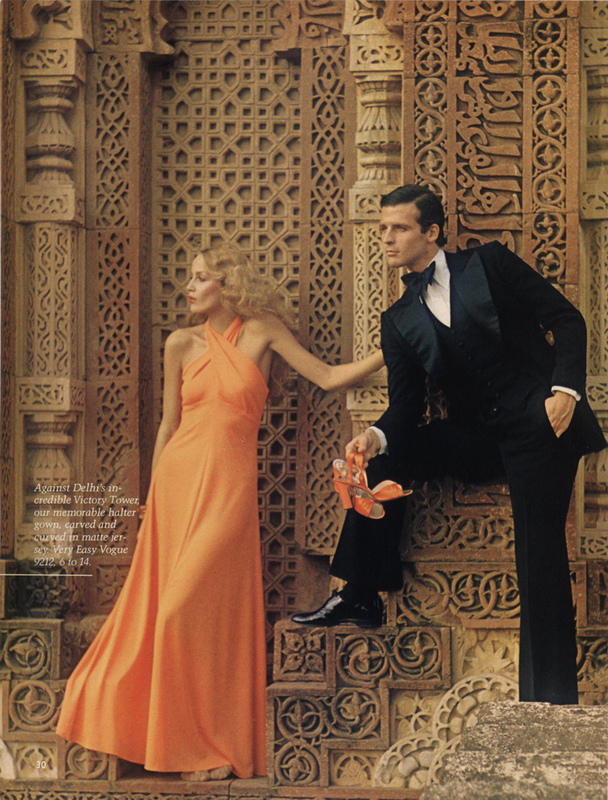 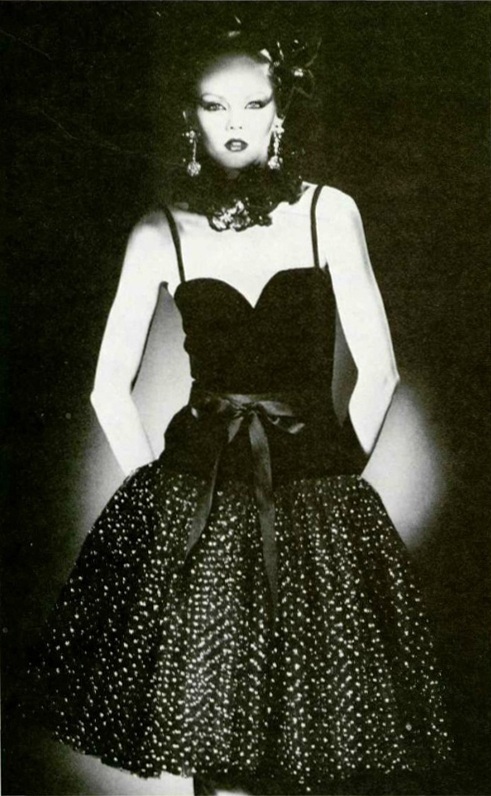 Below you will find some images of the Valentino Alta Moda Spring/Summer 1970 collection from the book ‘Valentino: Thirty years of Magic’ from my personal library of fashion books (details for the book can be found at the end of the post). 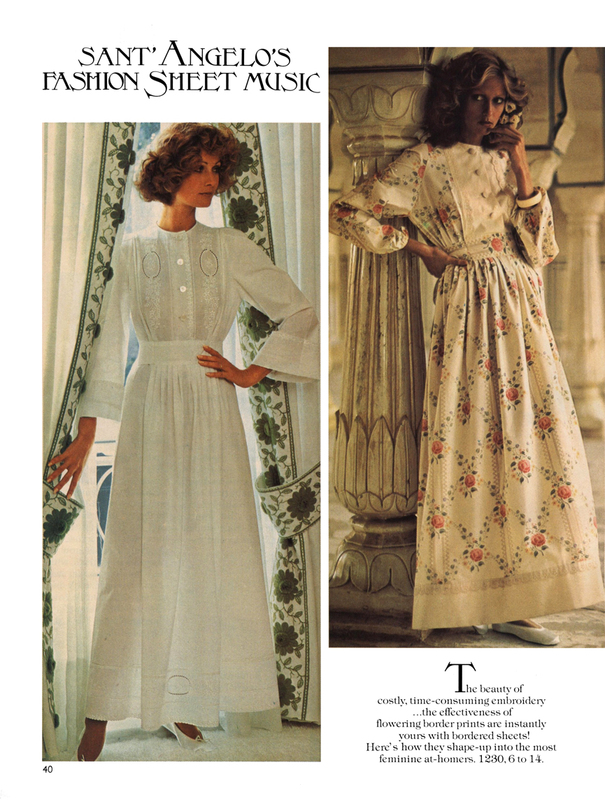 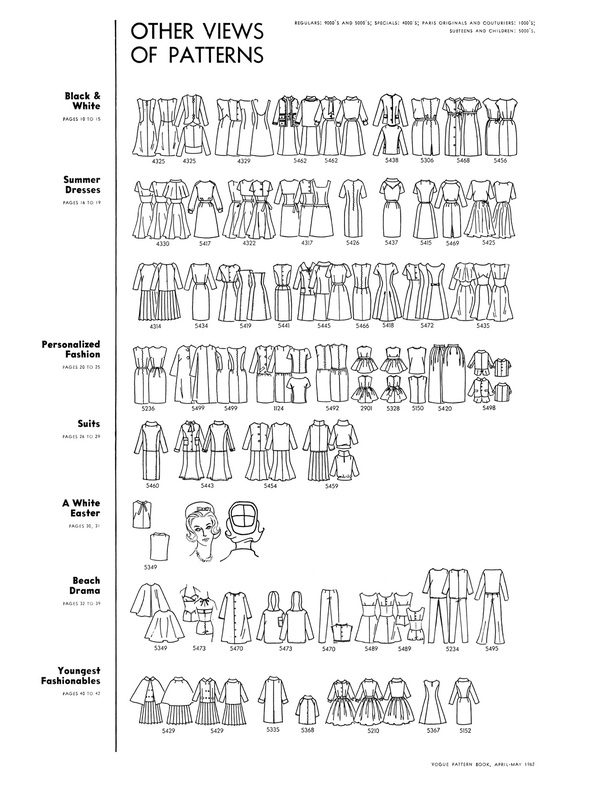 I get such a thrill from recognising the designs of vintage patterns in the history books! 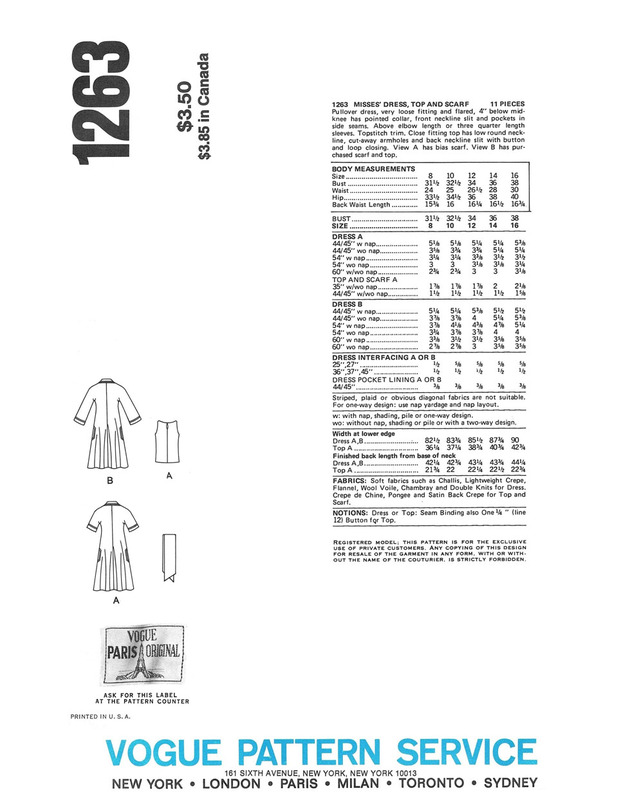 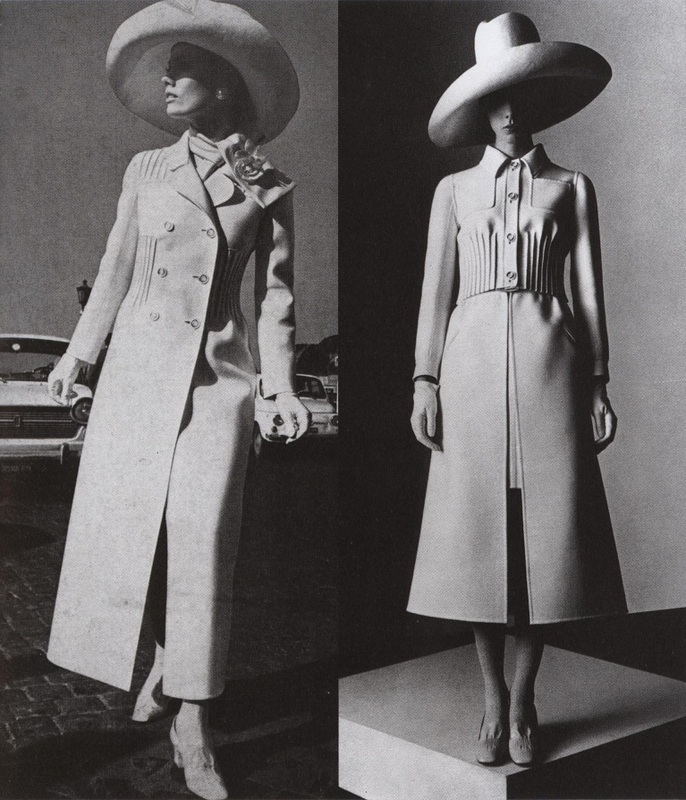 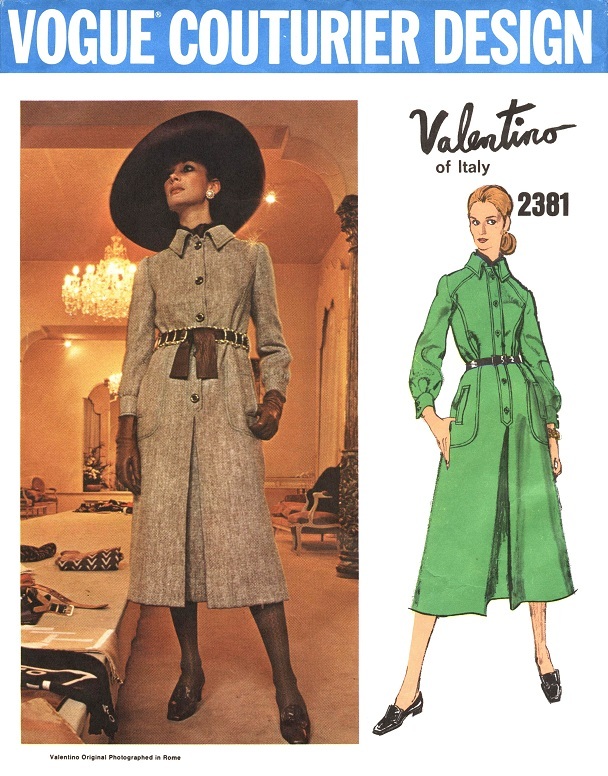 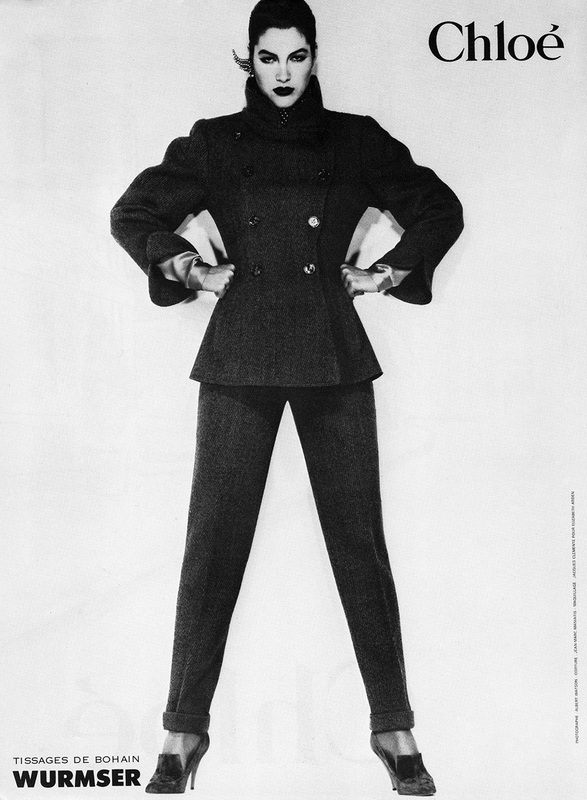 The pintuck detail of 2362 was also used for the coat and jacket of the above two looks from the Valentino Alta Moda Spring-Summer 1970 Collection. 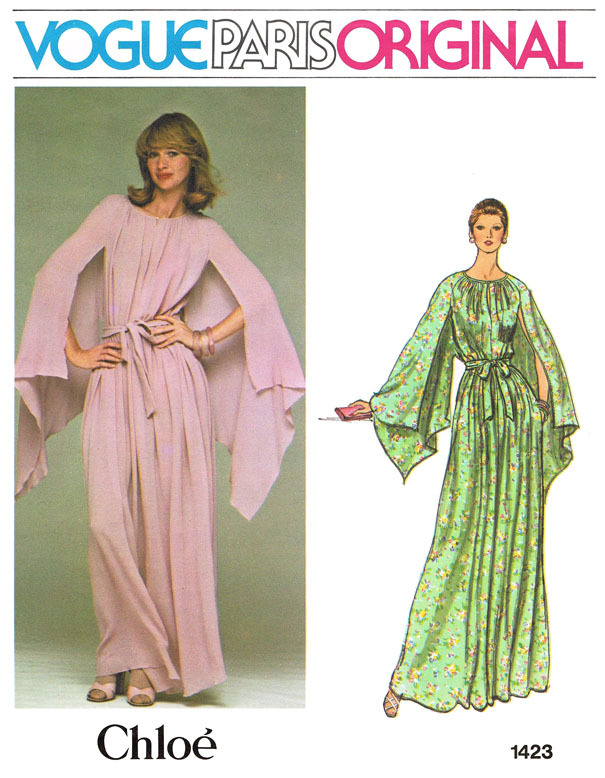 Two more looks from the Valentino Alta Moda Spring-Summer 1970 Collection. 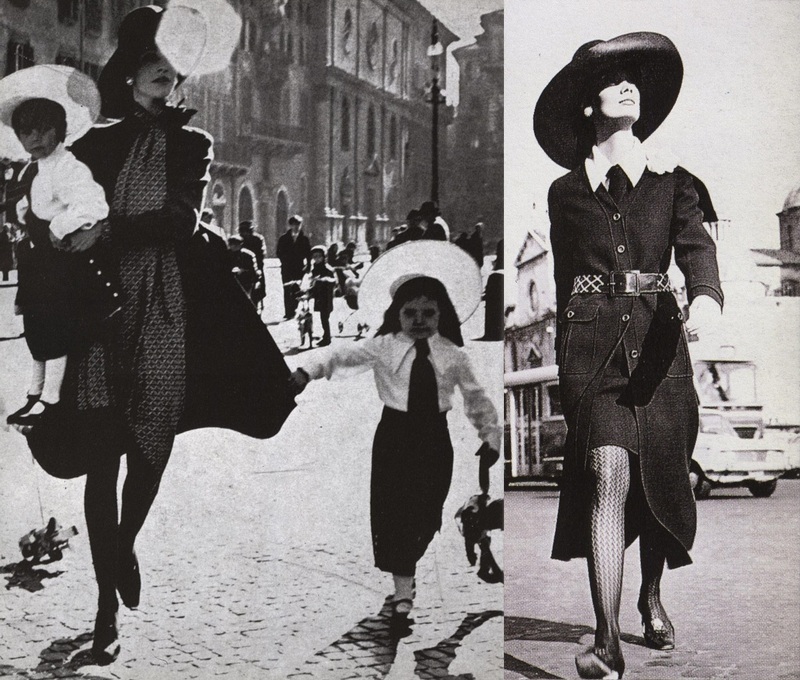 On the left, the model portrays a very fashionable mother! 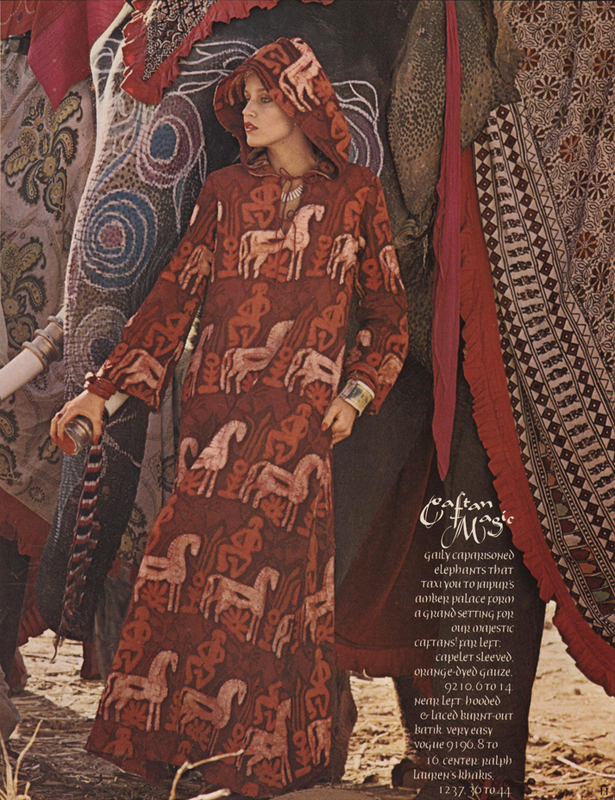 Two looks featuring animal prints from the Alta Moda Spring-Summer 1970 Collection. 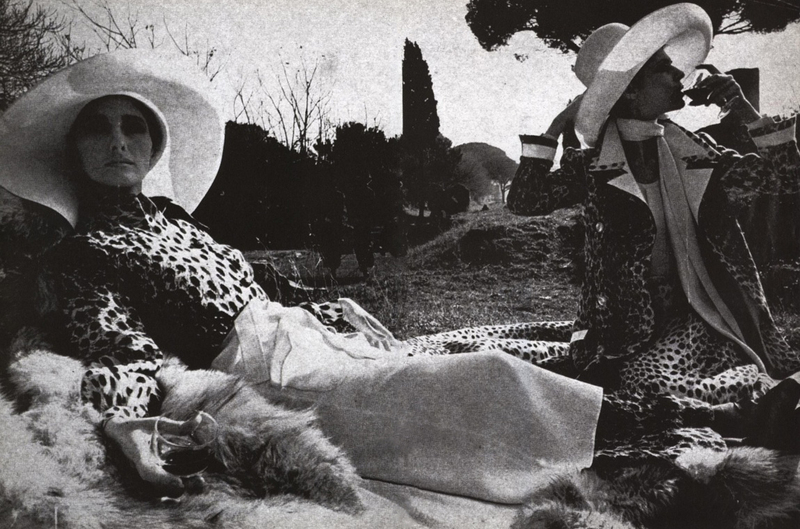 Very few could afford to dare to picnic and risk grass stains and spilled wine while wearing Valentino Haute Couture! 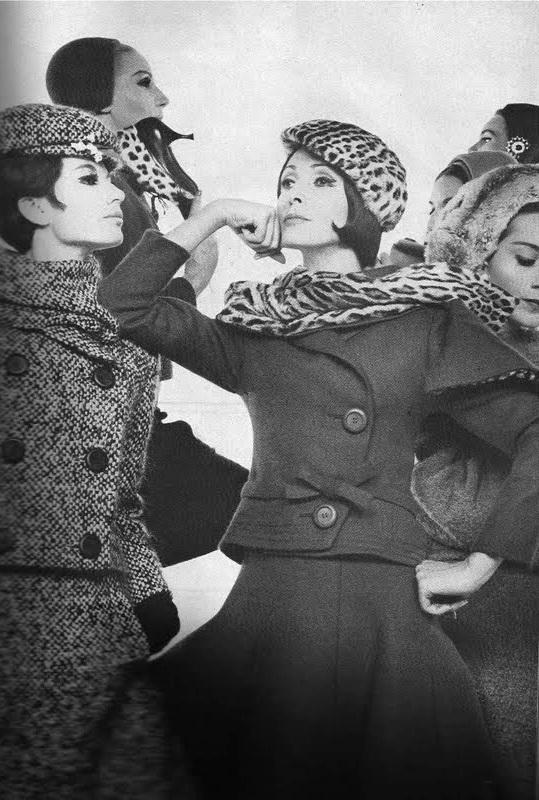 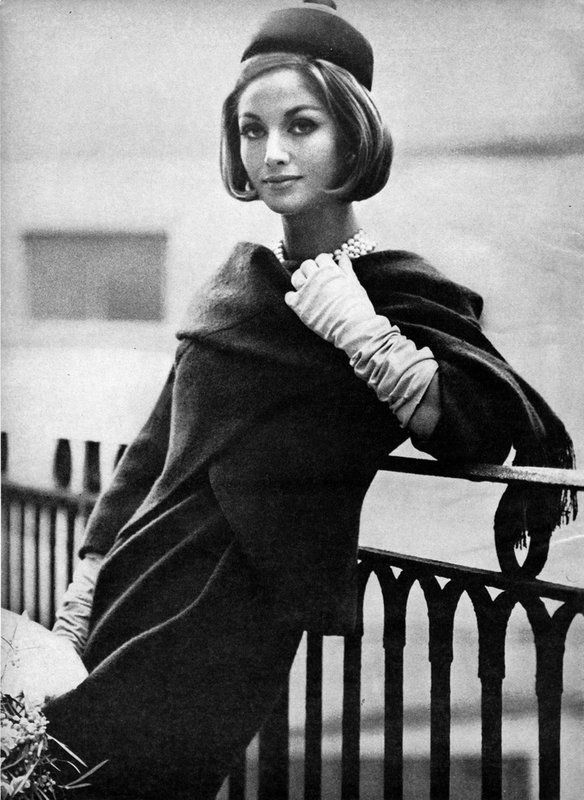 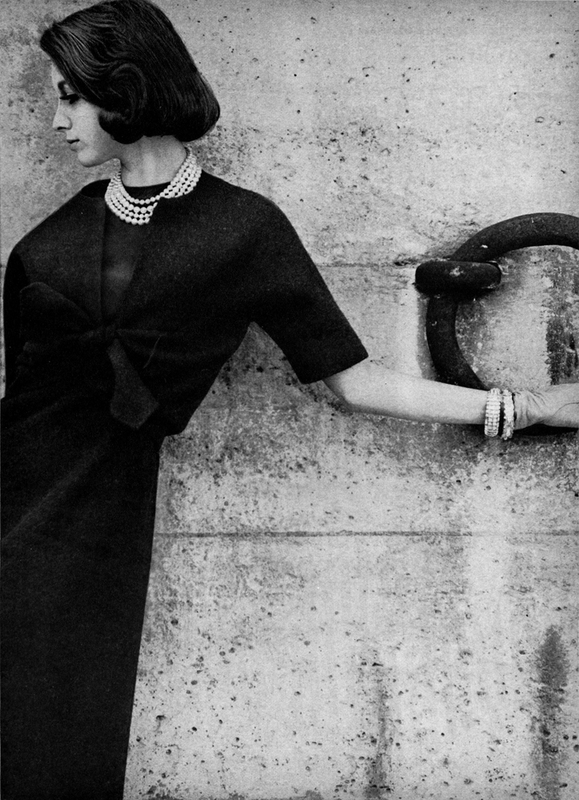 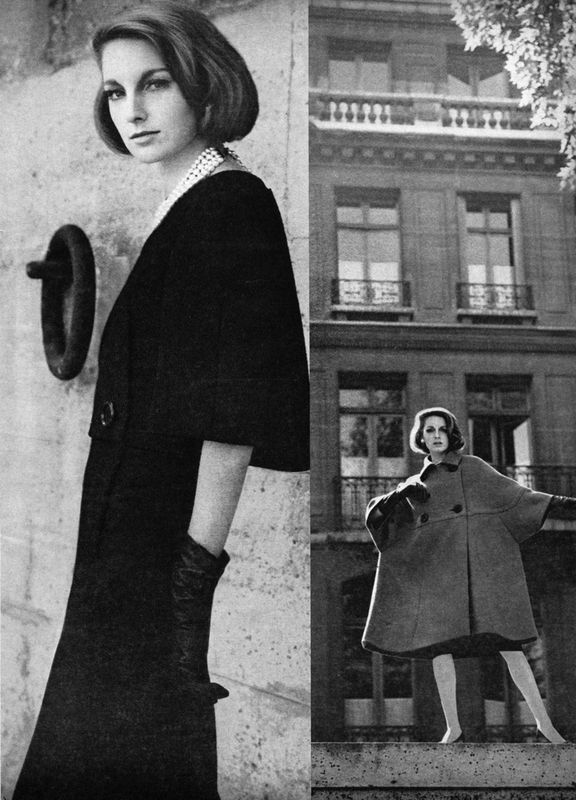 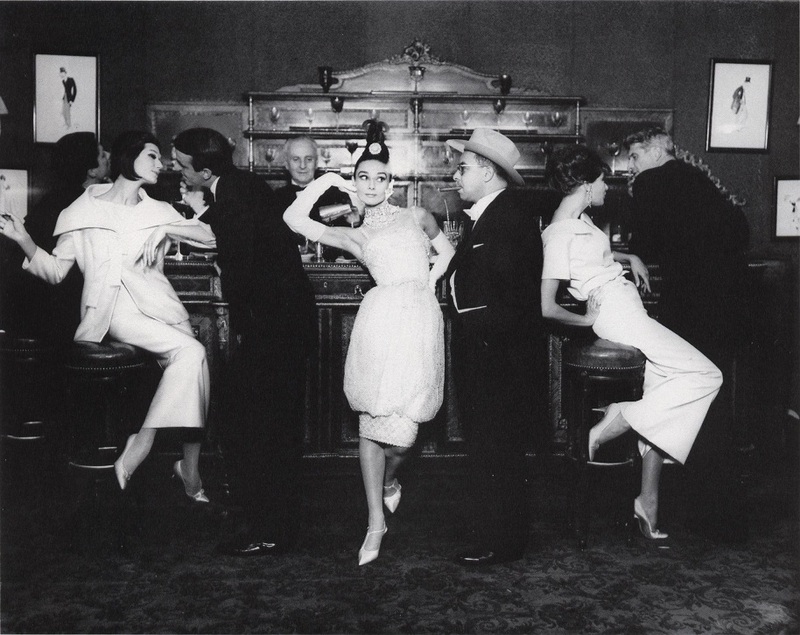 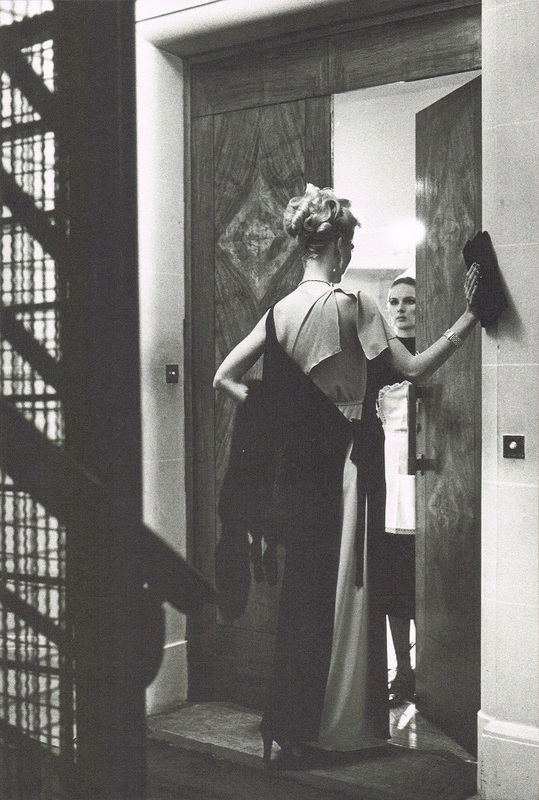 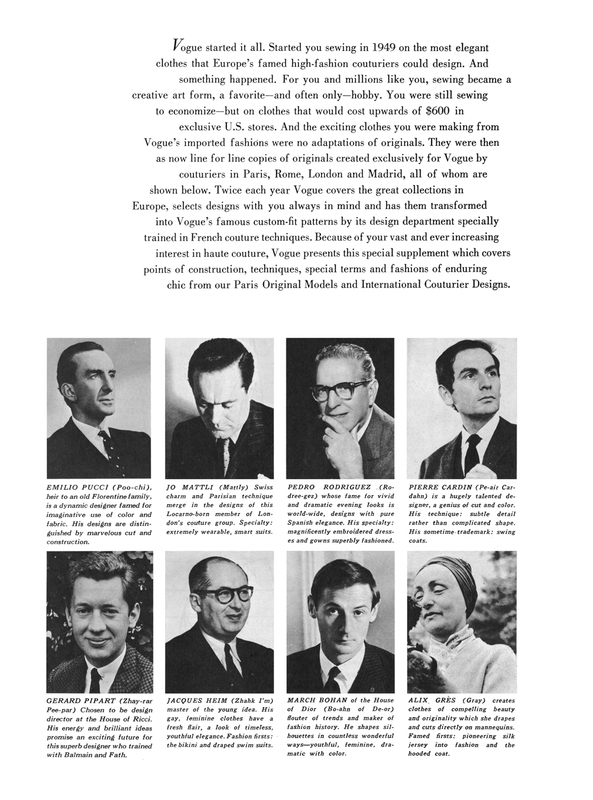 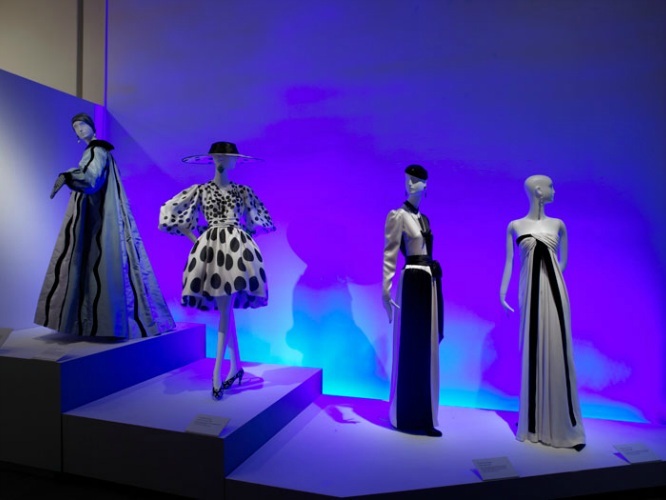 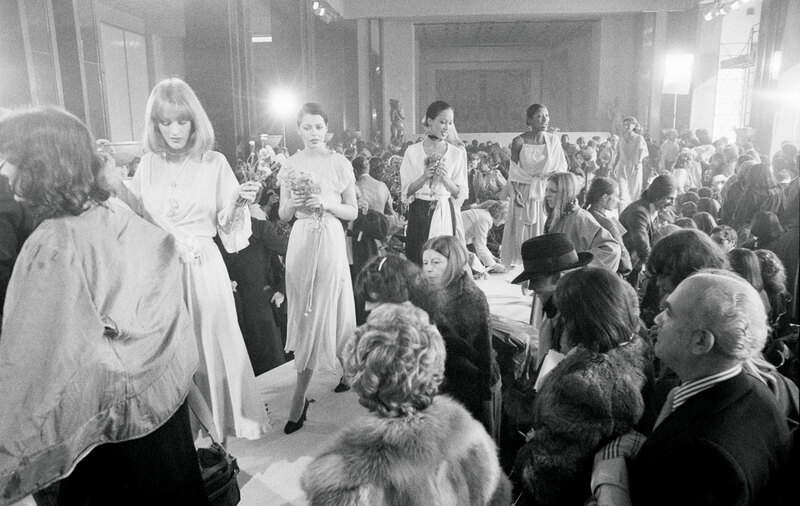 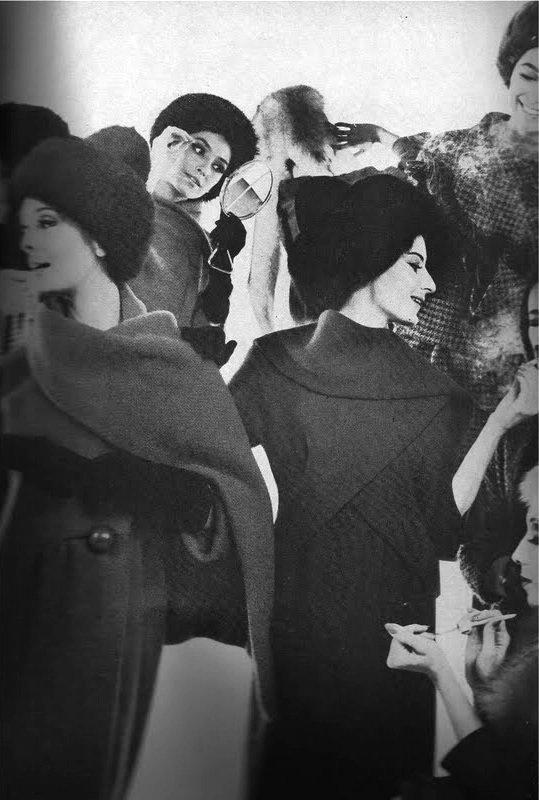 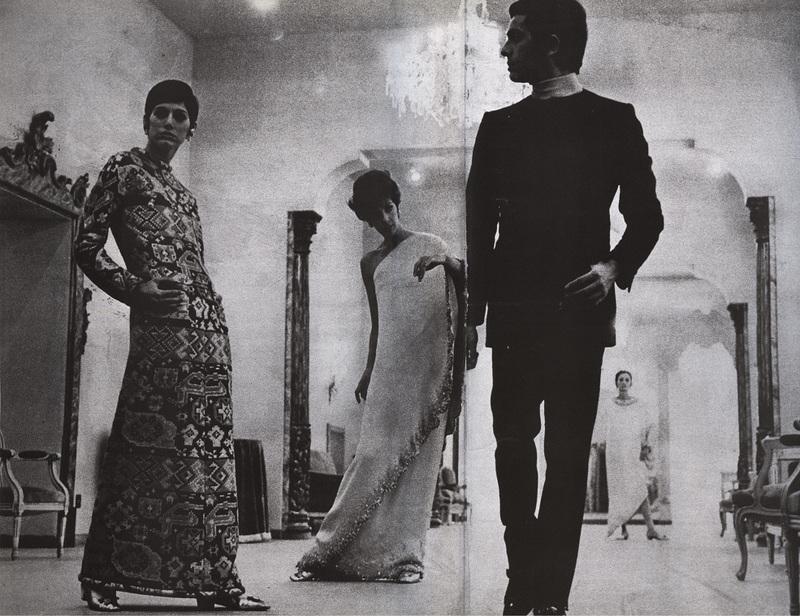 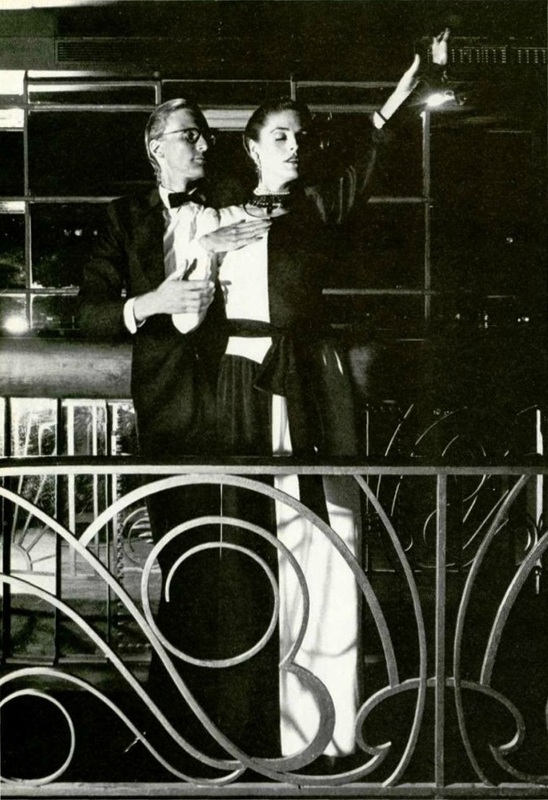 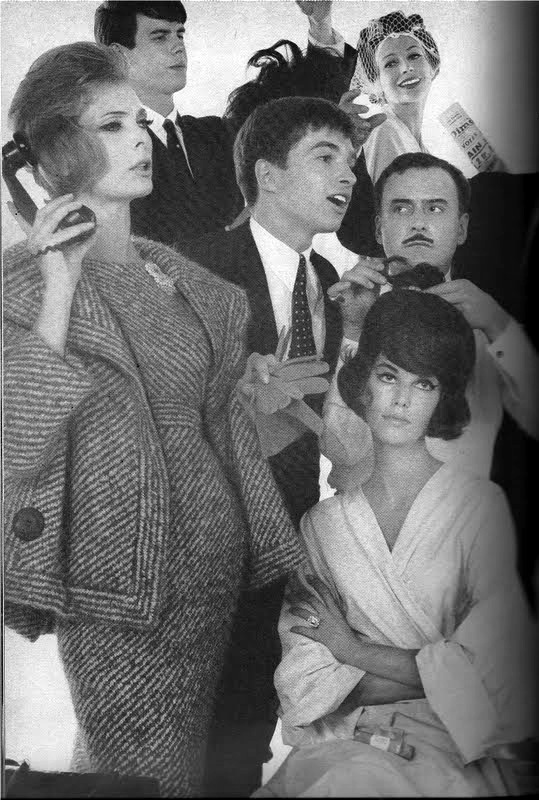 The salon of the Valentino atelier, as can be clearly seen in the background of the photographs for patterns 2362 and 2381, however the image above is a photograph of the Alta Moda Fall-Winter 1967-1968 collection. 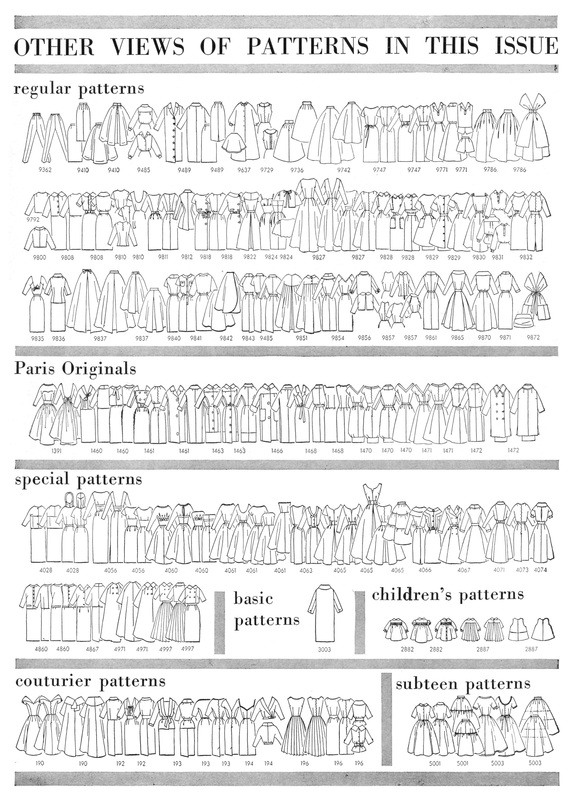 Photographs other than the pattern envelopes were sourced from the book ‘Valentino: Thirty years of Magic’ by Marie-Paulle Pellé/ Patrick Mauriès, published by Abbeville Press, June 1991 (out of print), ISBN: 1558592377. 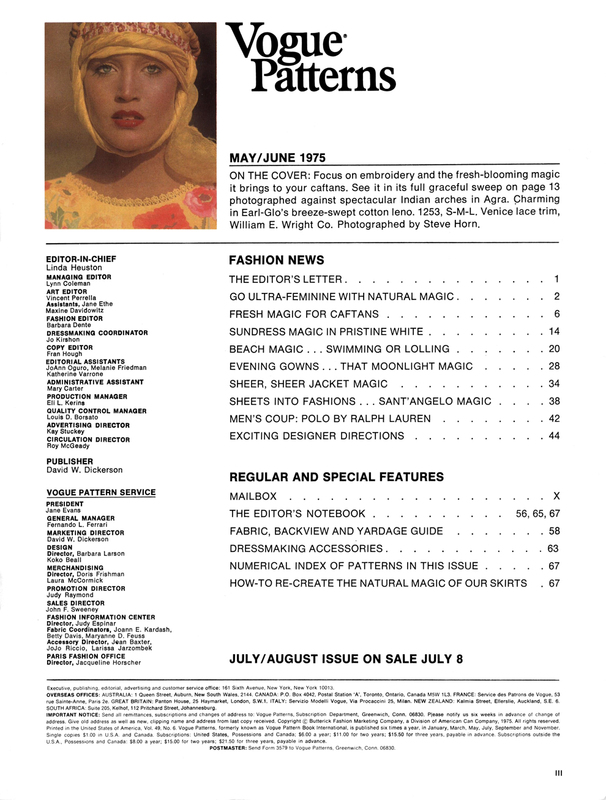 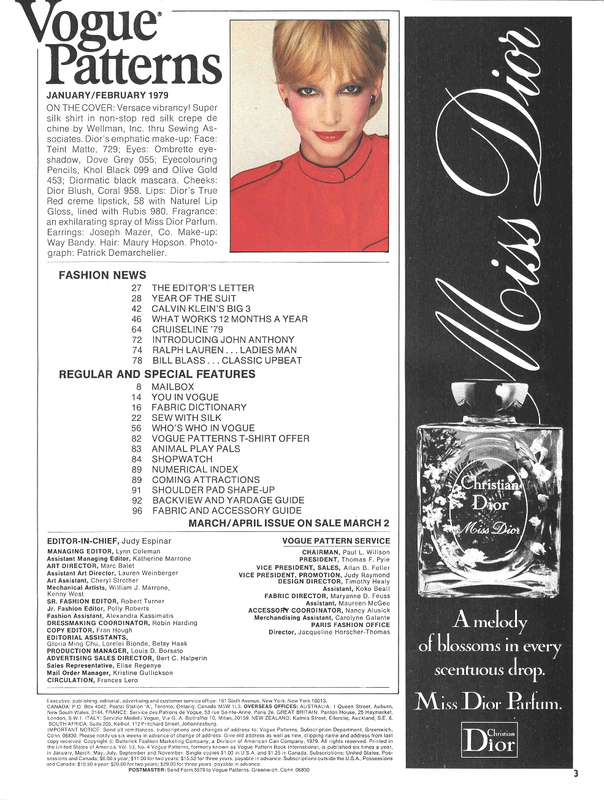 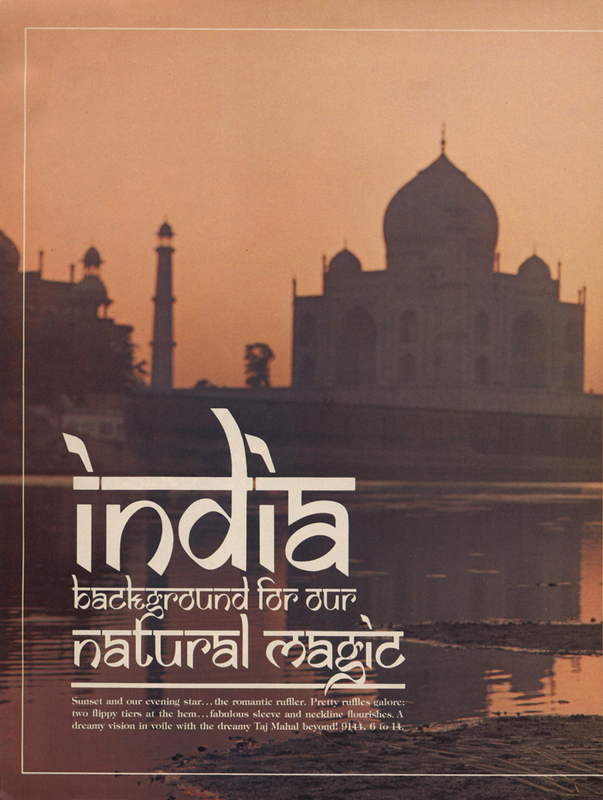 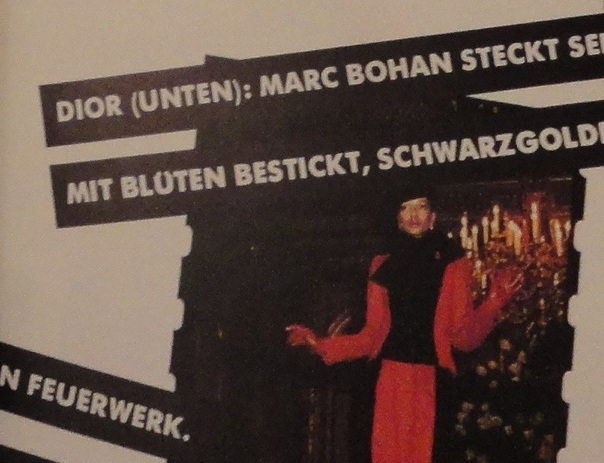 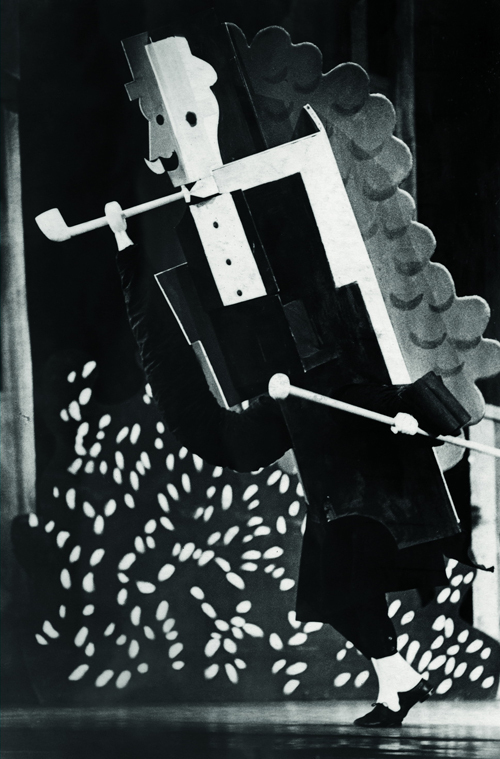 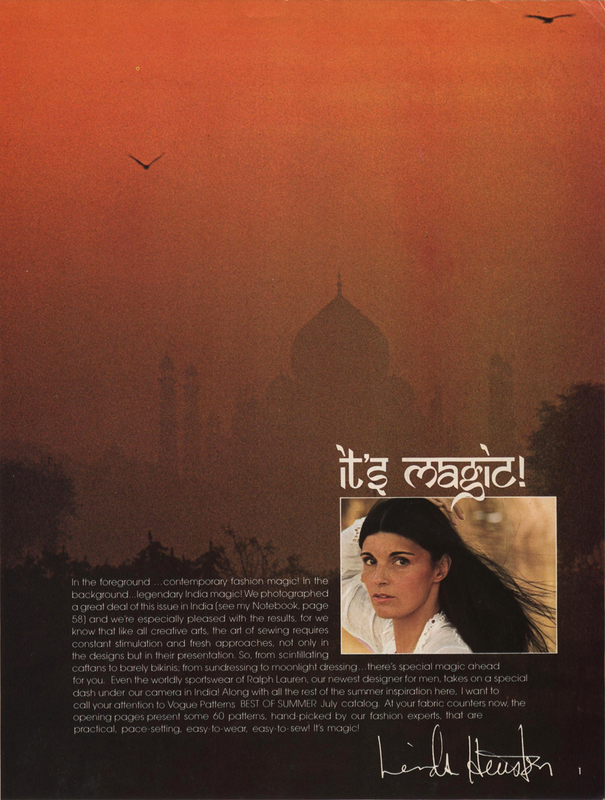 It was published to coincide with the exhibition of the same name in 1991. 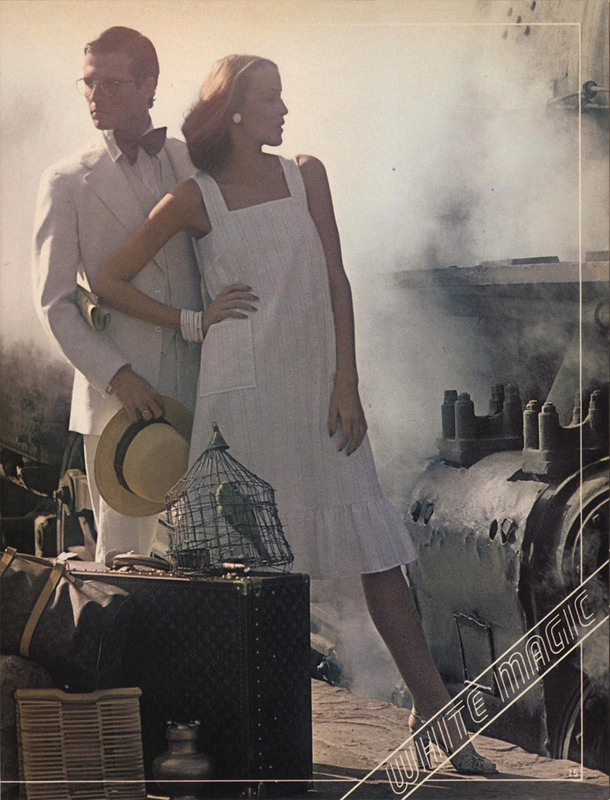 This book should not be confused with the Rizzoli publication of the same name which is a different book altogether.